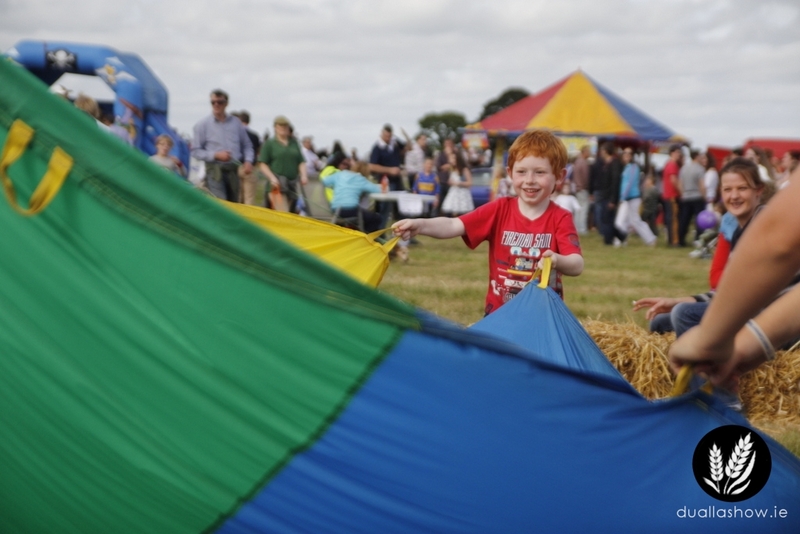 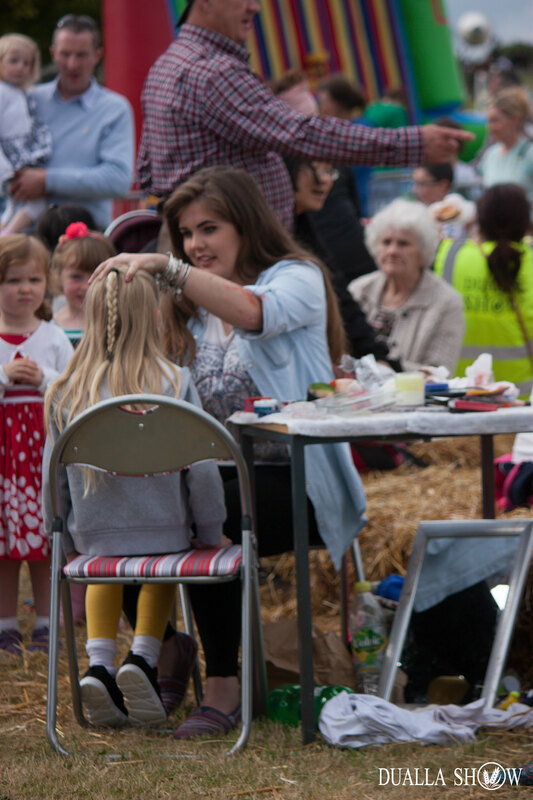 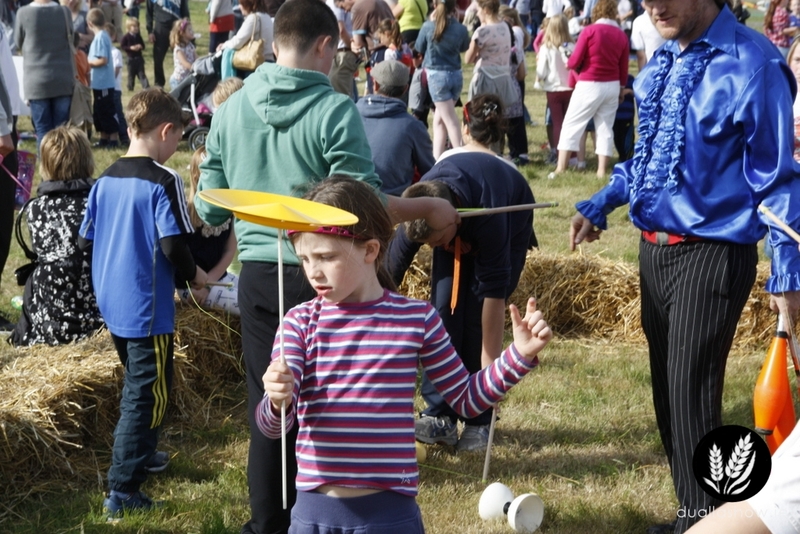 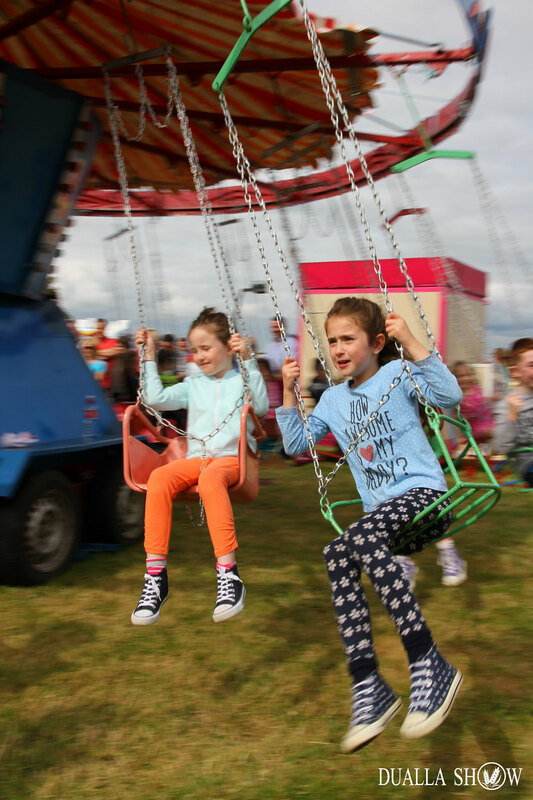 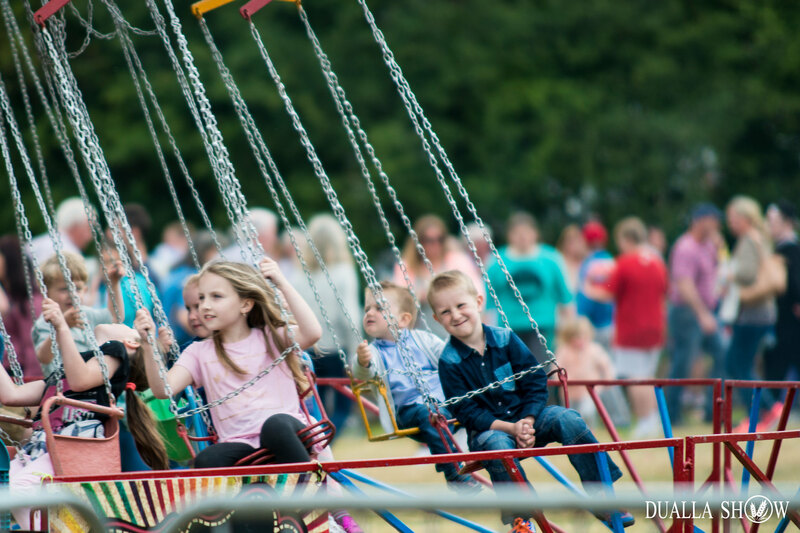 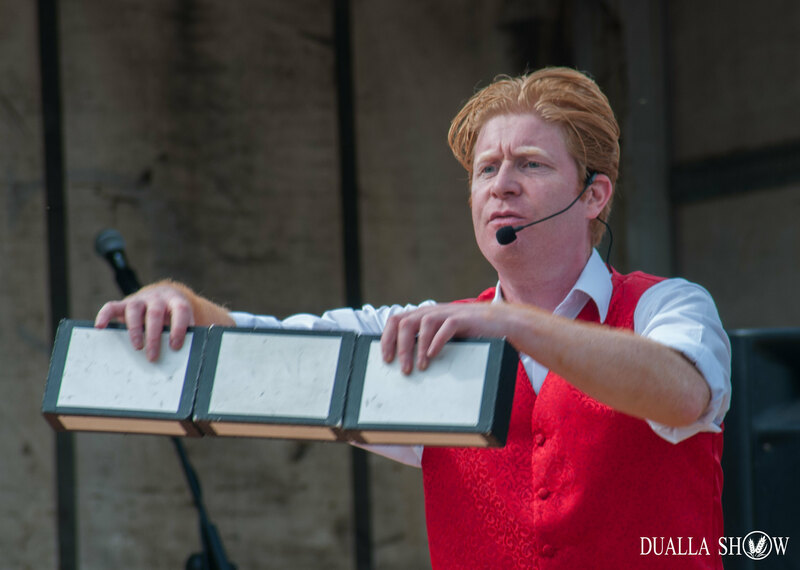 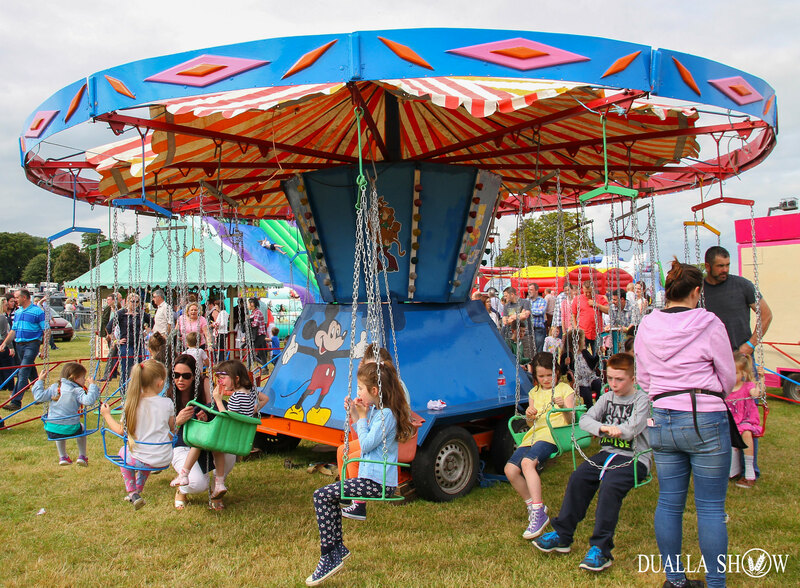 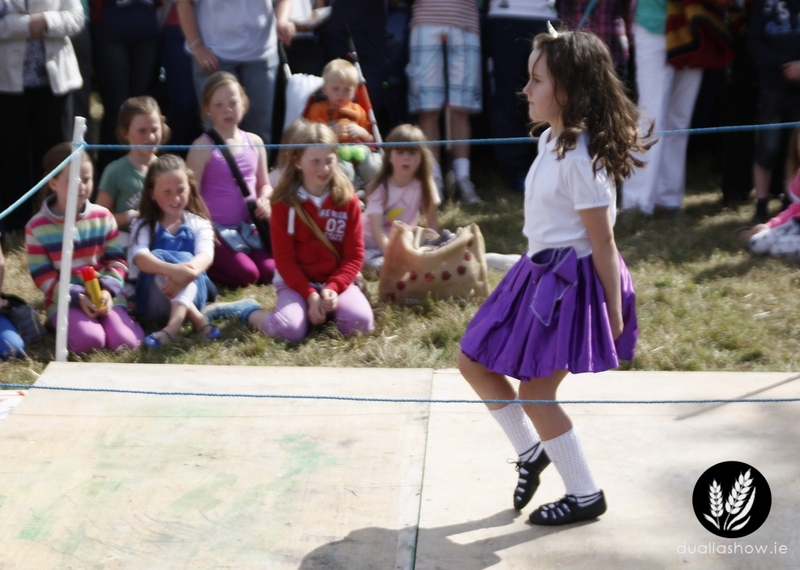 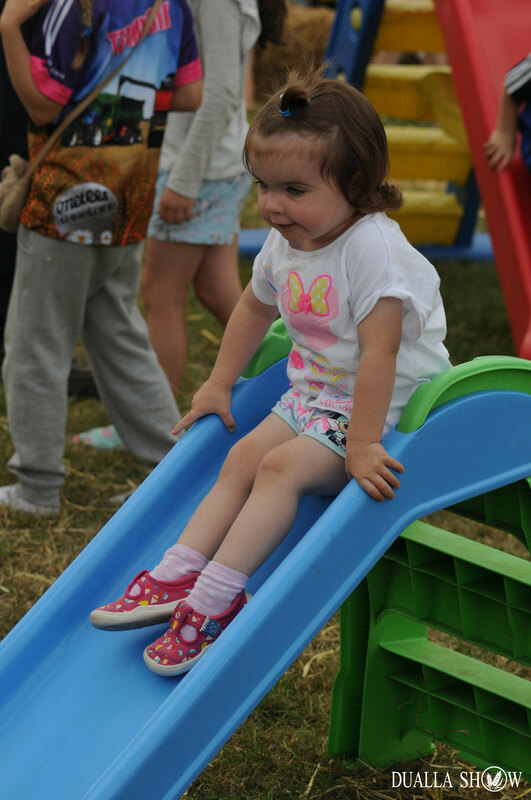 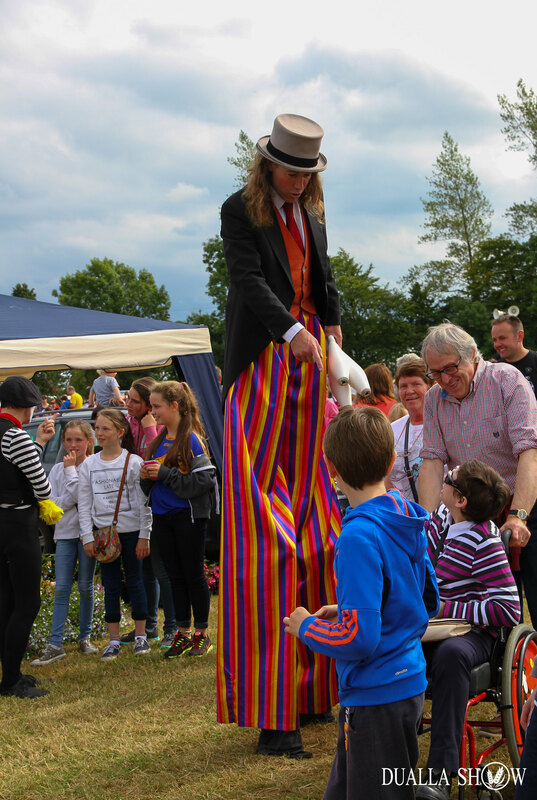 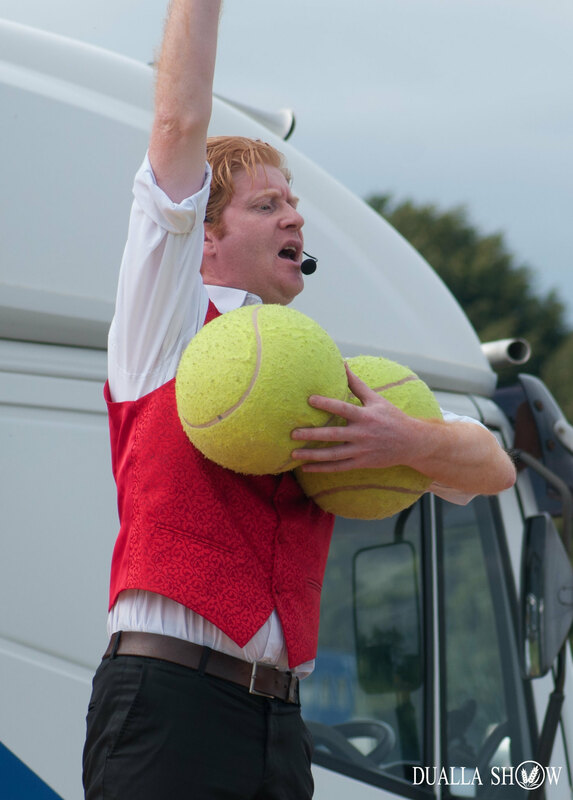 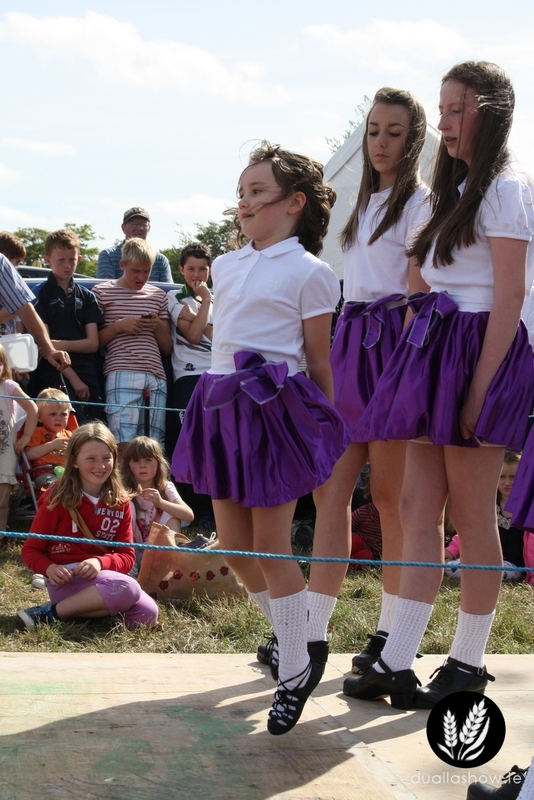 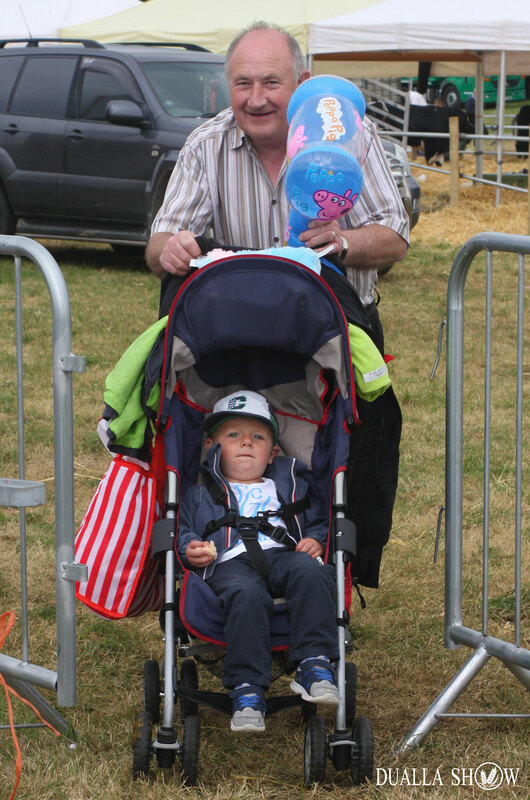 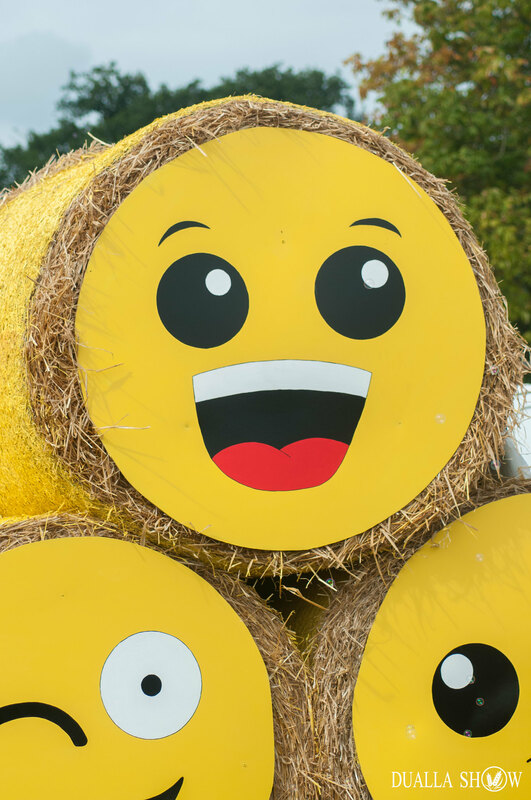 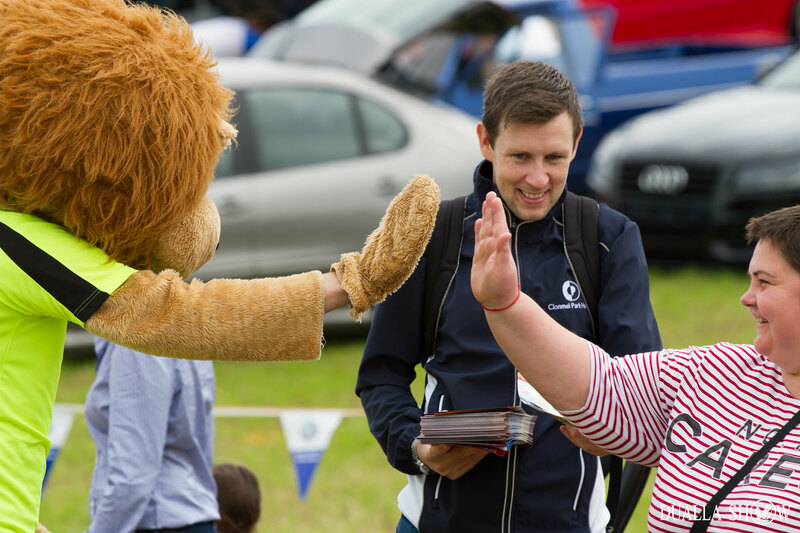 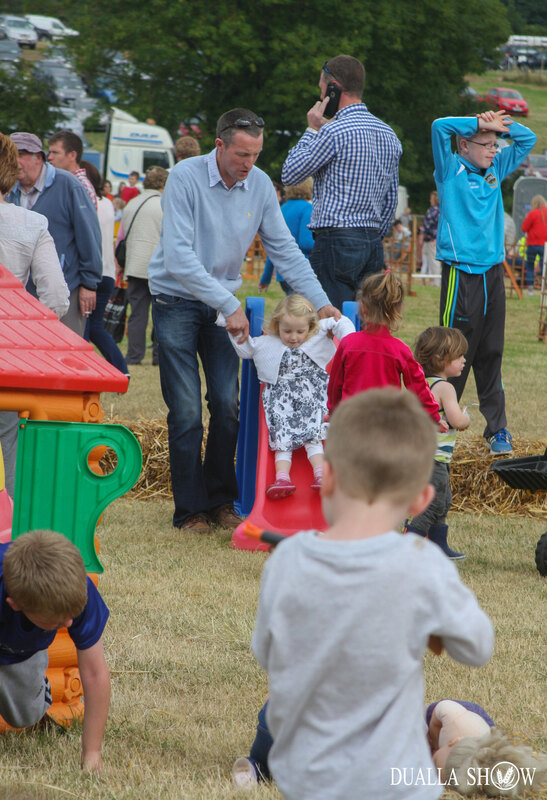 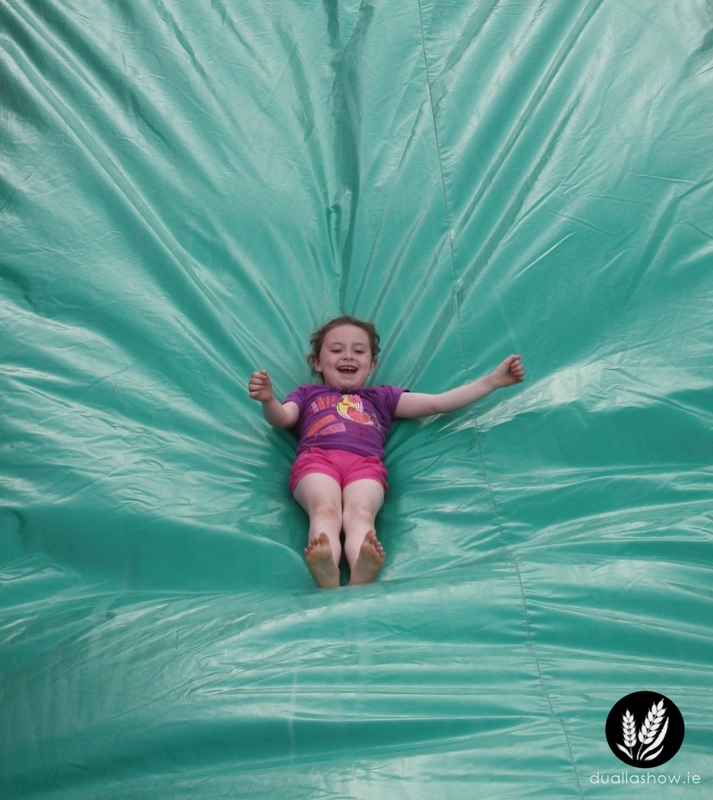 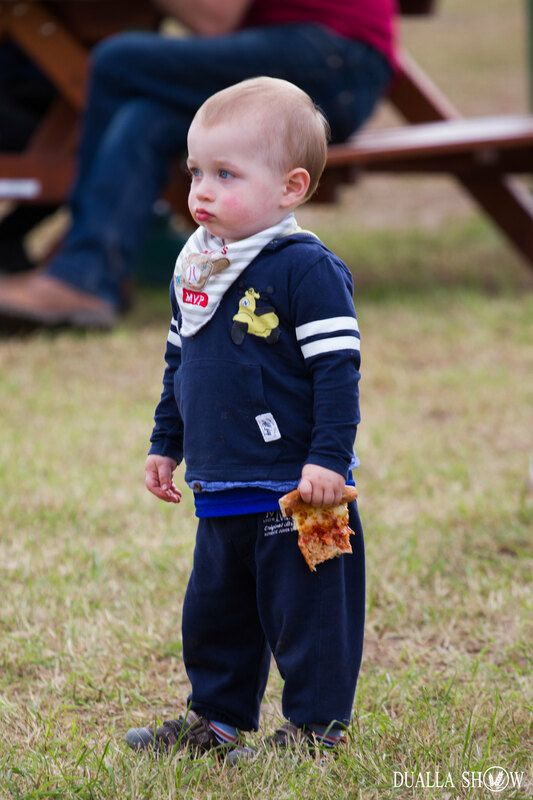 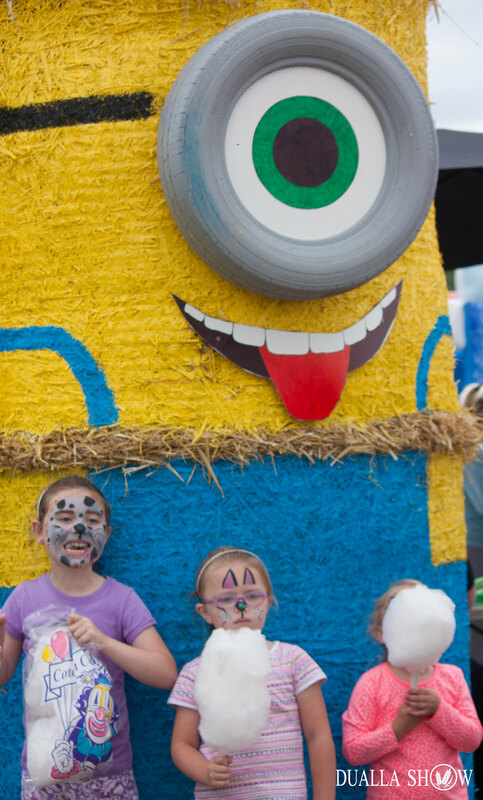 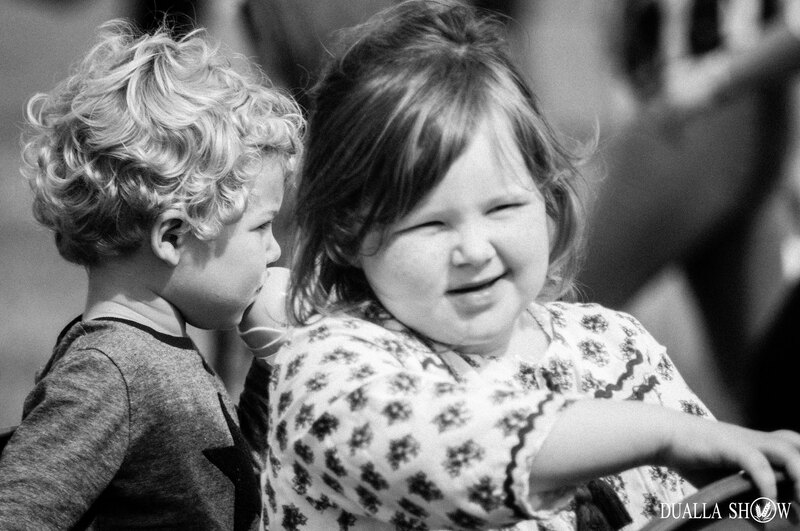 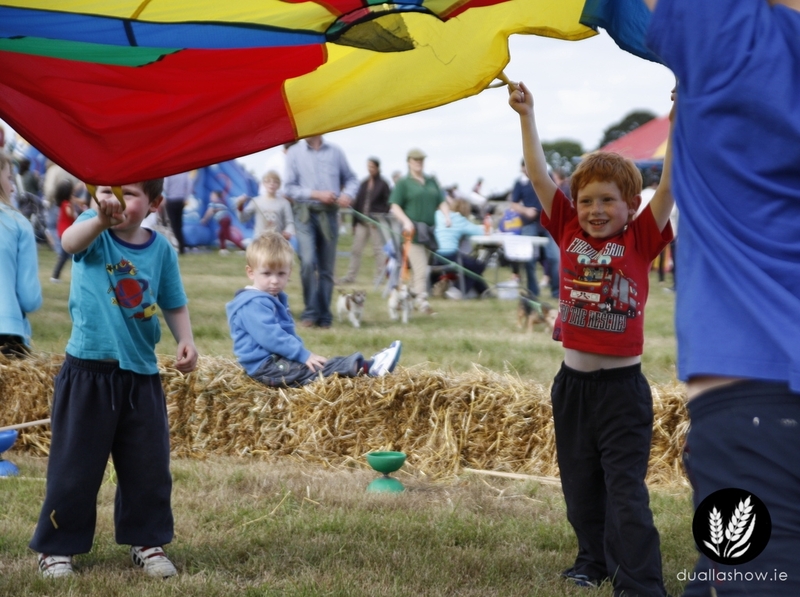 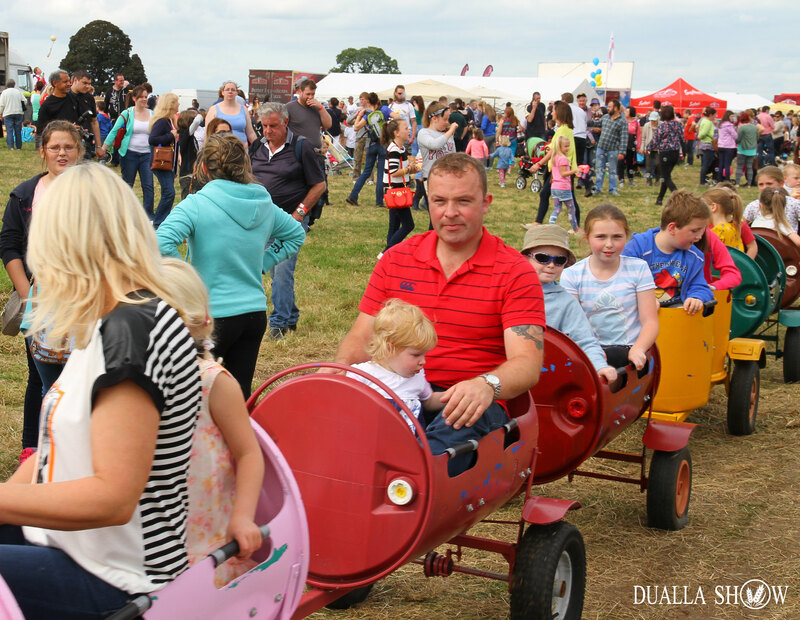 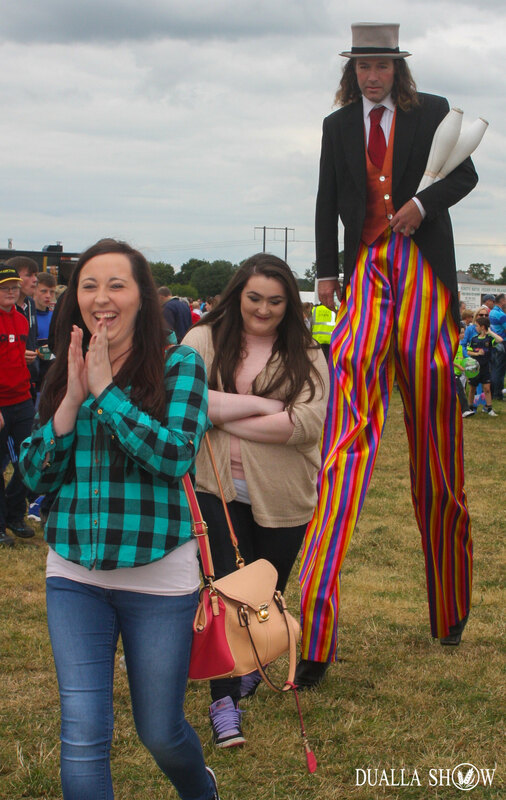 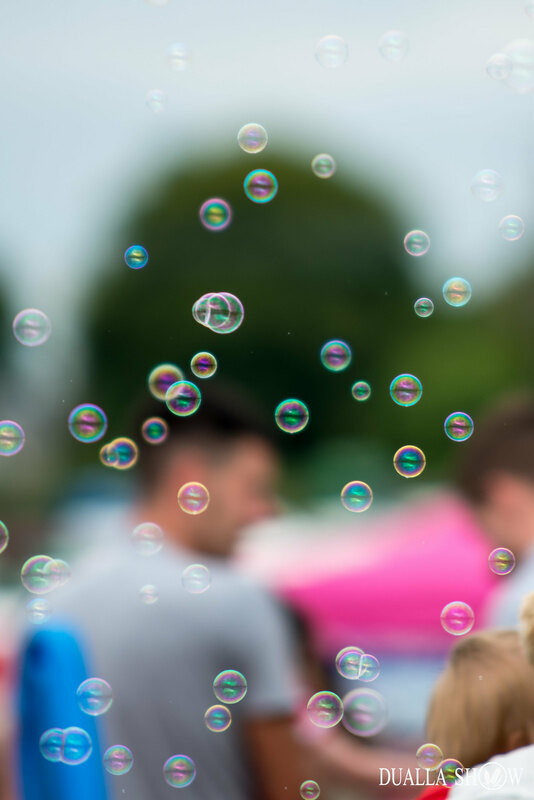 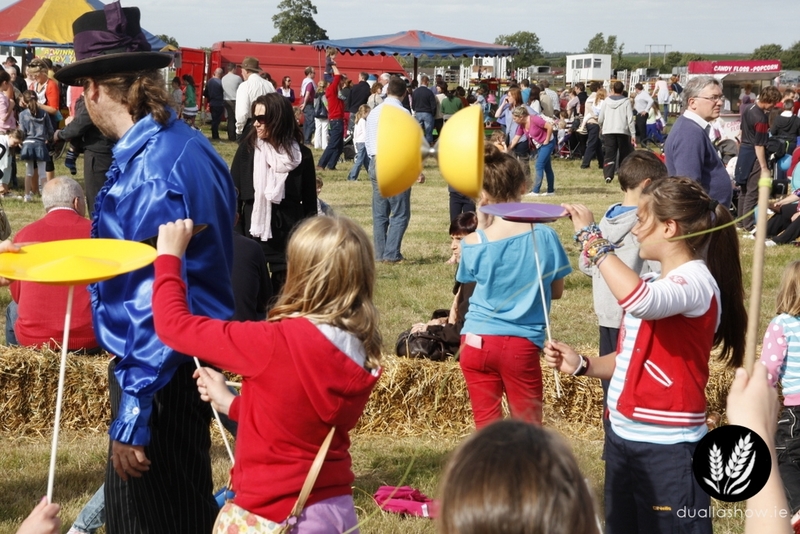 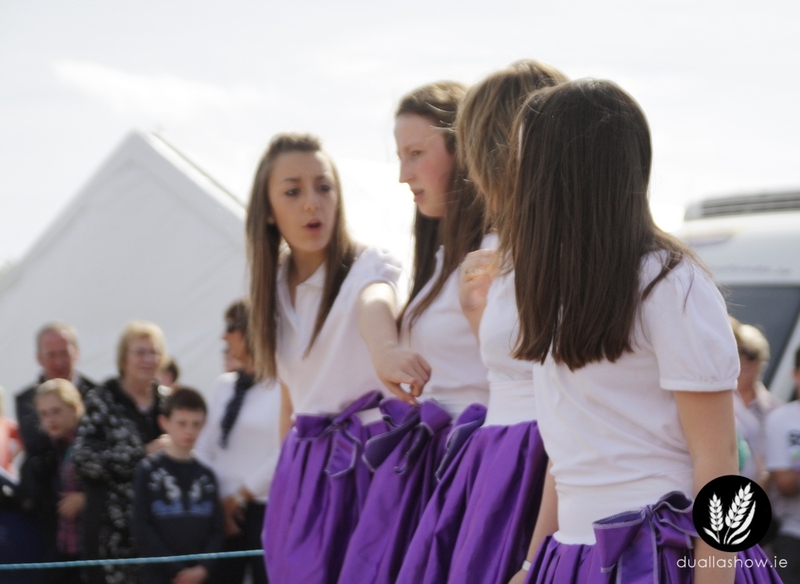 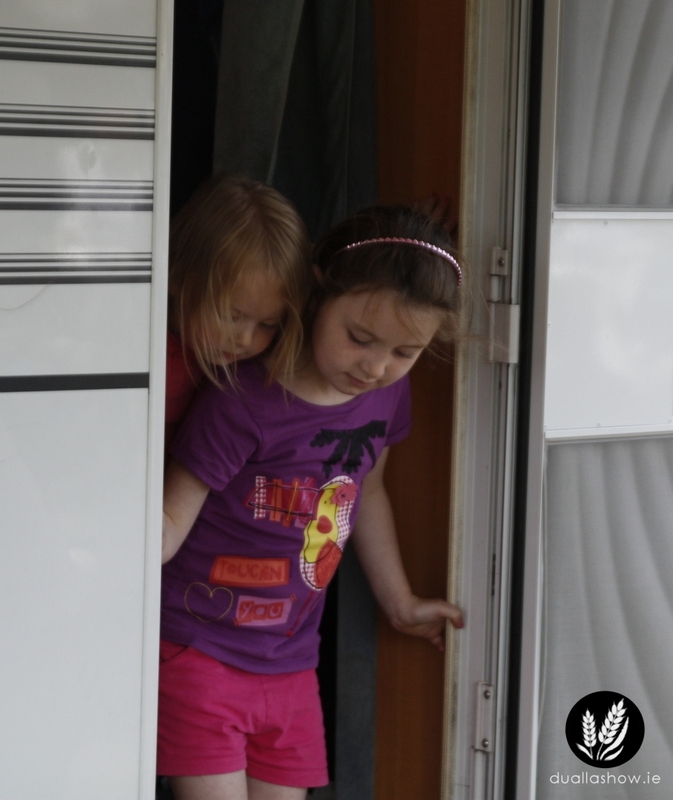 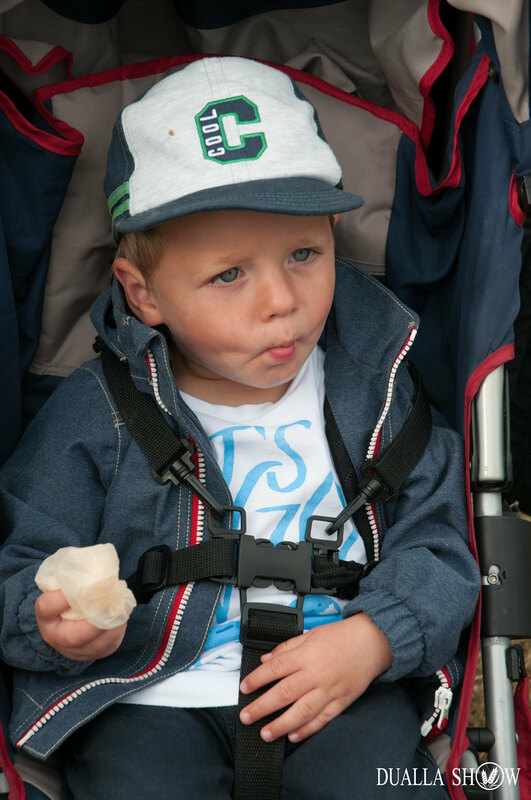 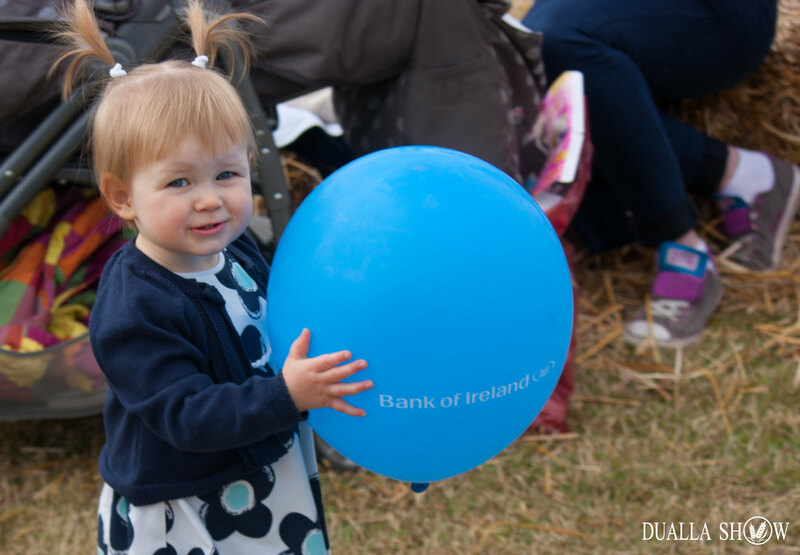 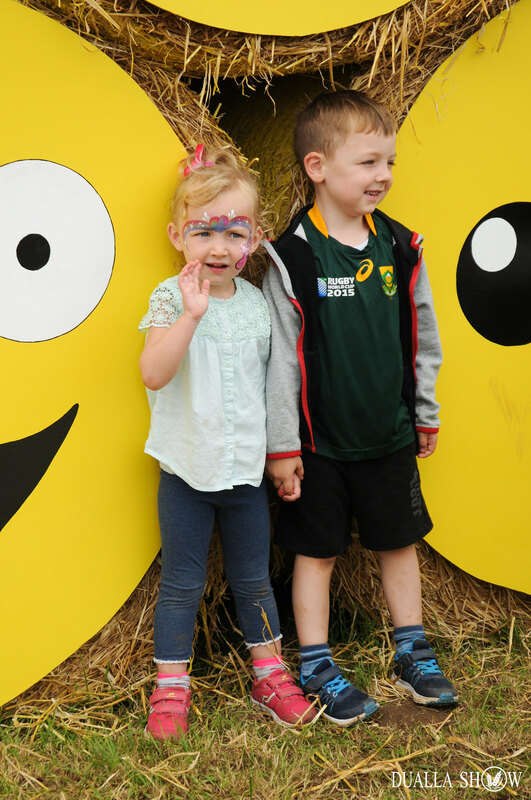 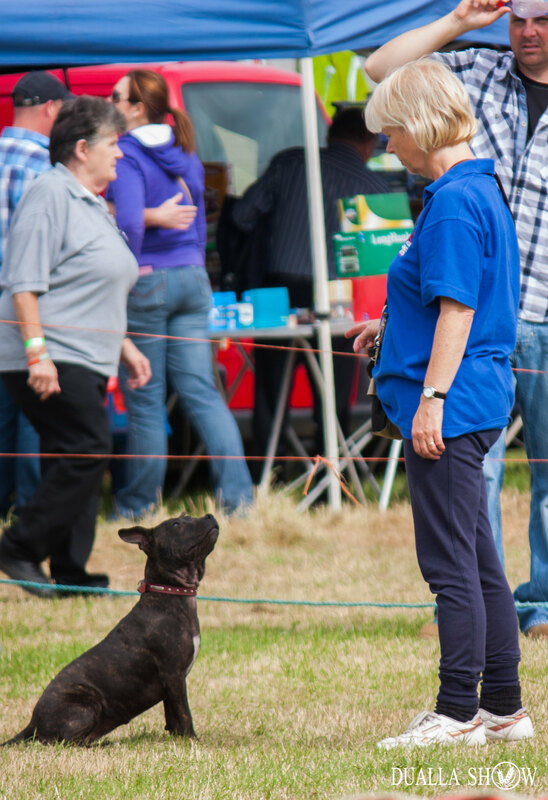 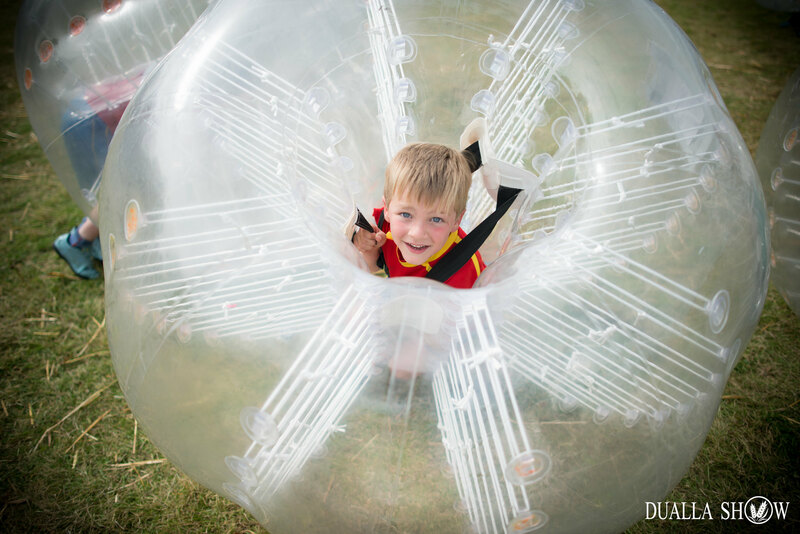 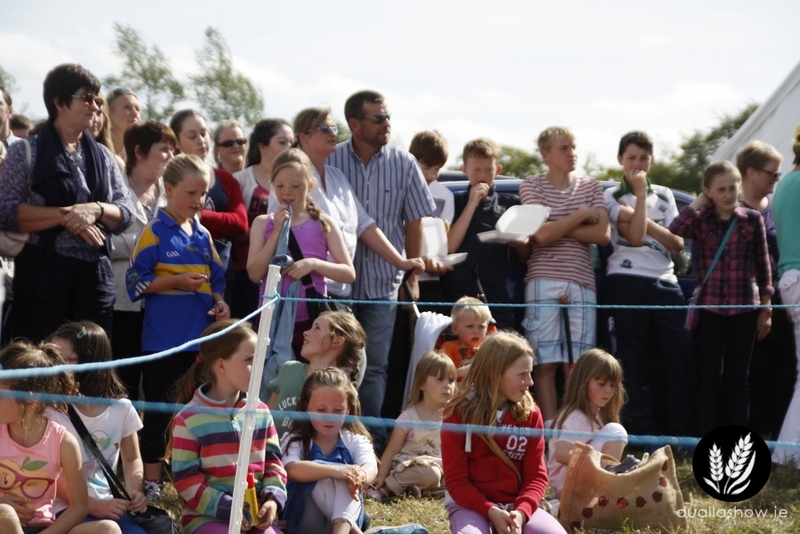 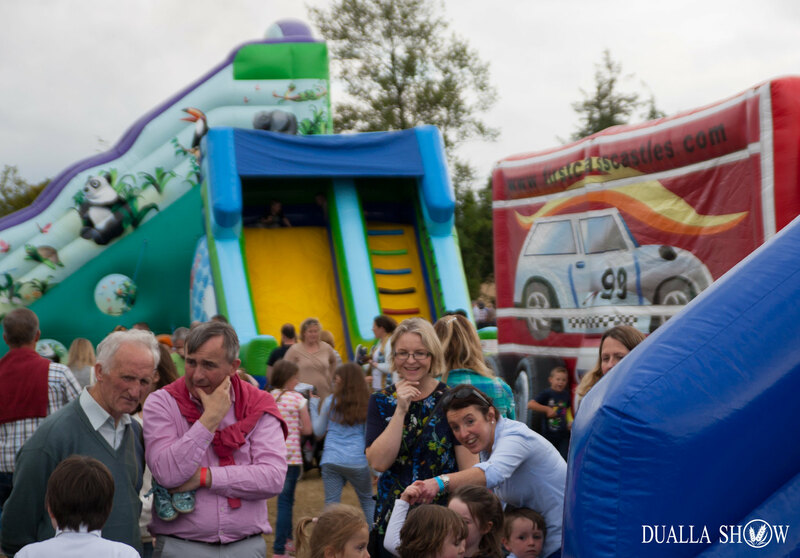 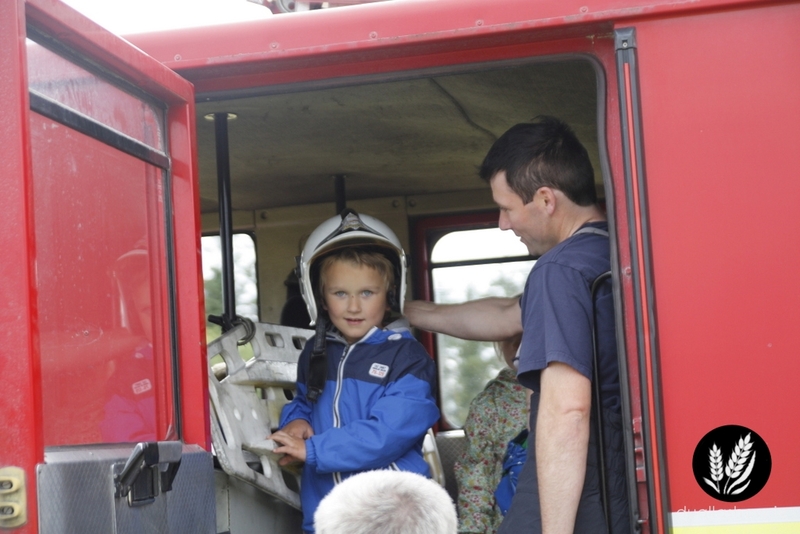 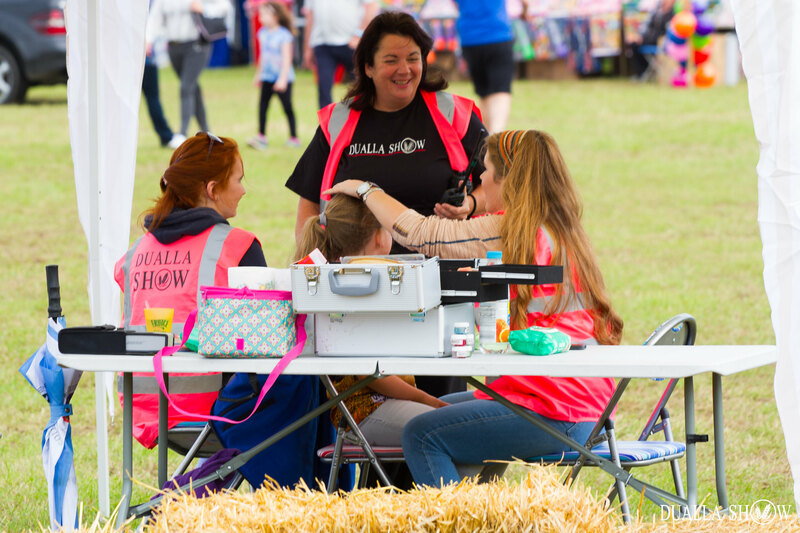 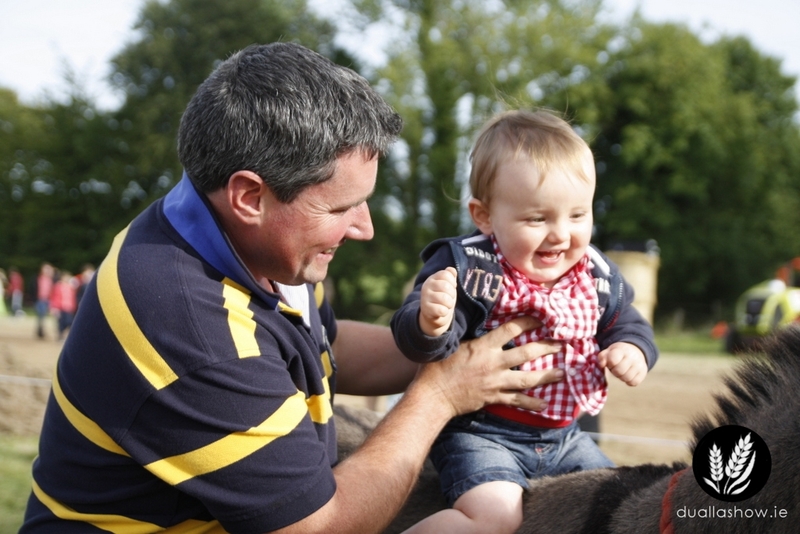 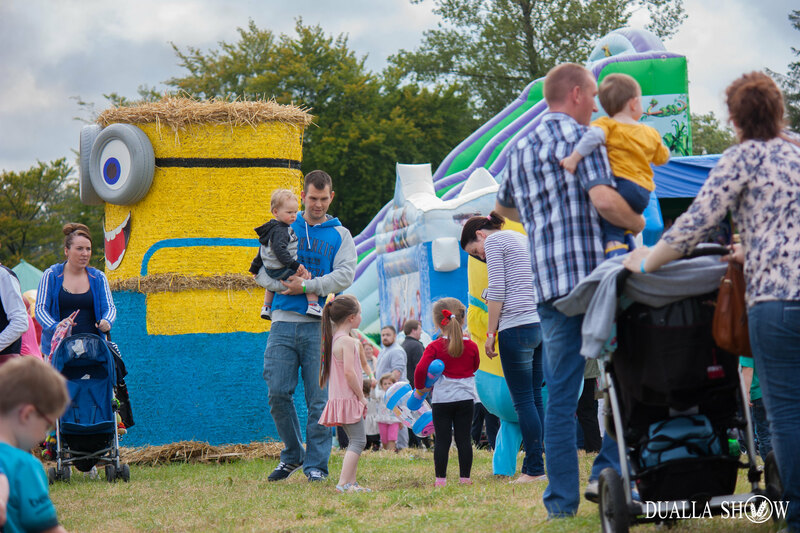 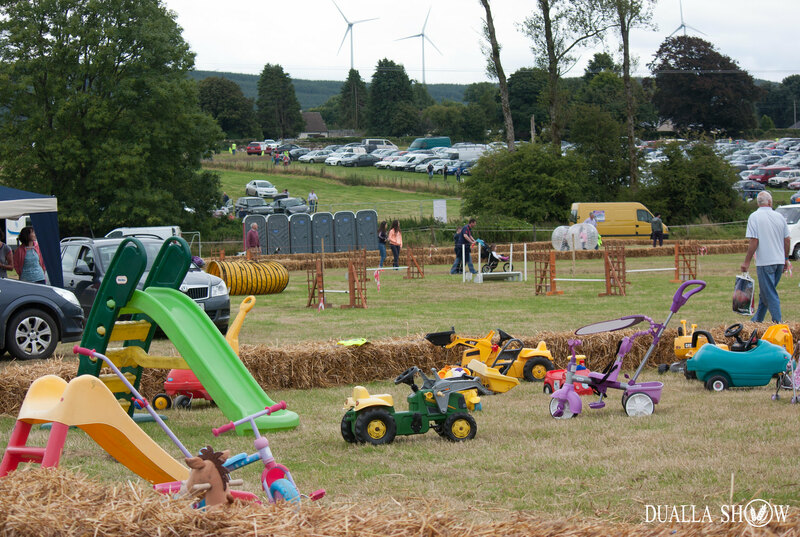 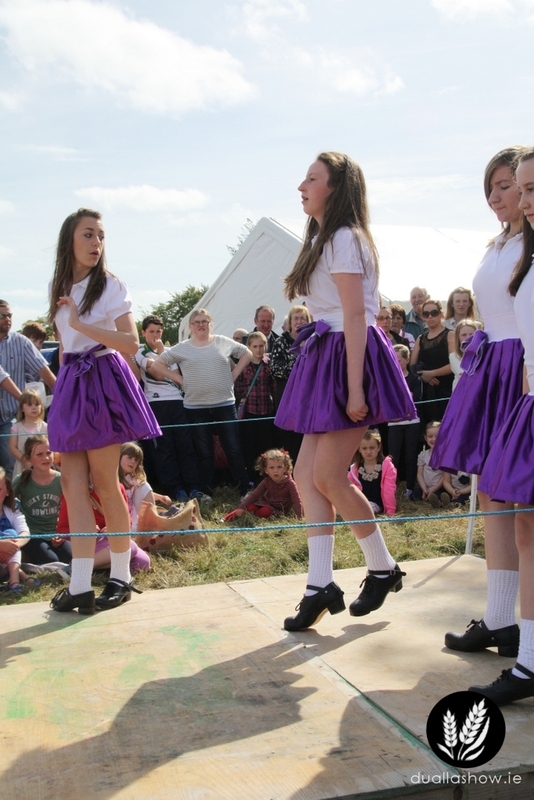 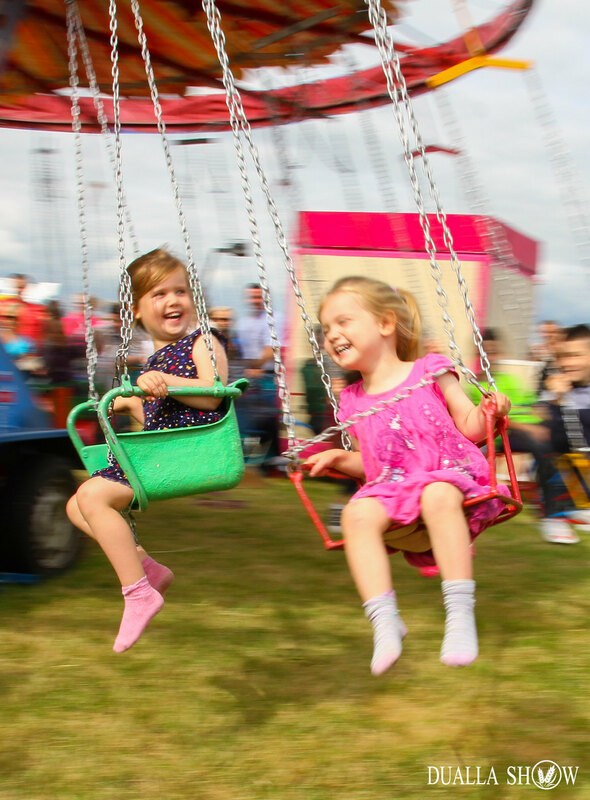 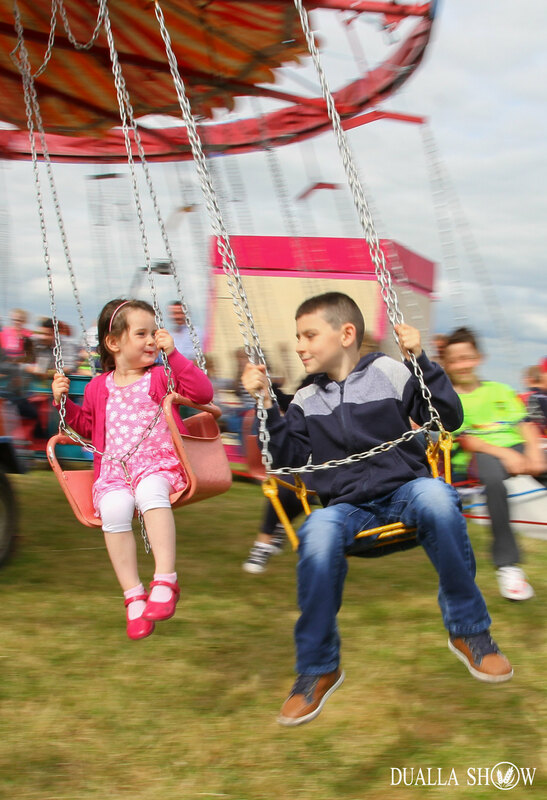 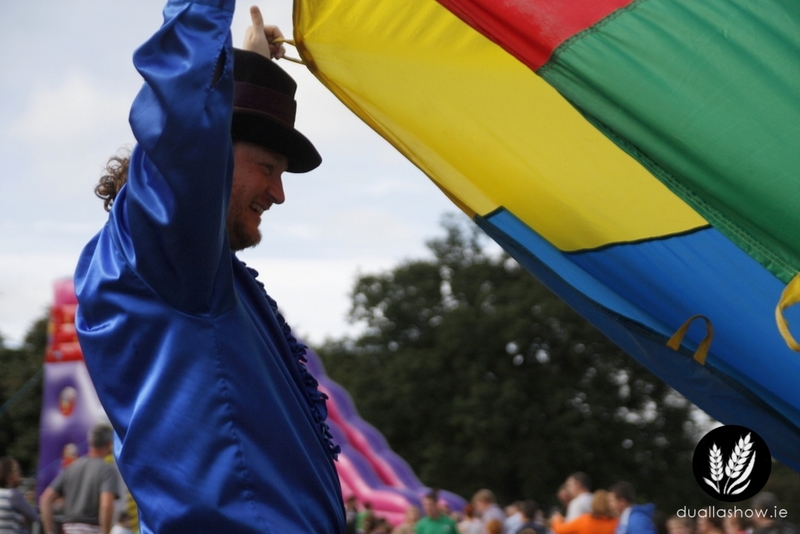 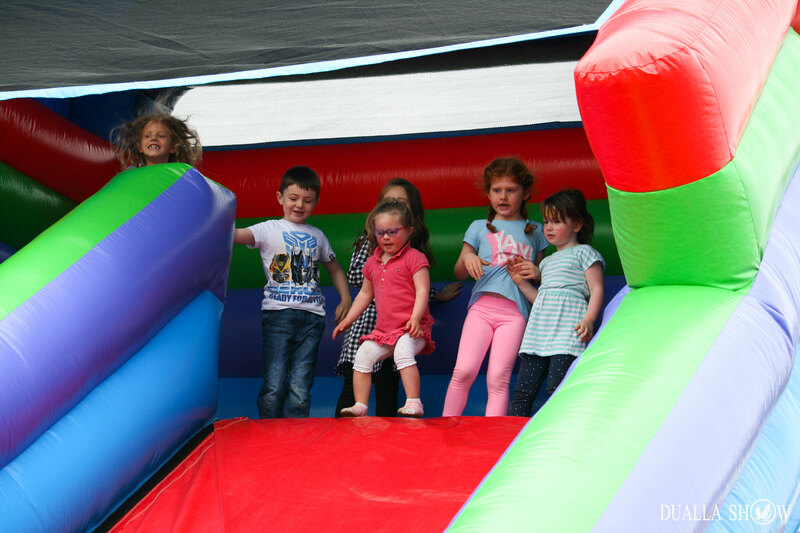 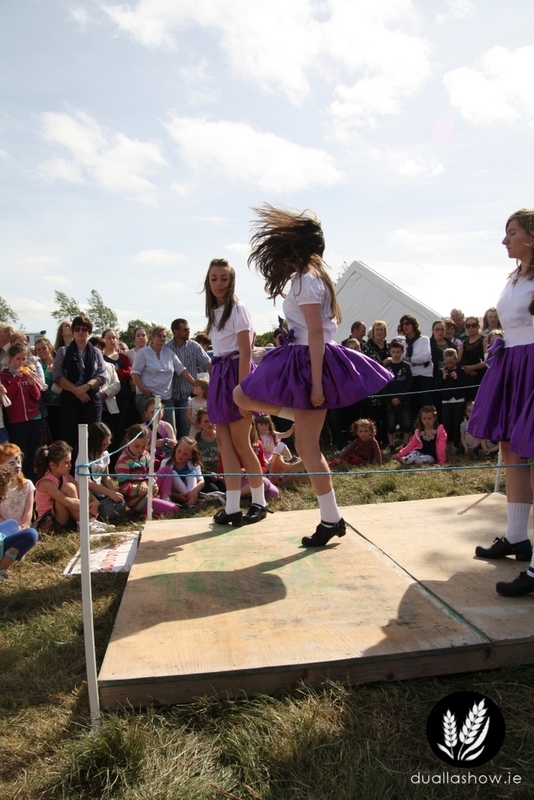 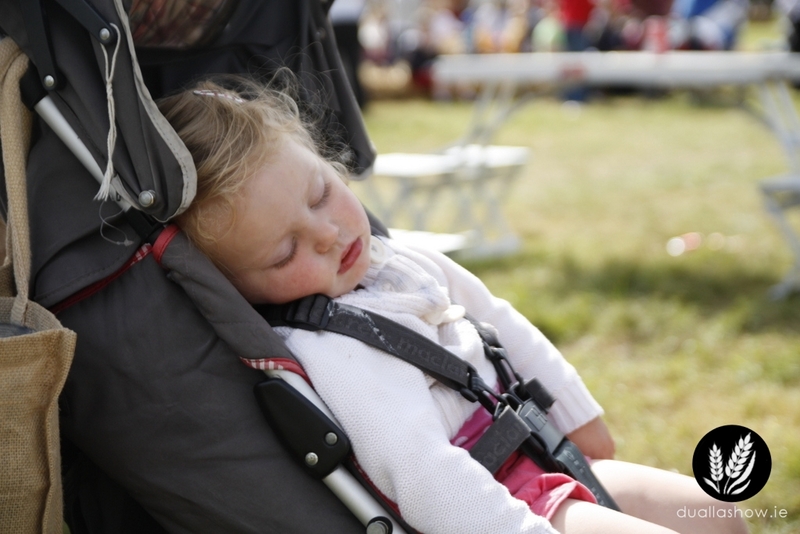 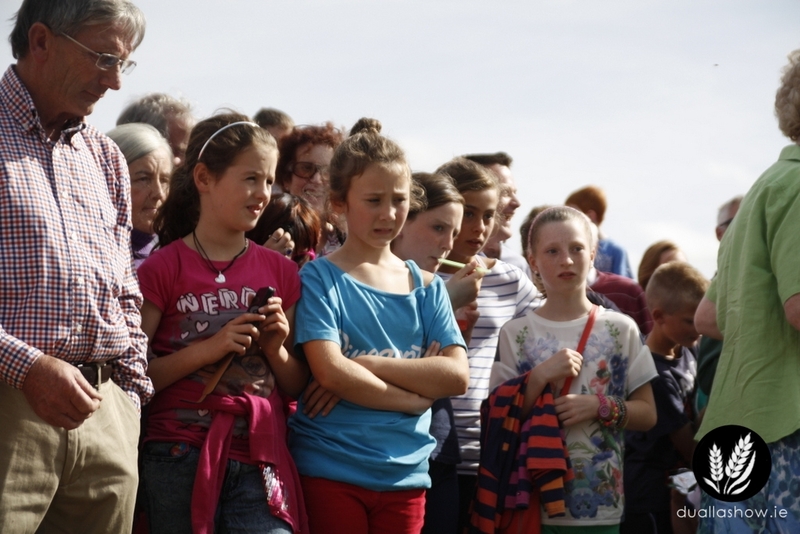 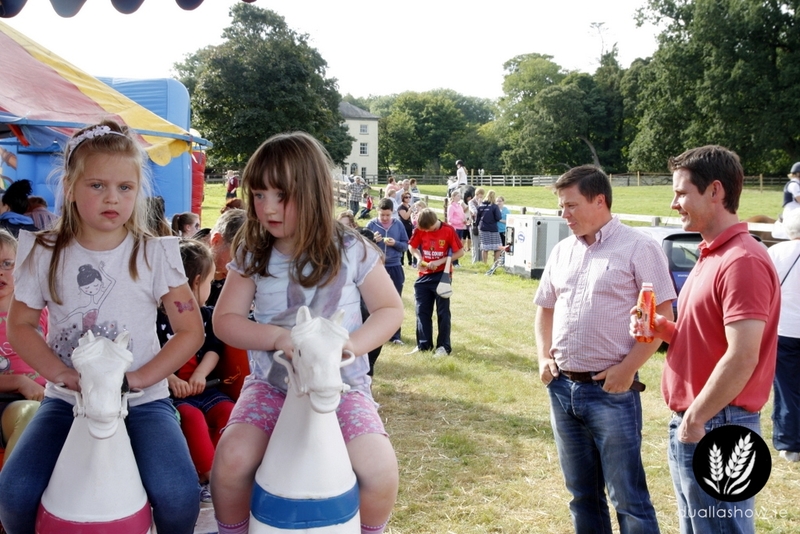 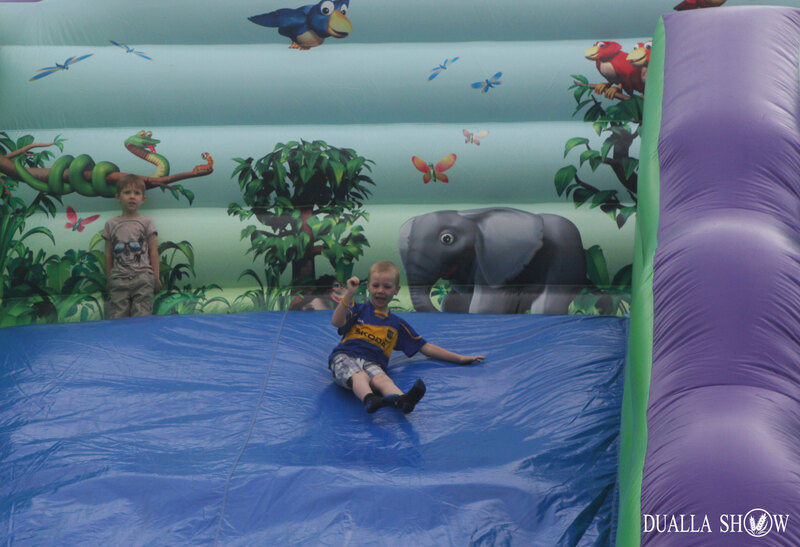 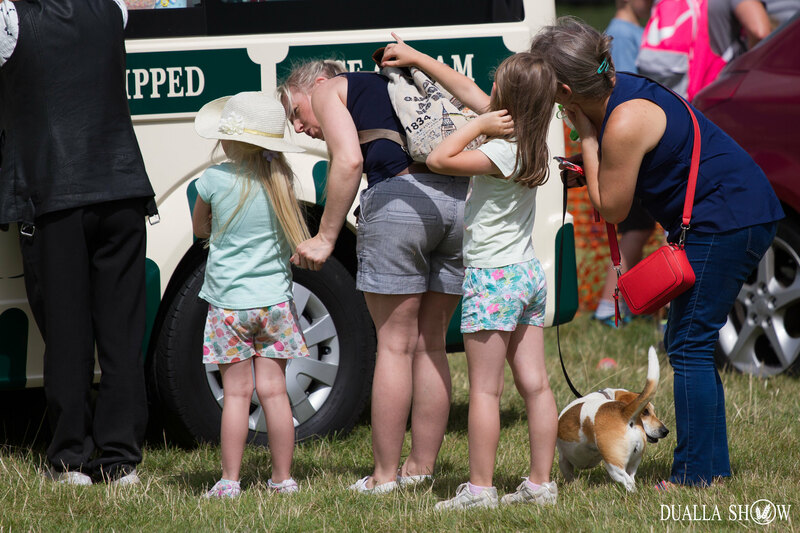 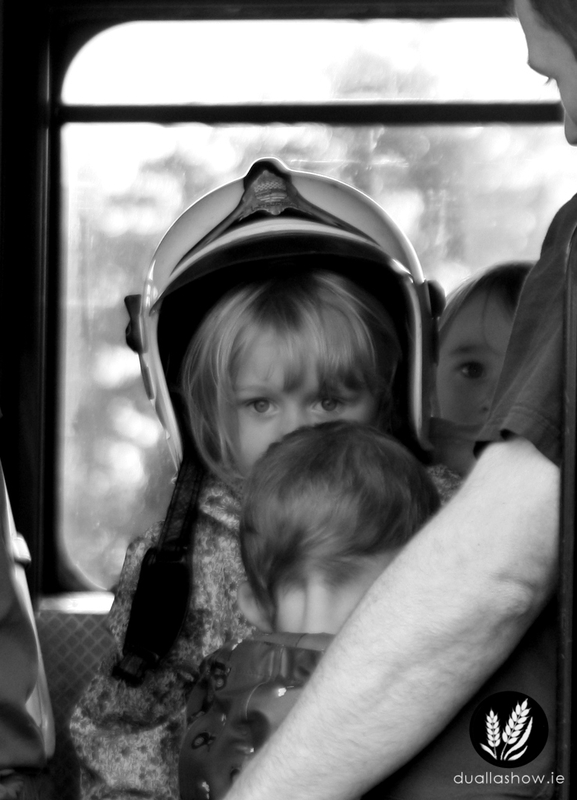 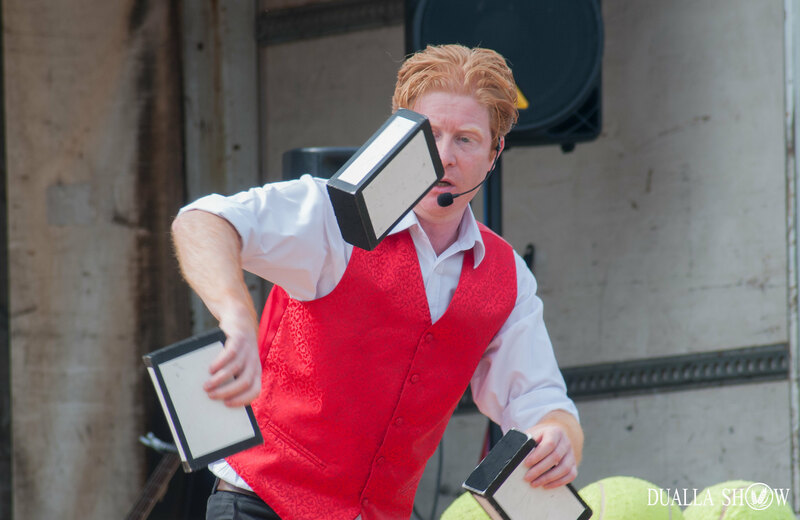 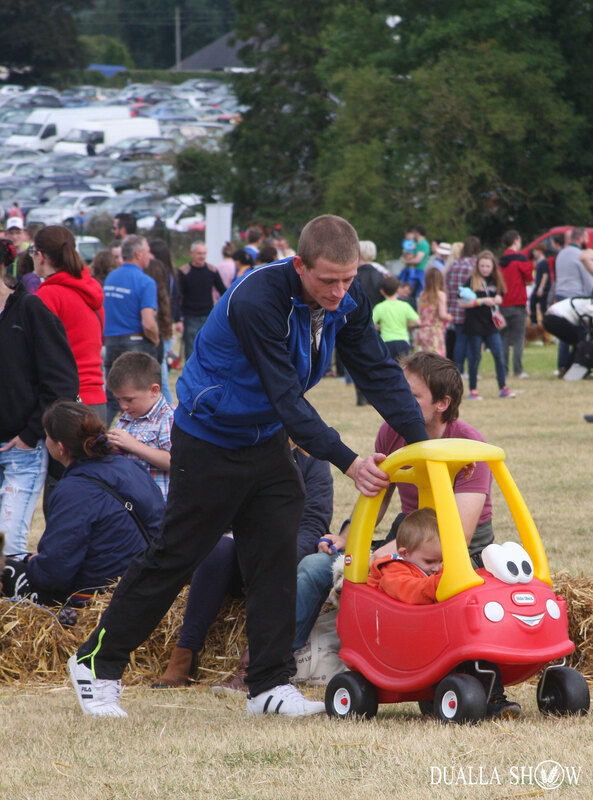 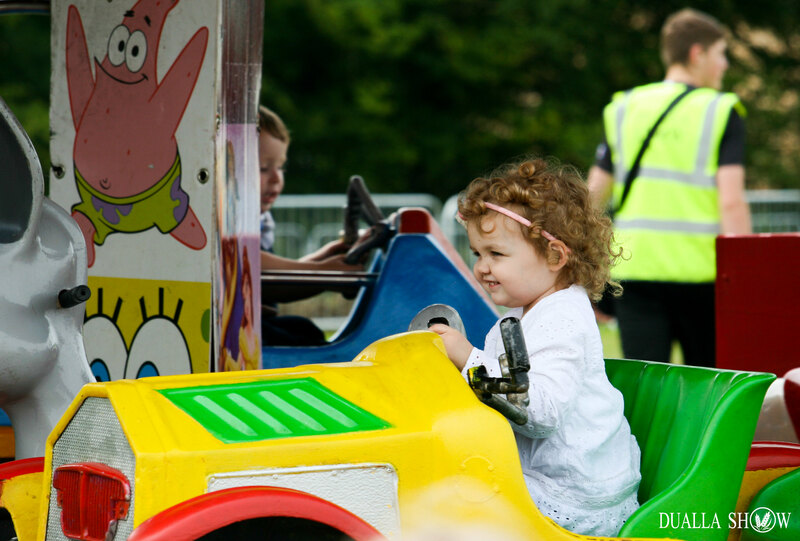 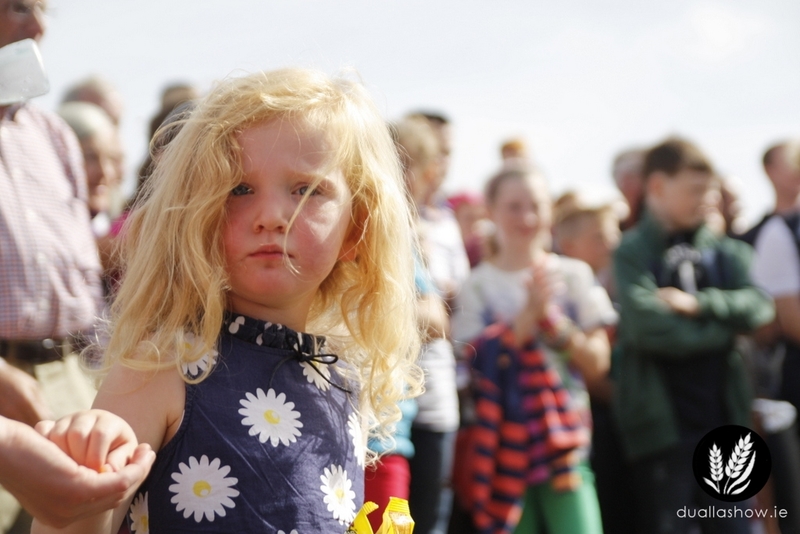 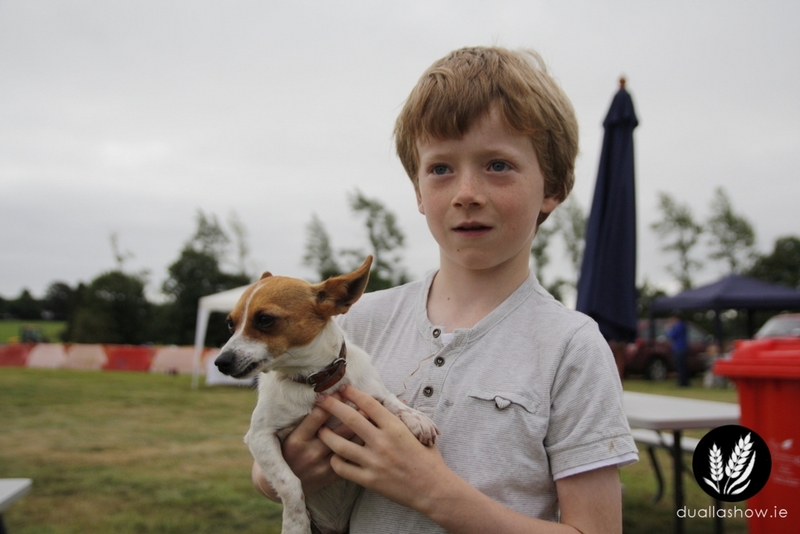 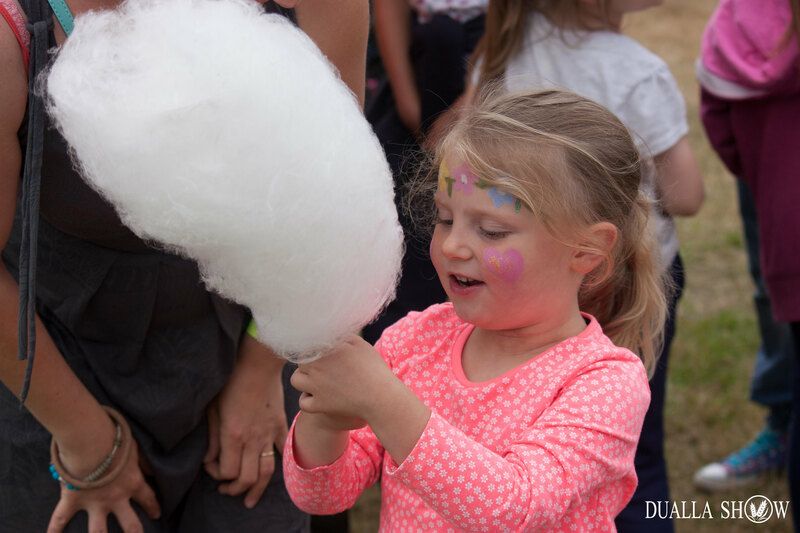 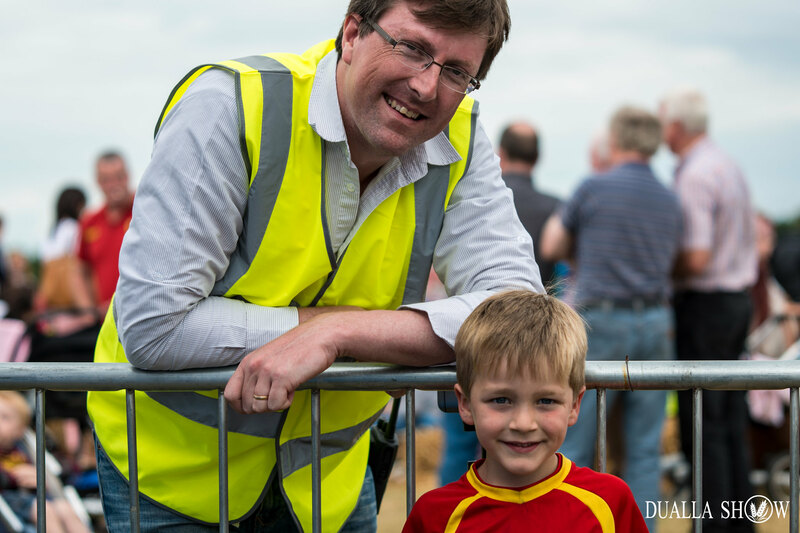 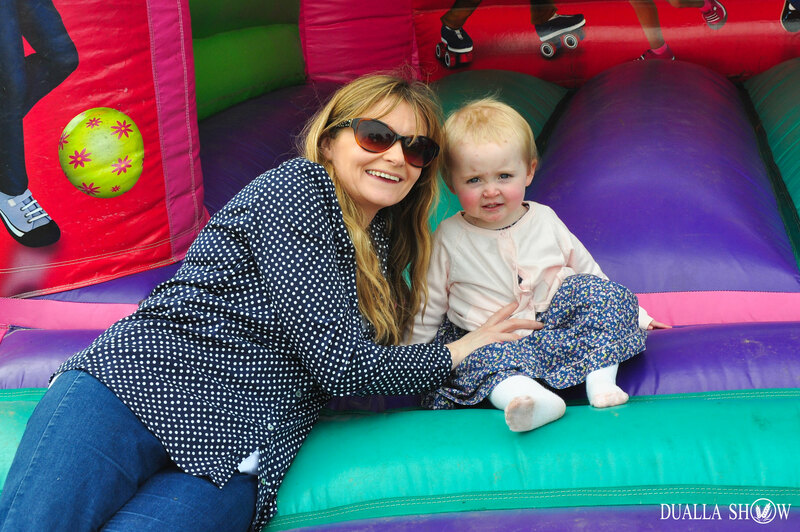 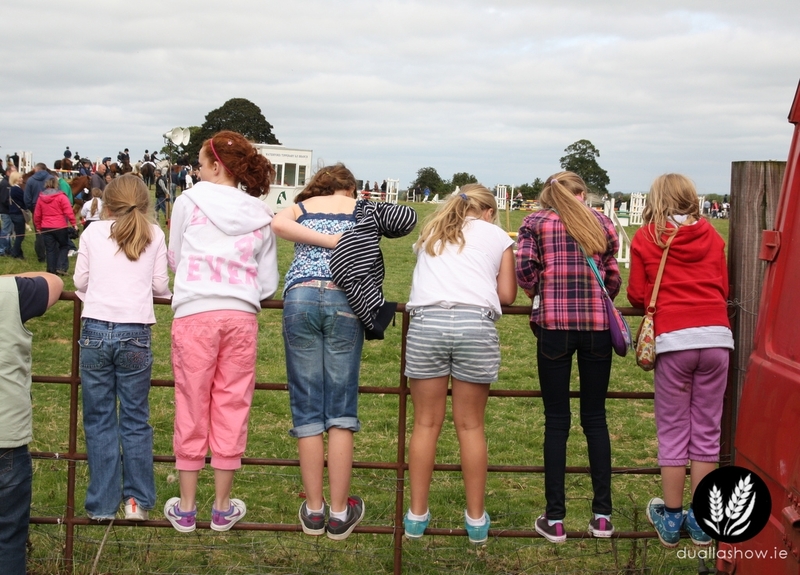 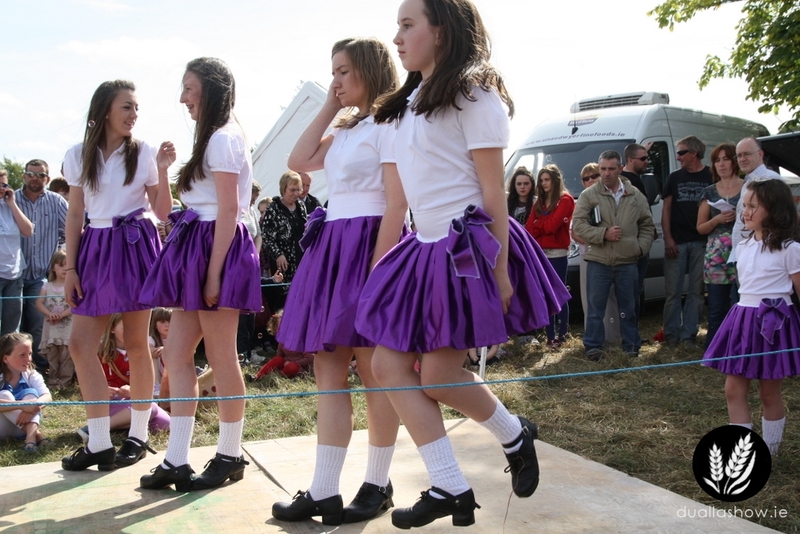 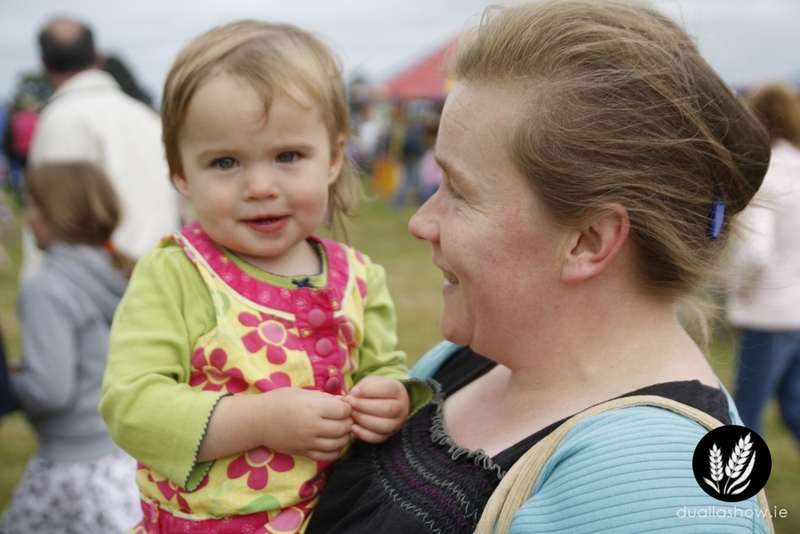 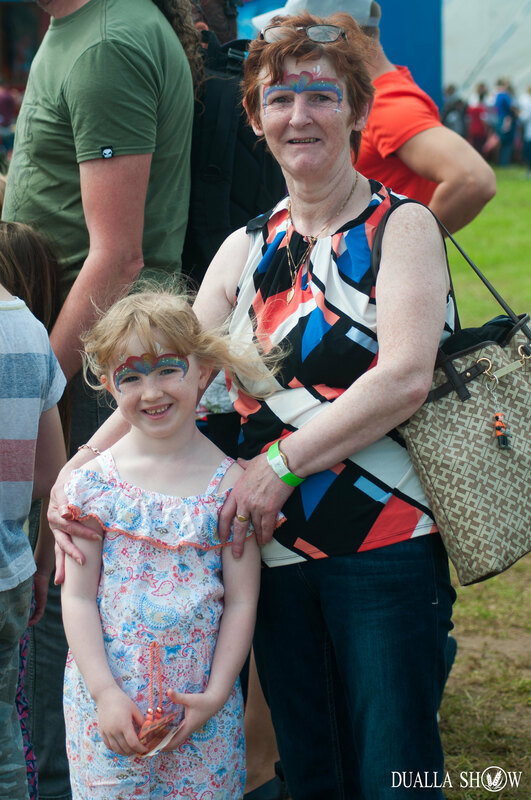 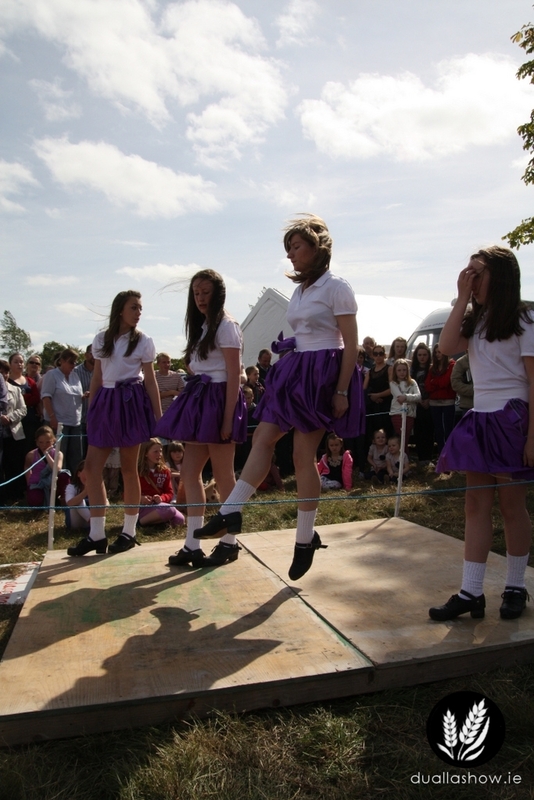 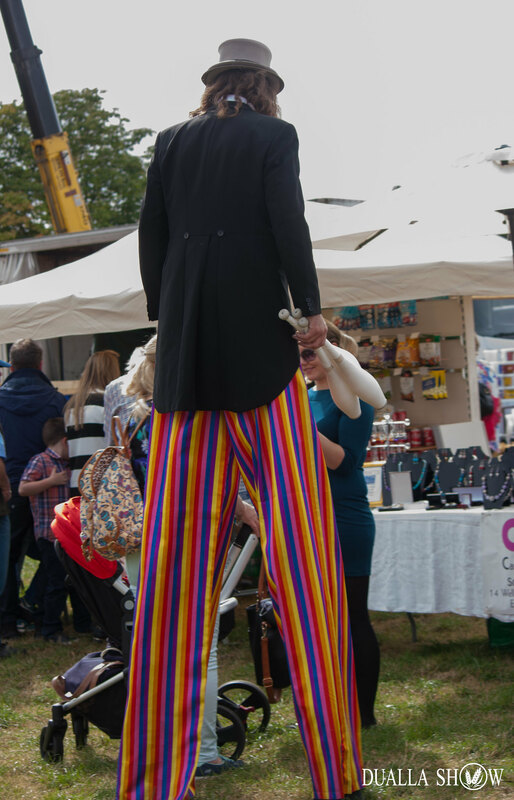 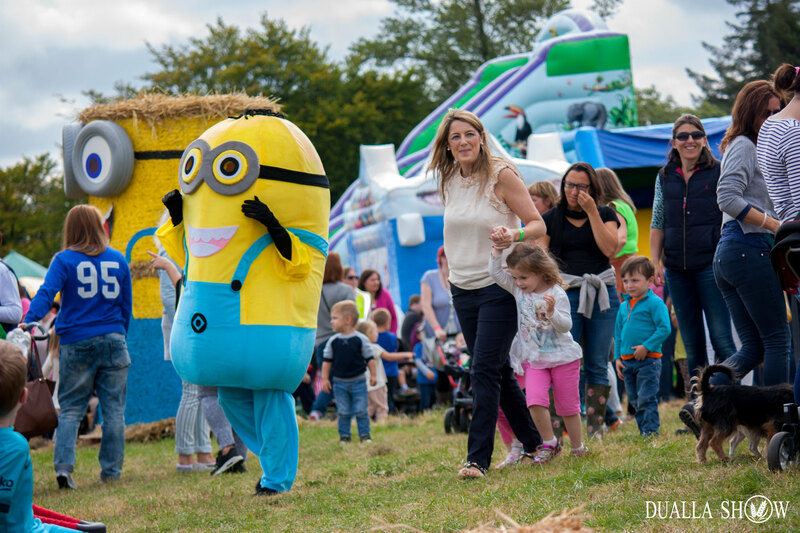 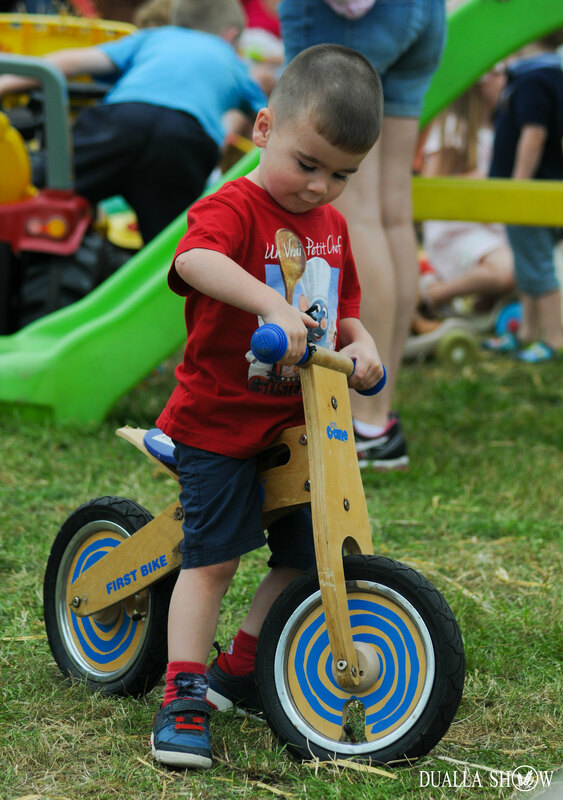 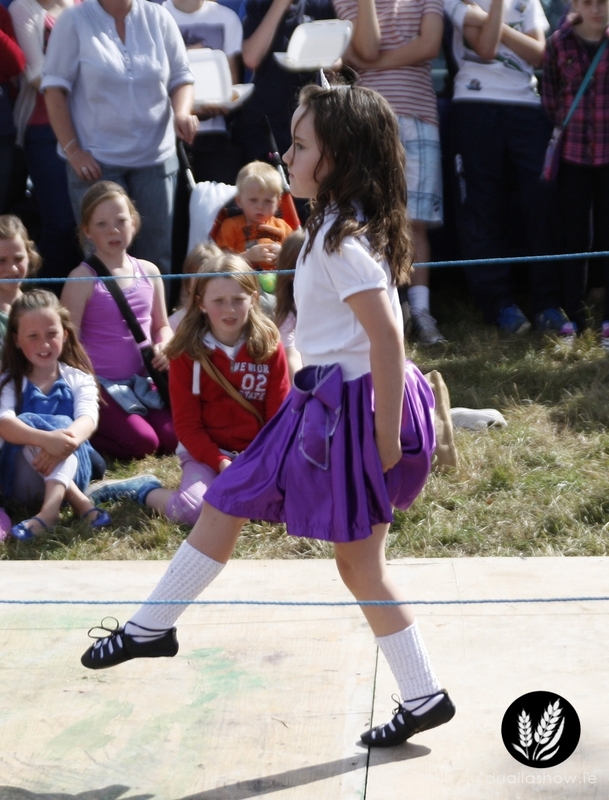 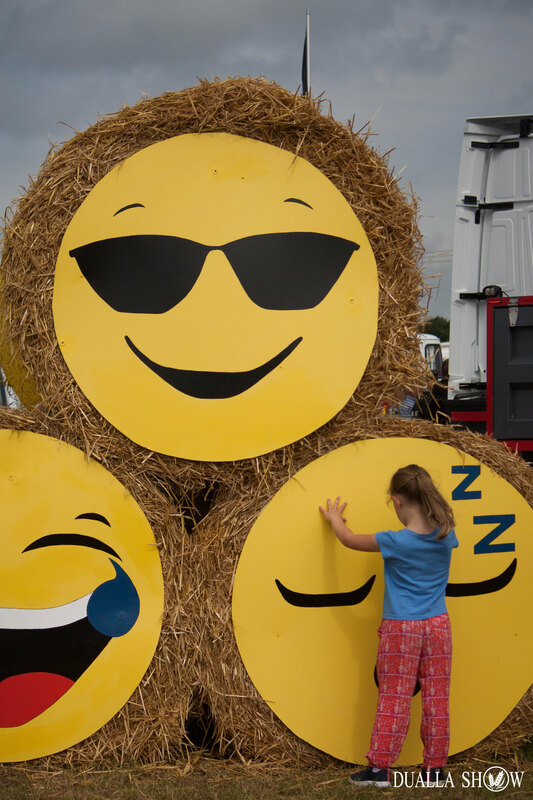 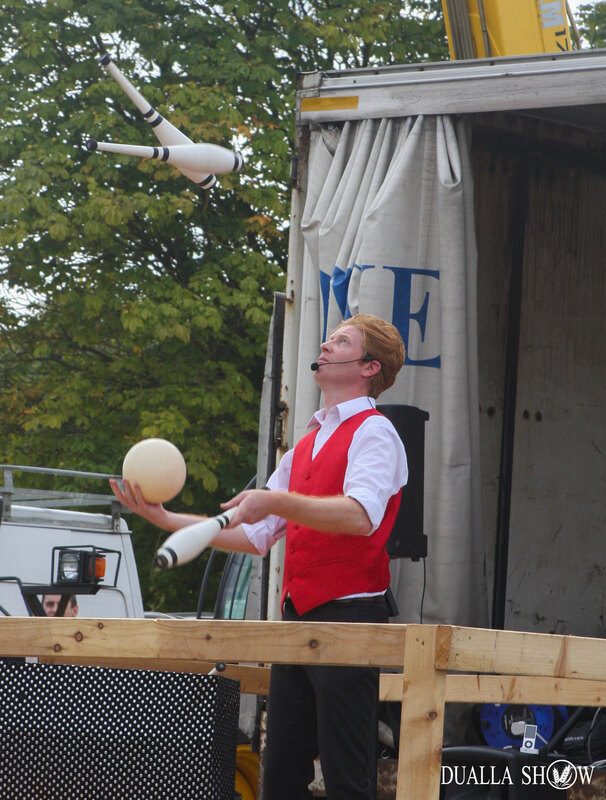 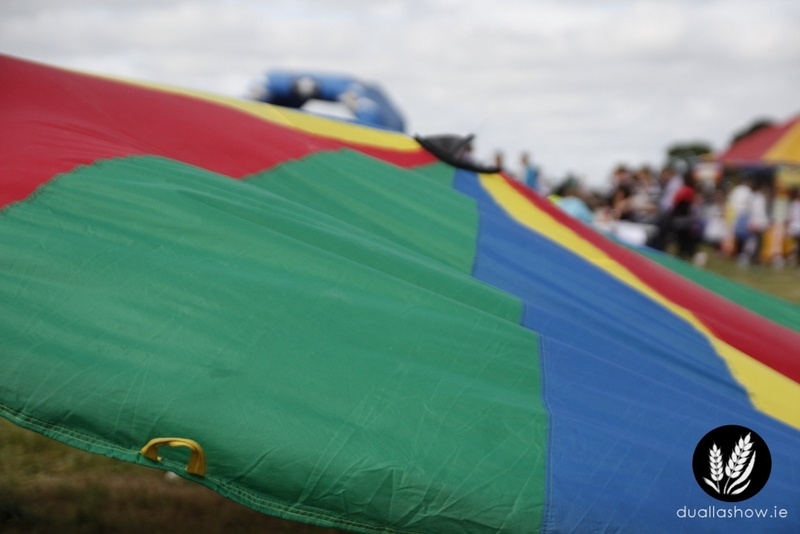 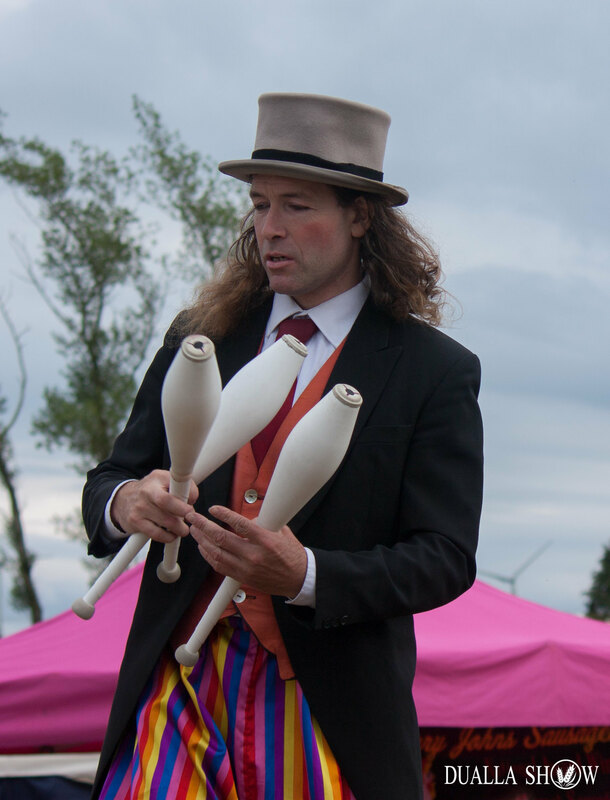 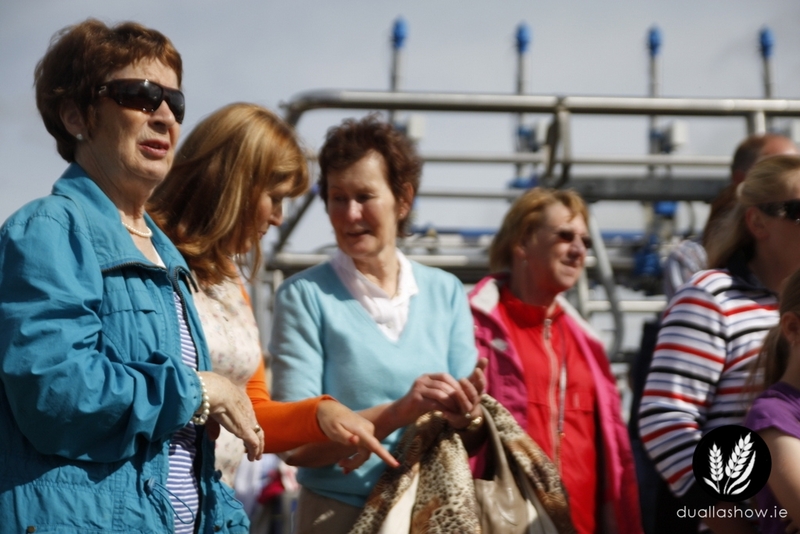 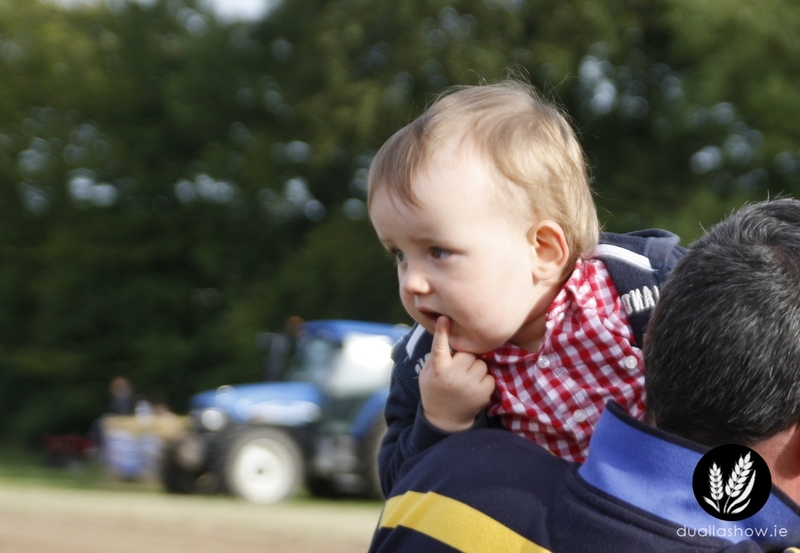 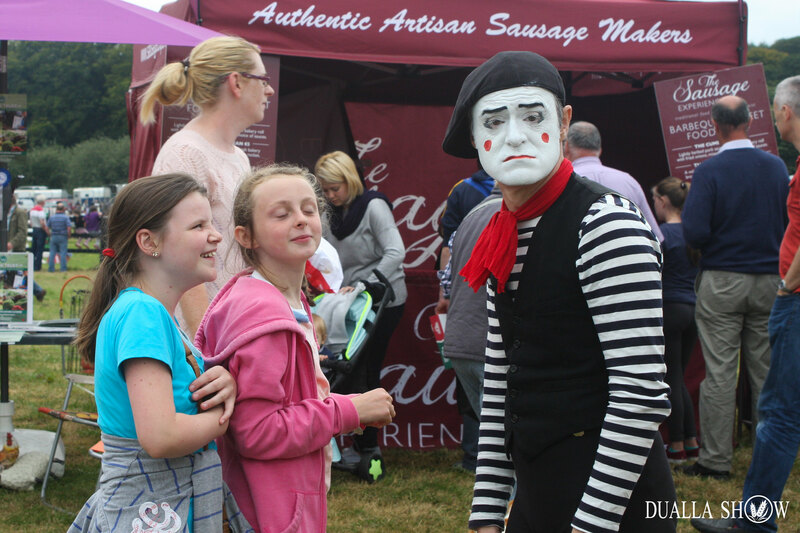 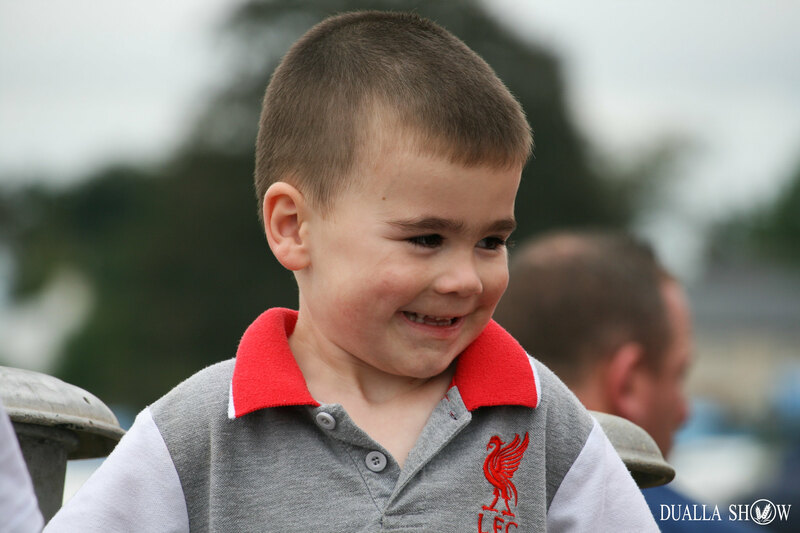 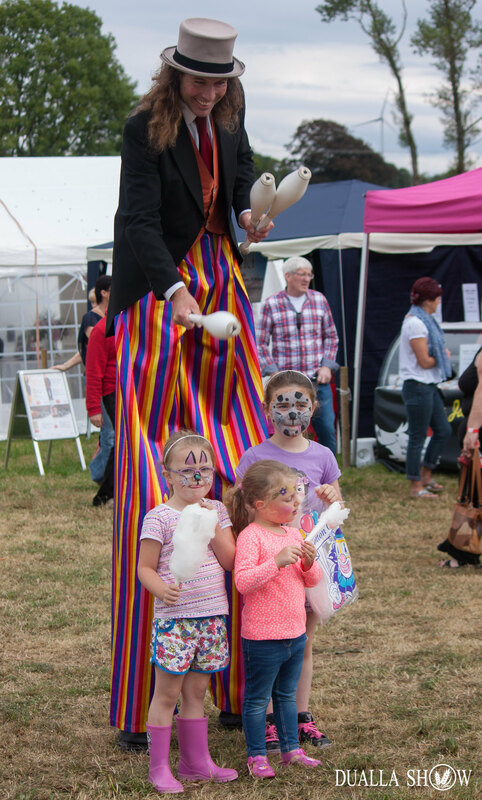 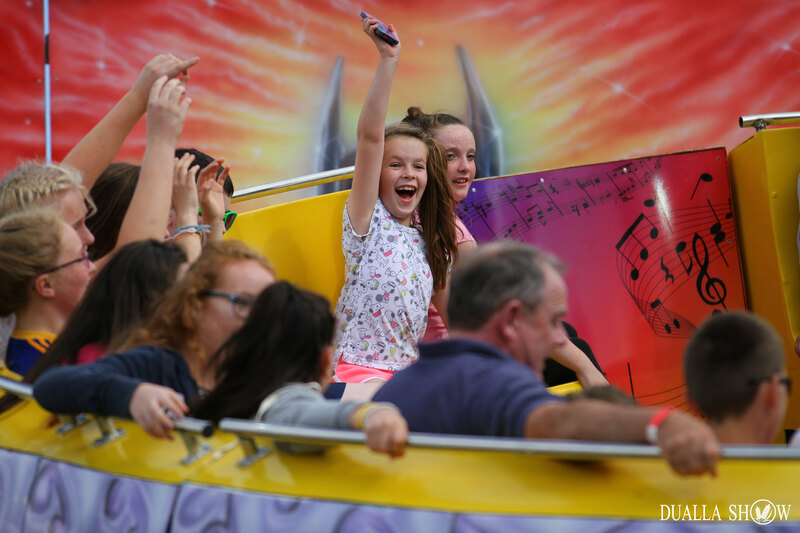 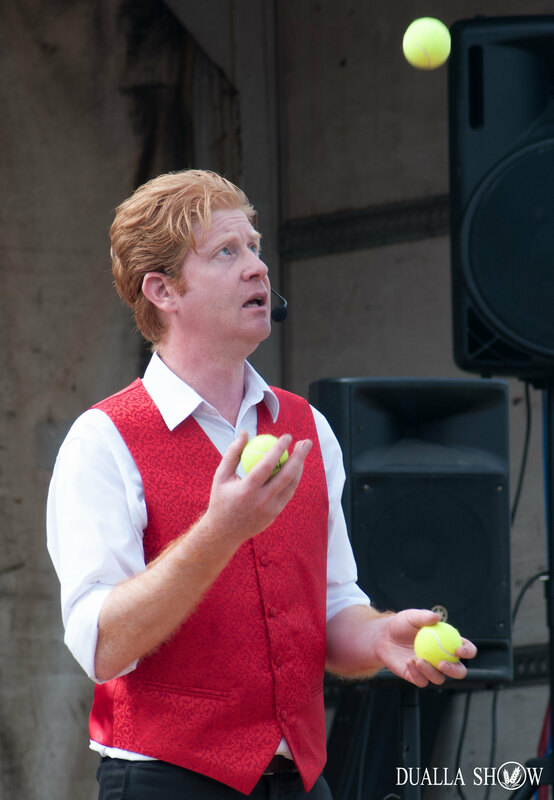 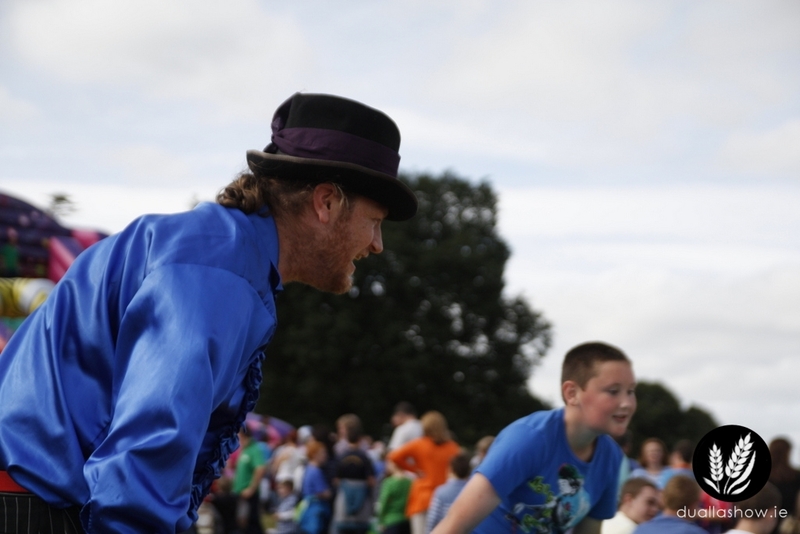 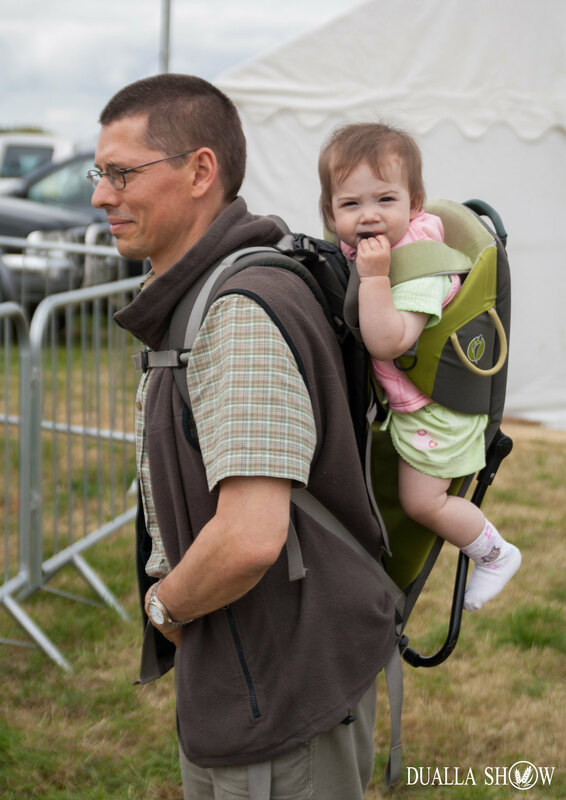 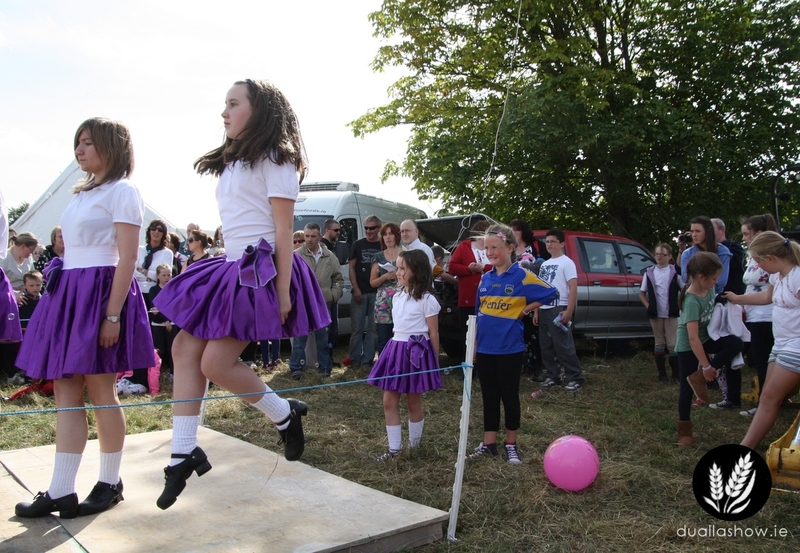 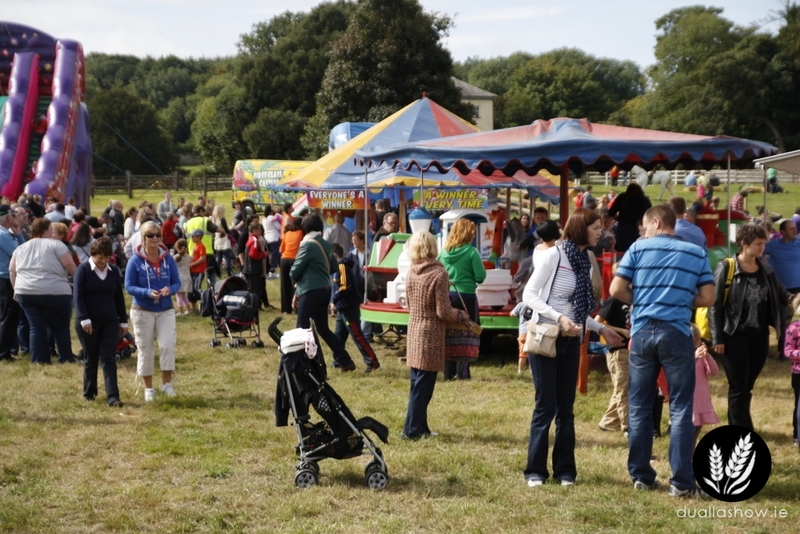 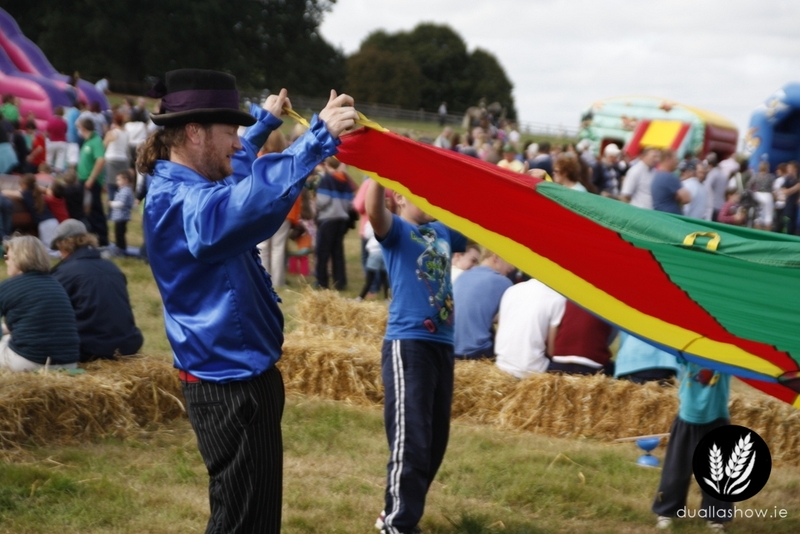 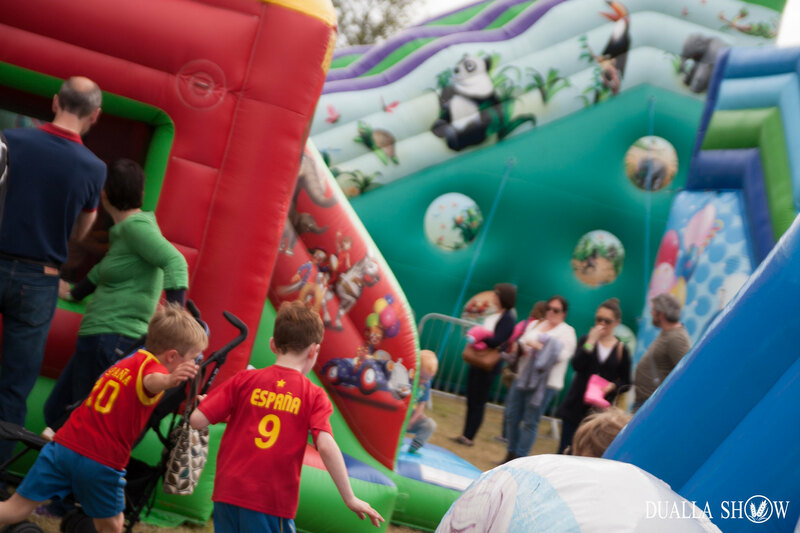 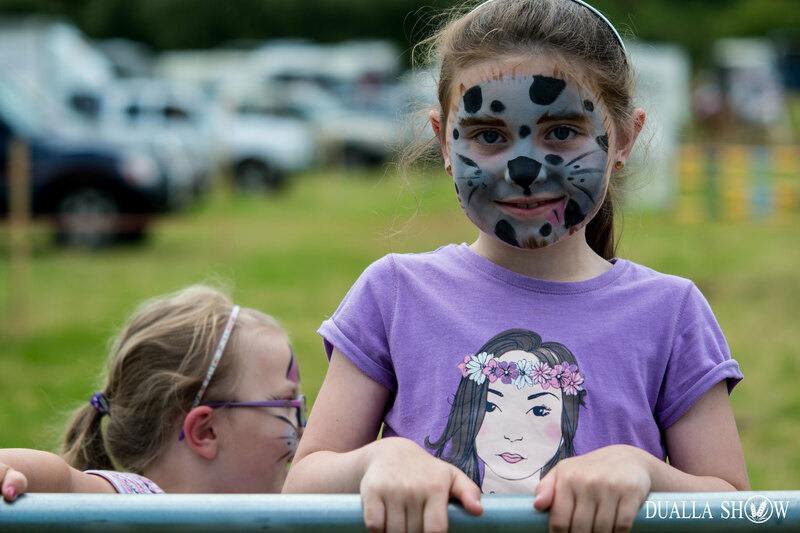 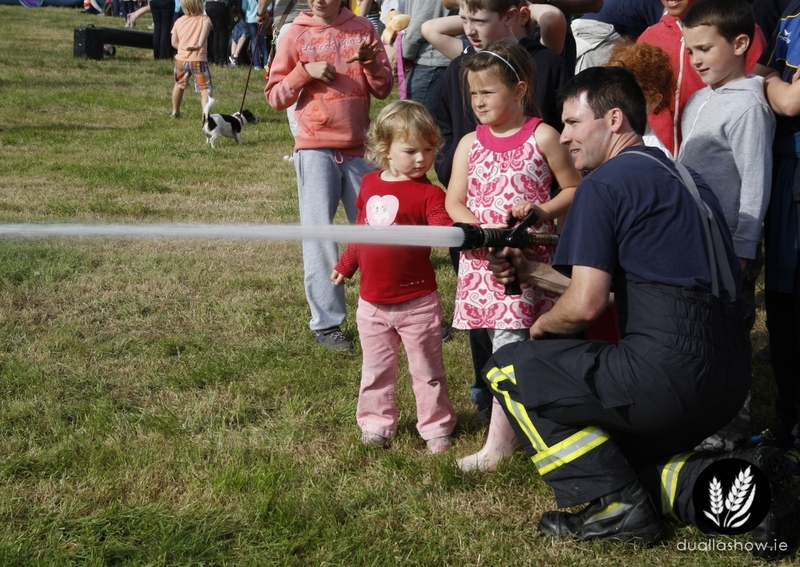 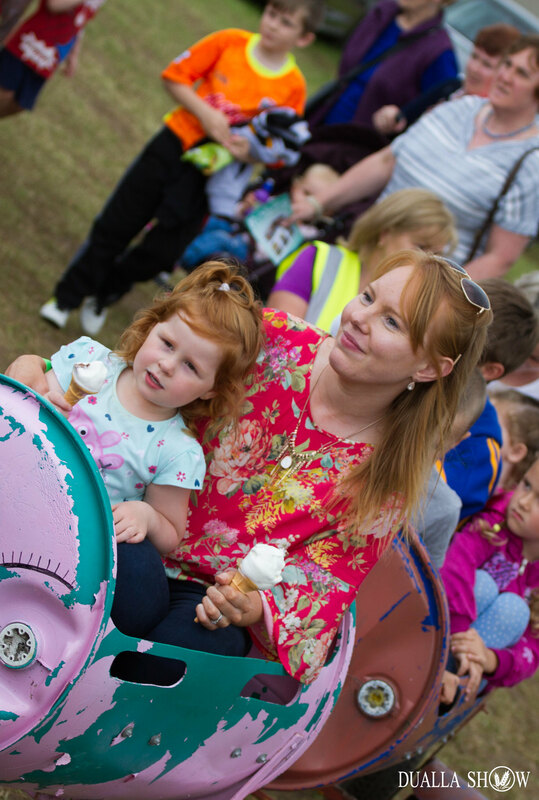 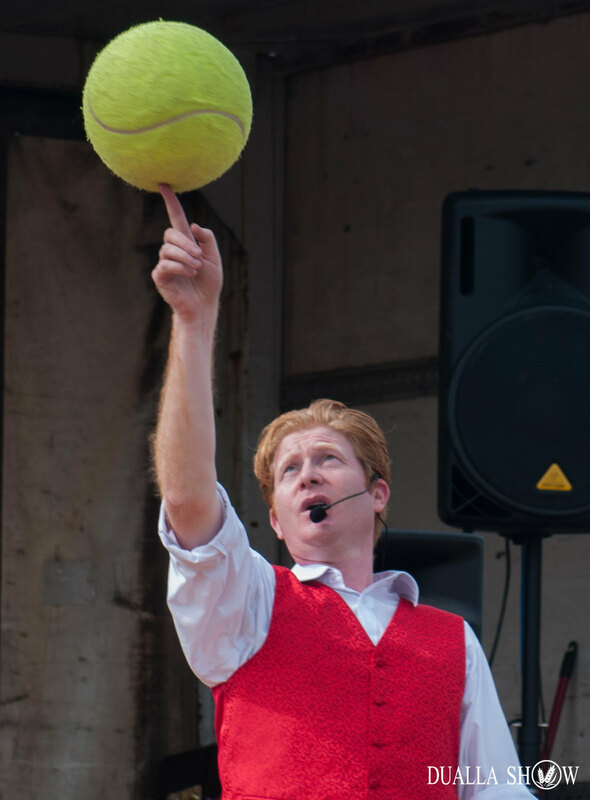 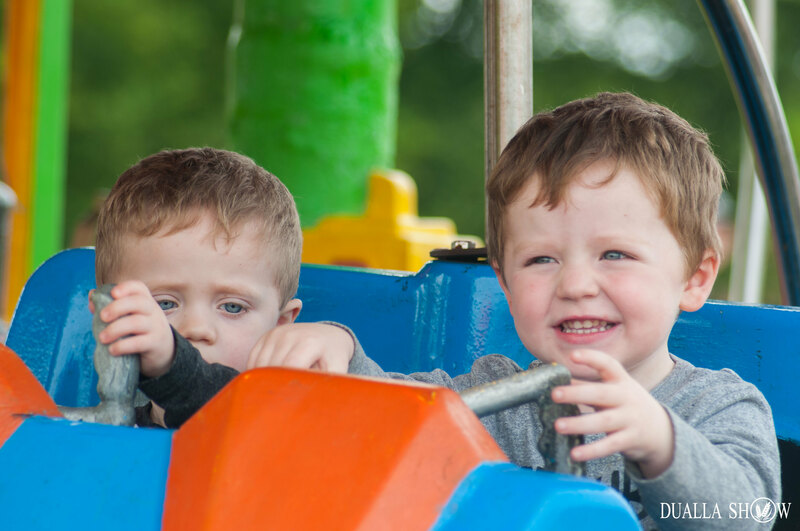 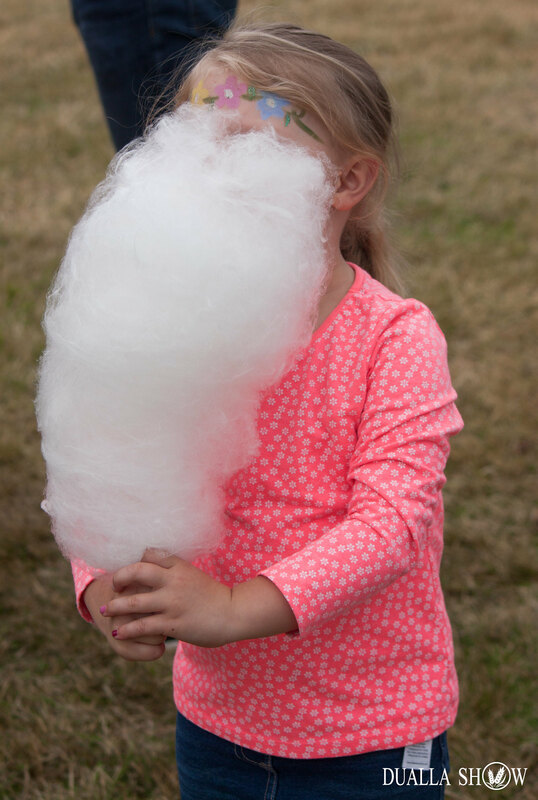 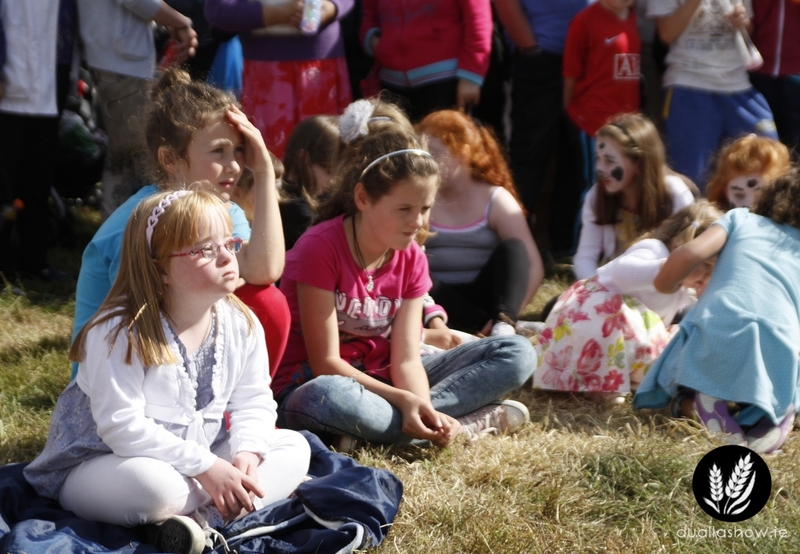 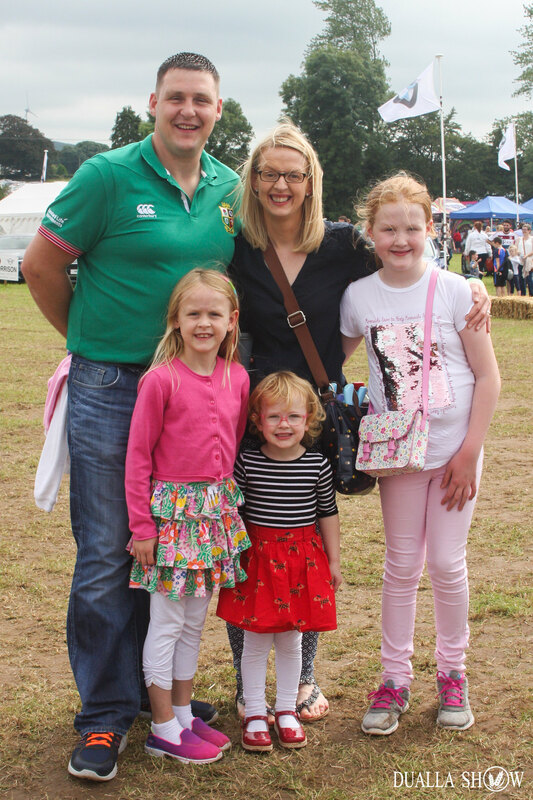 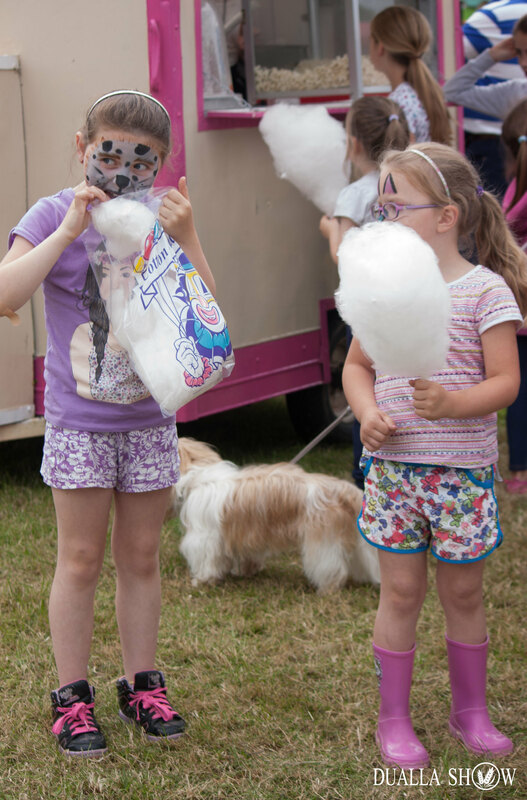 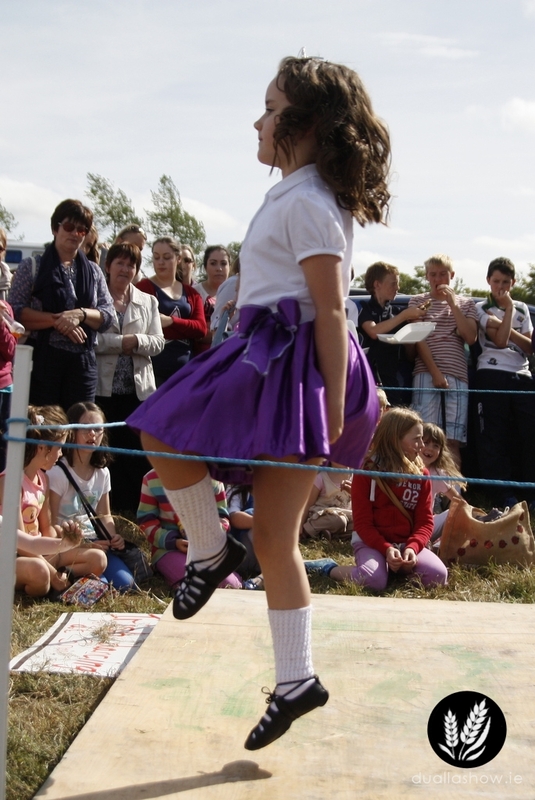 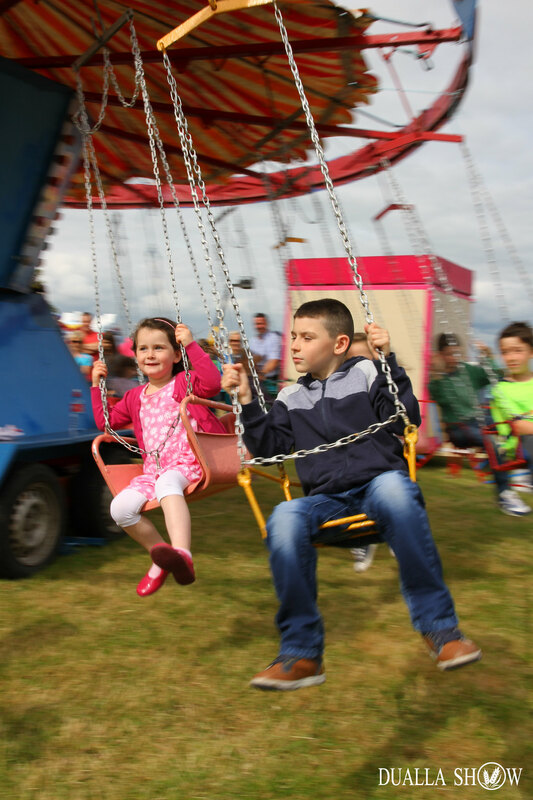 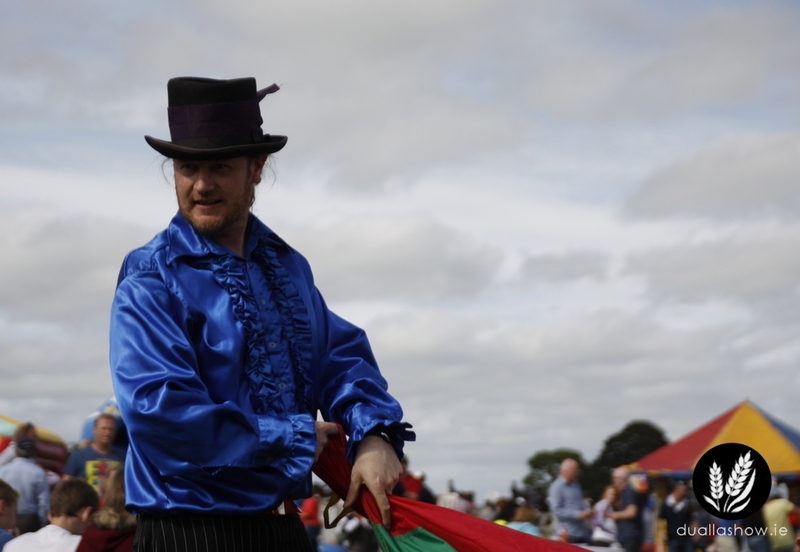 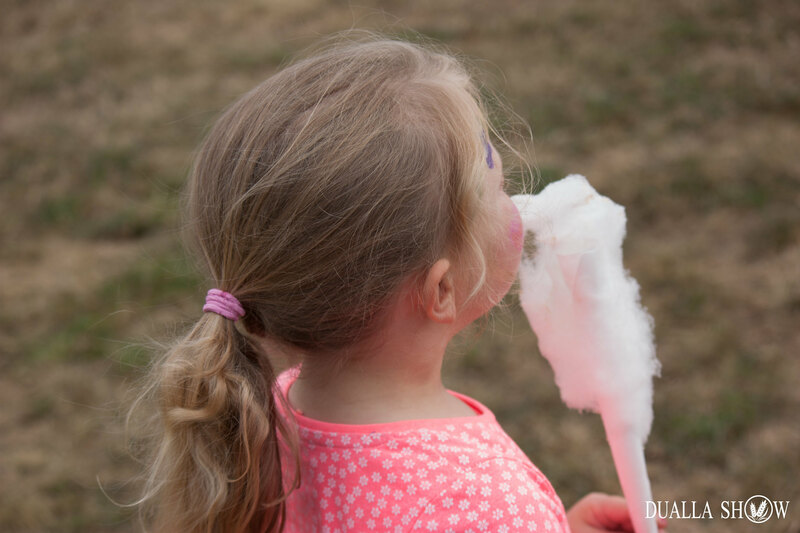 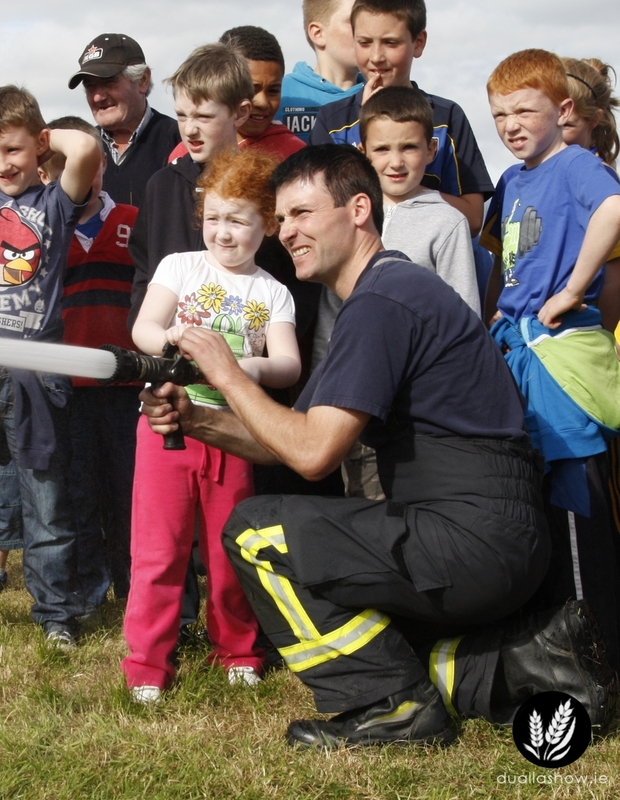 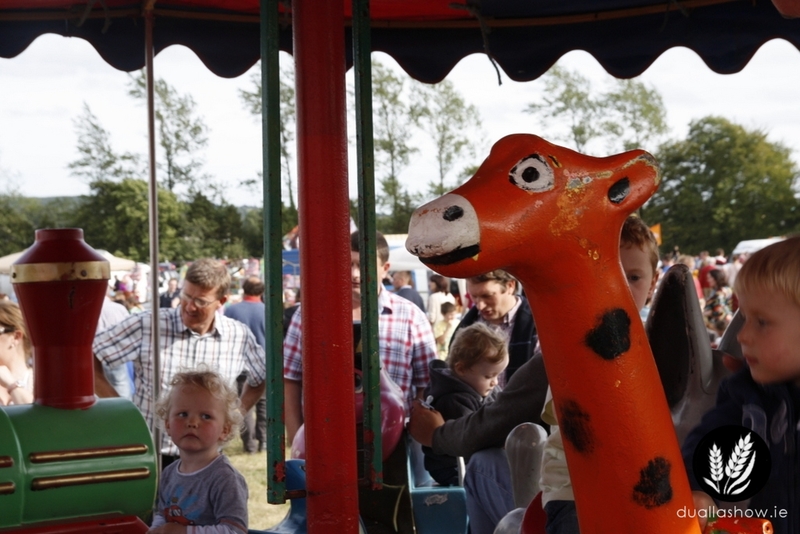 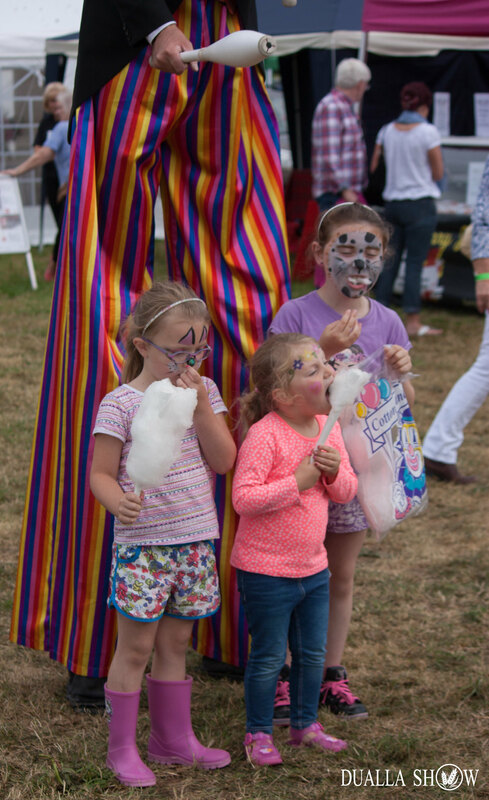 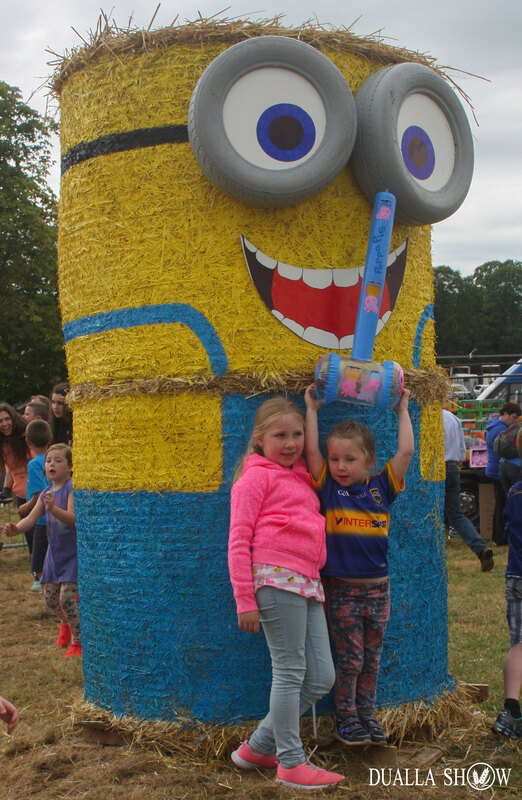 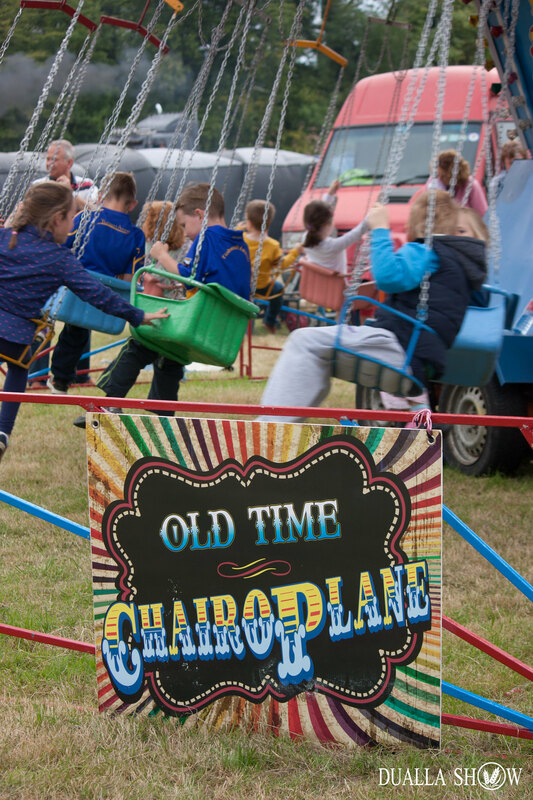 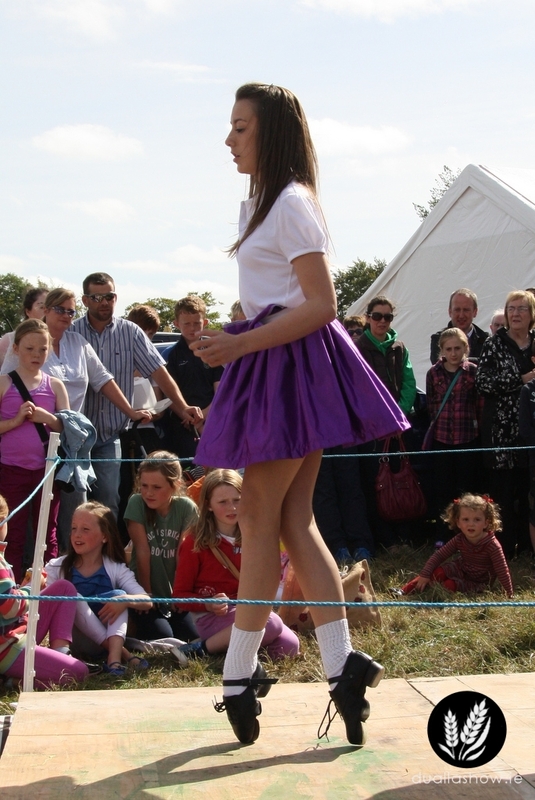 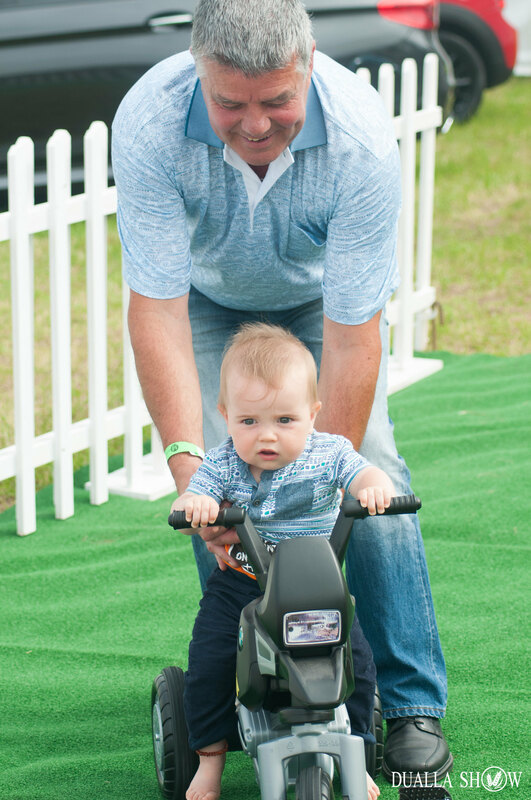 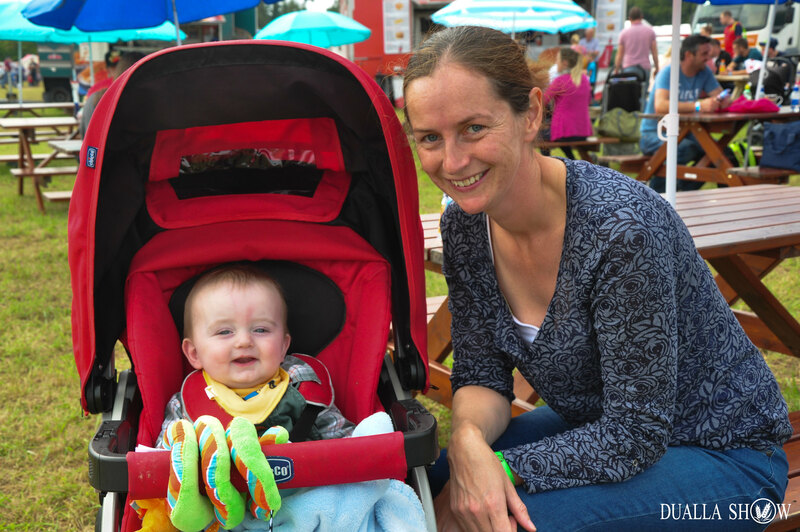 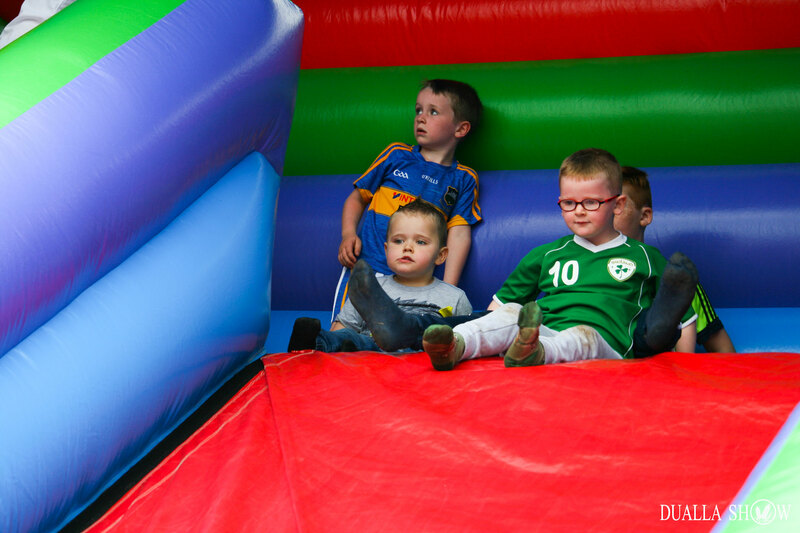 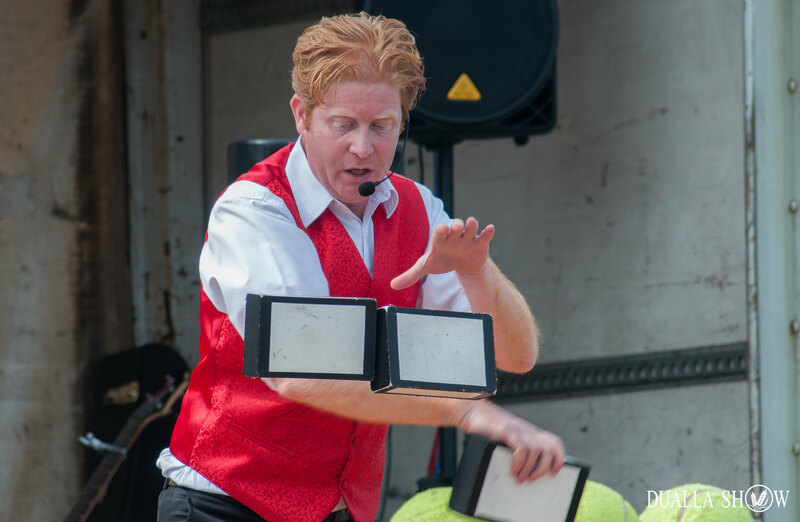 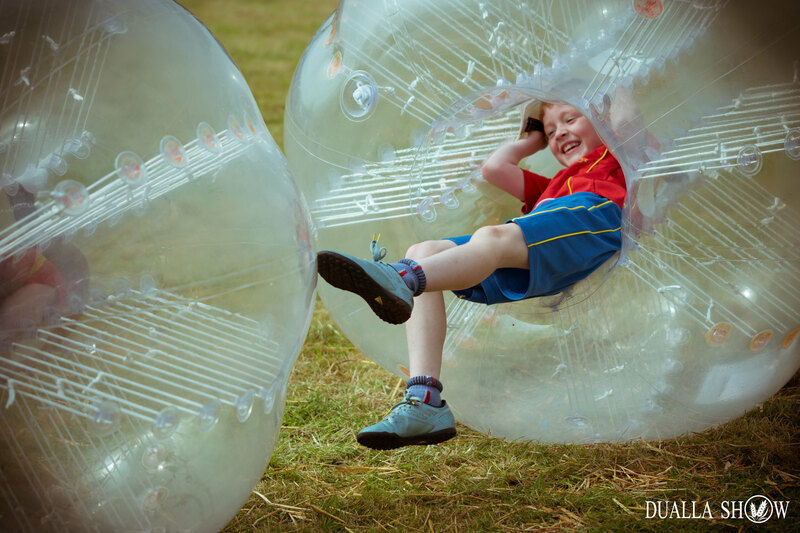 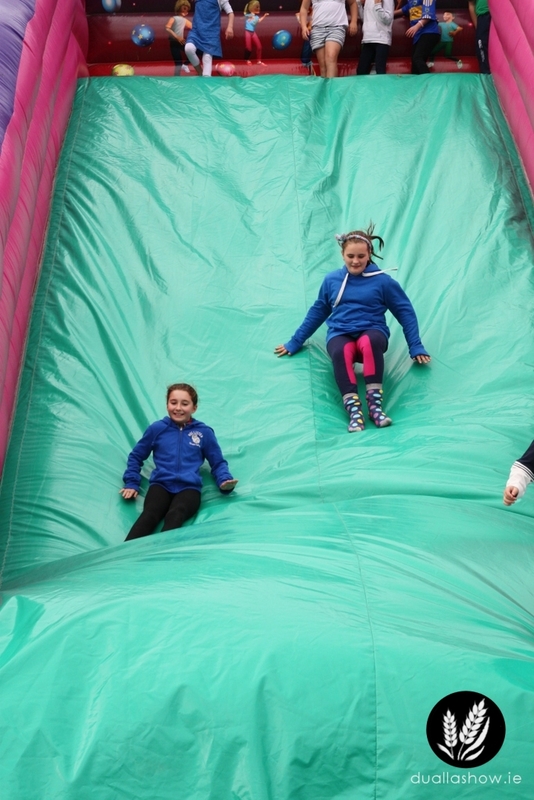 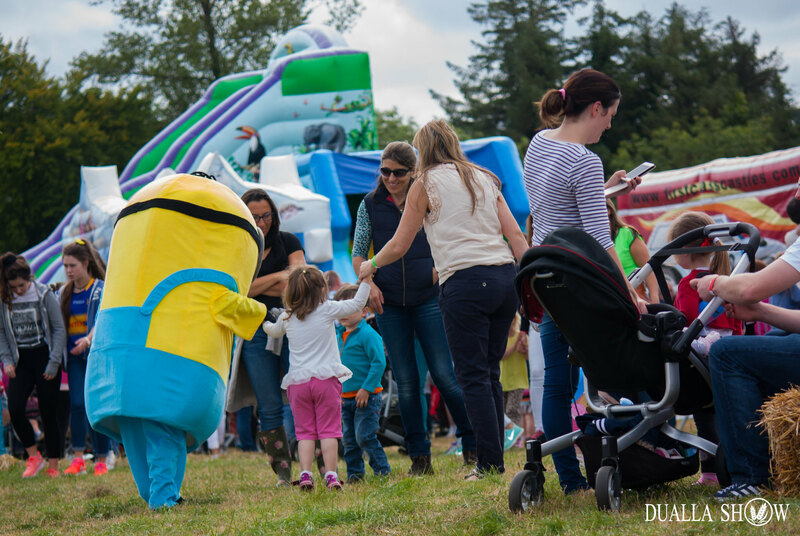 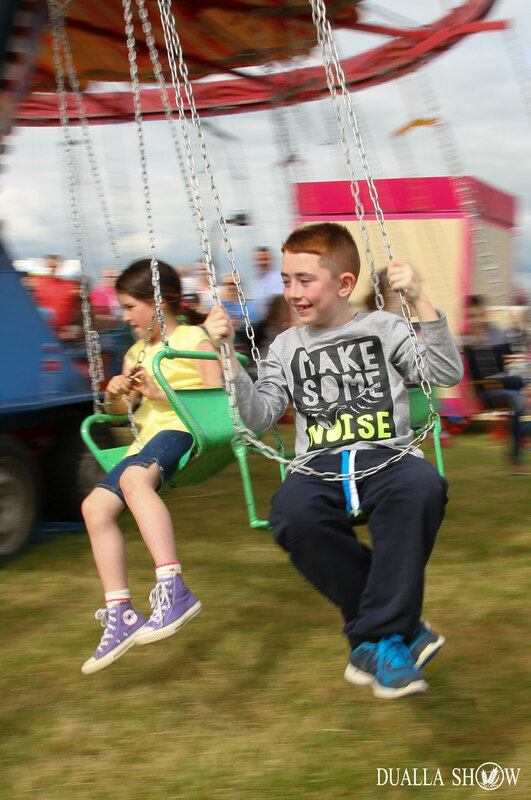 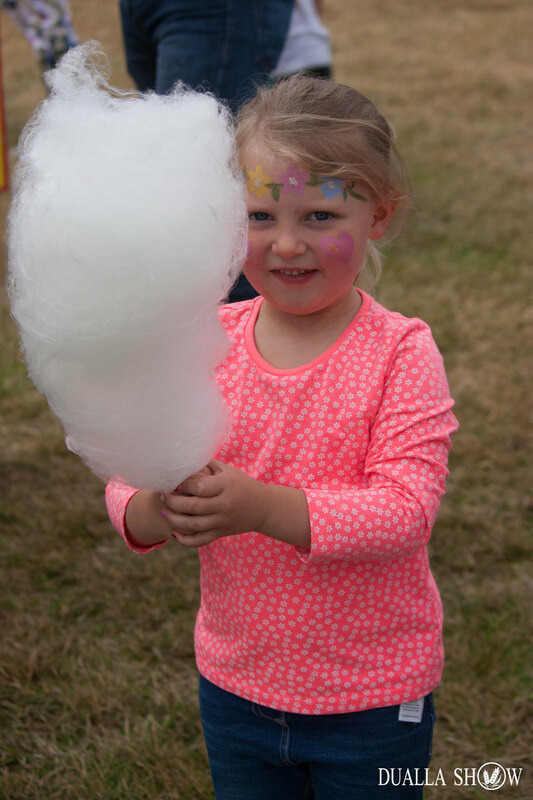 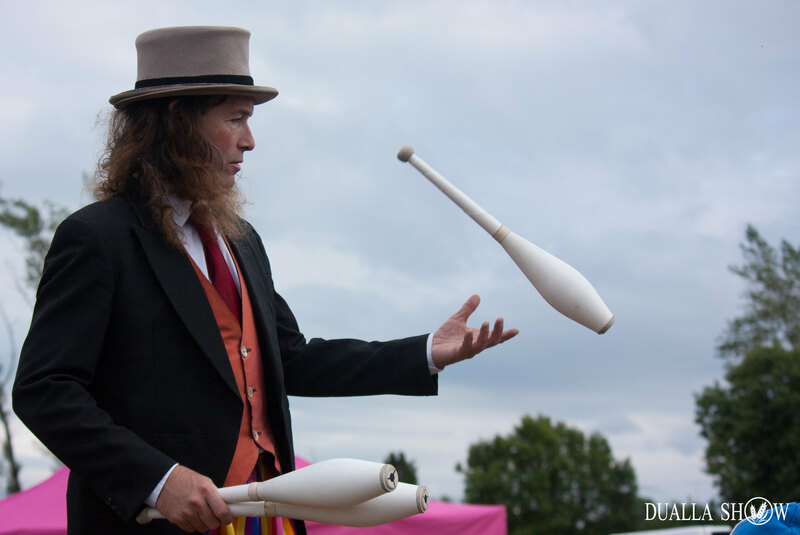 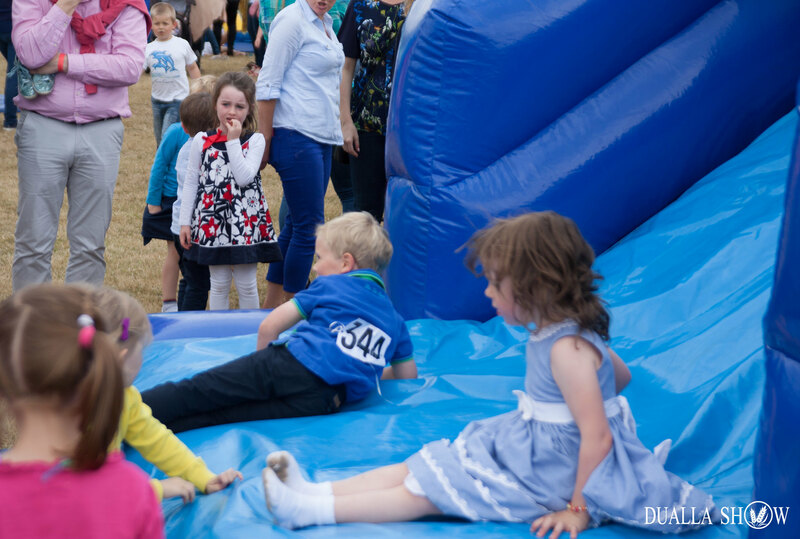 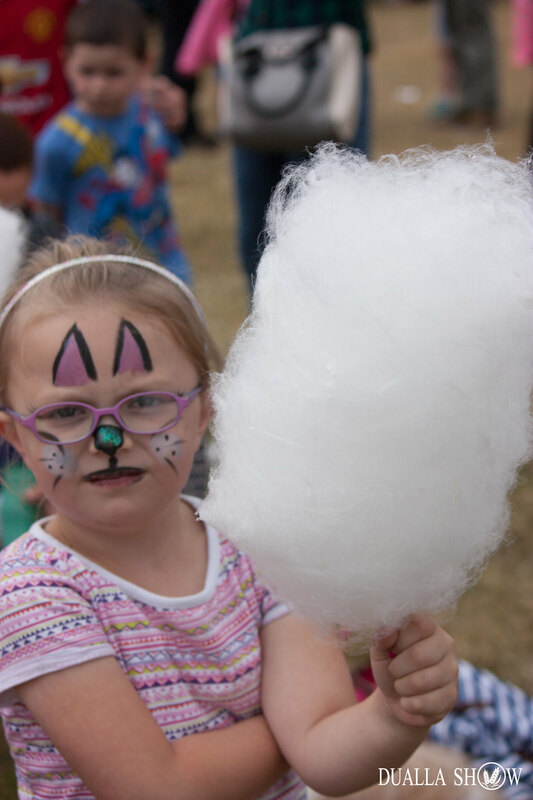 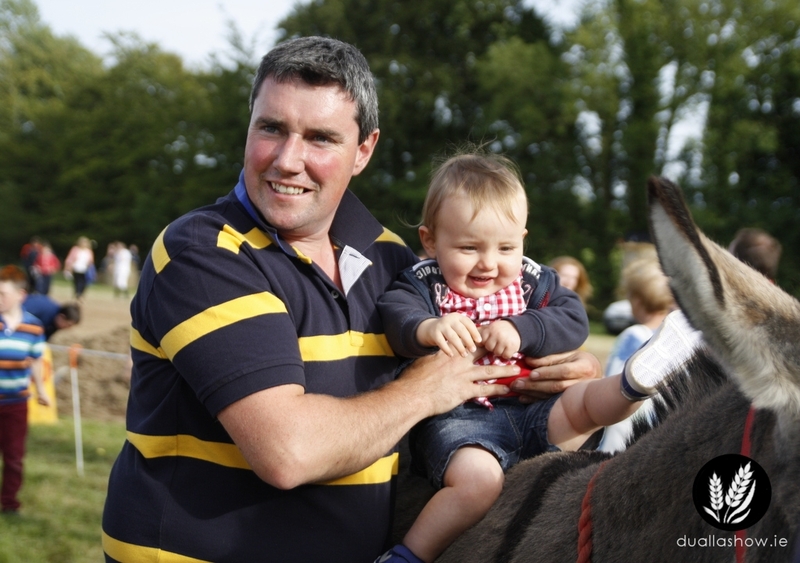 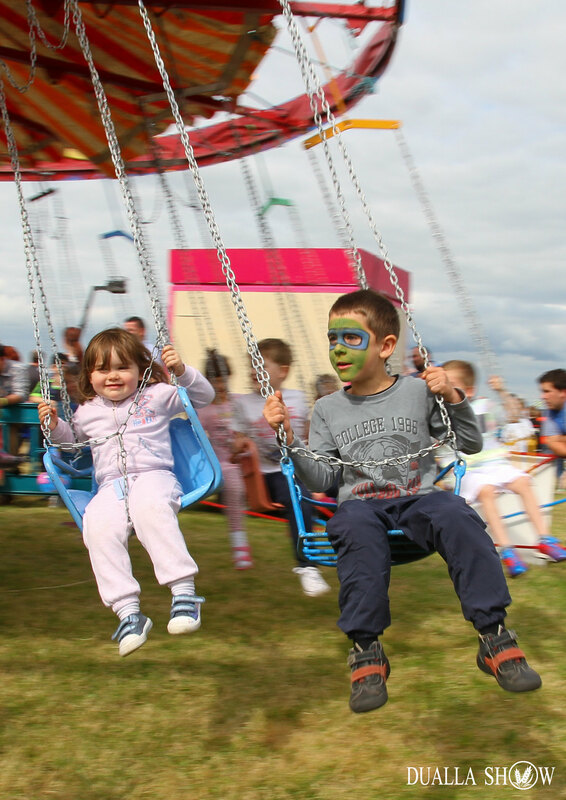 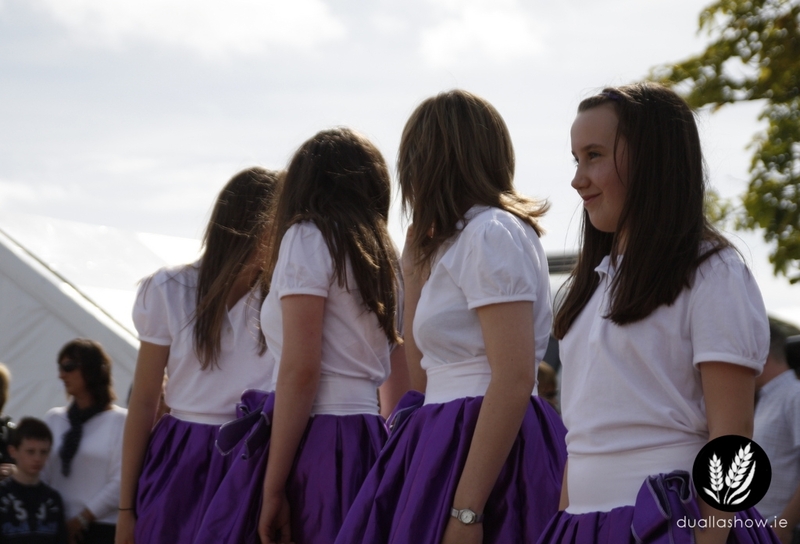 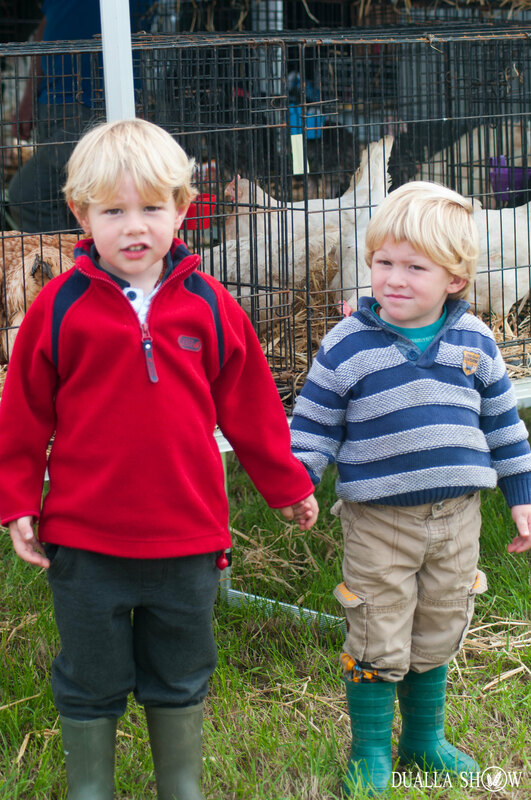 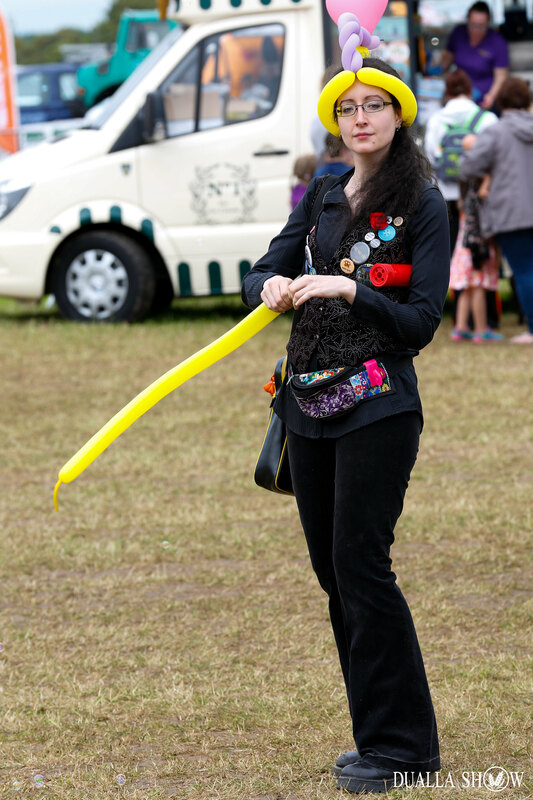 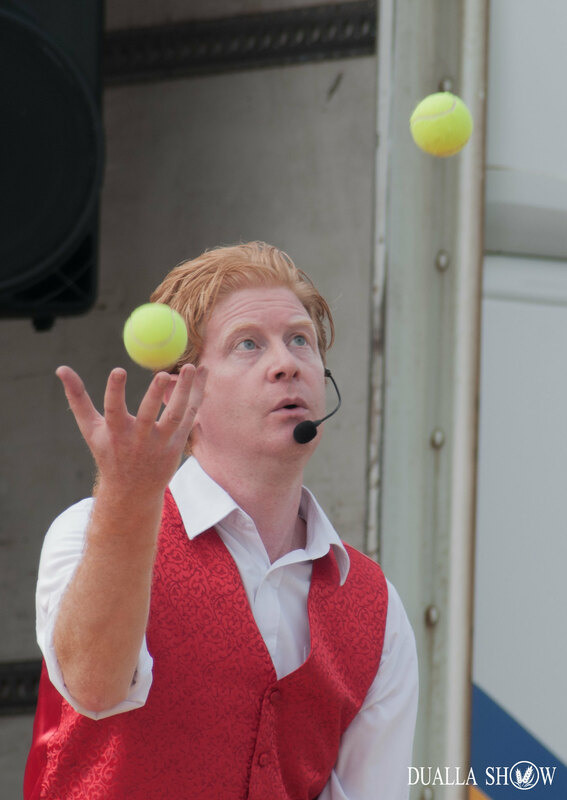 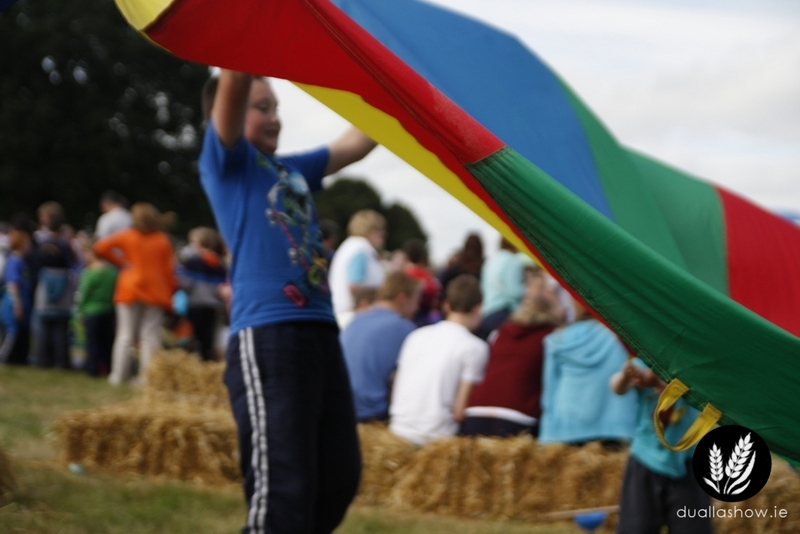 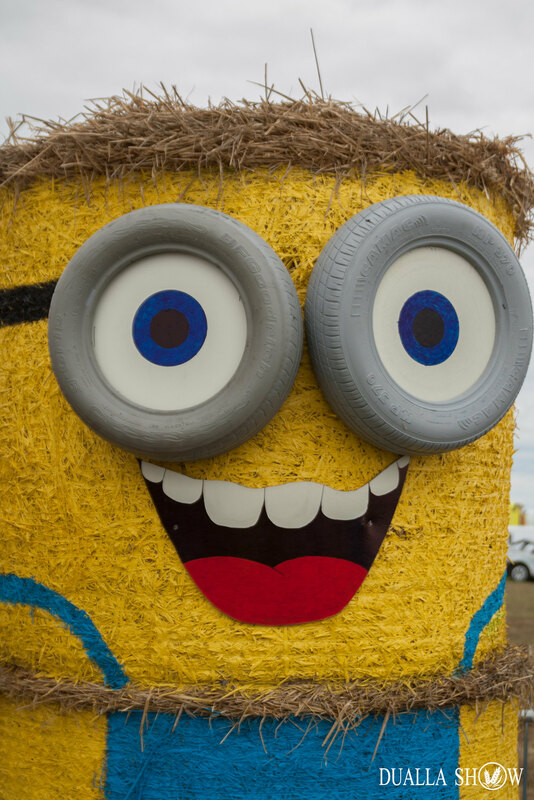 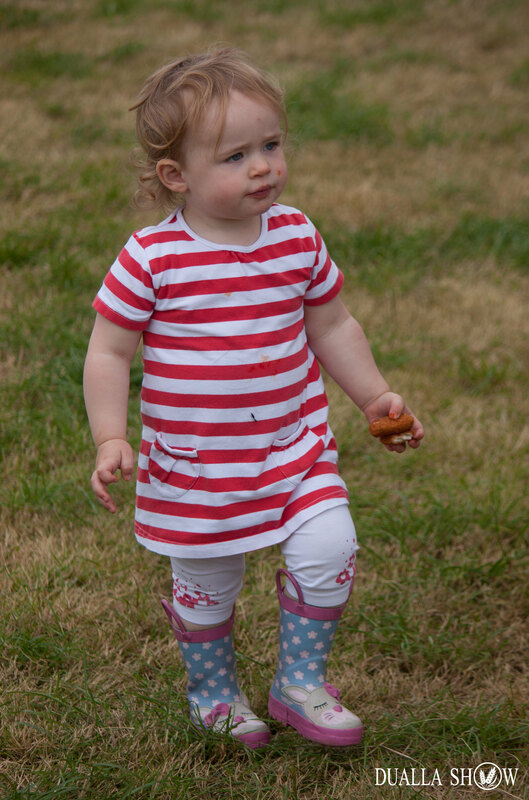 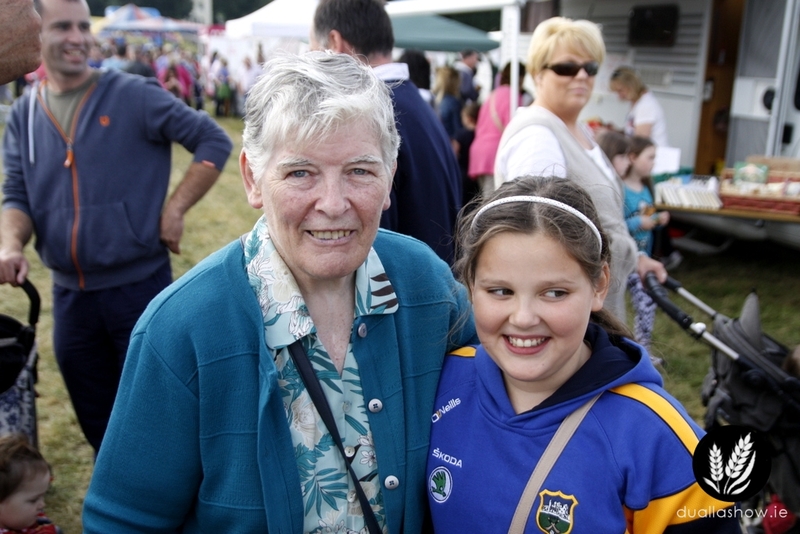 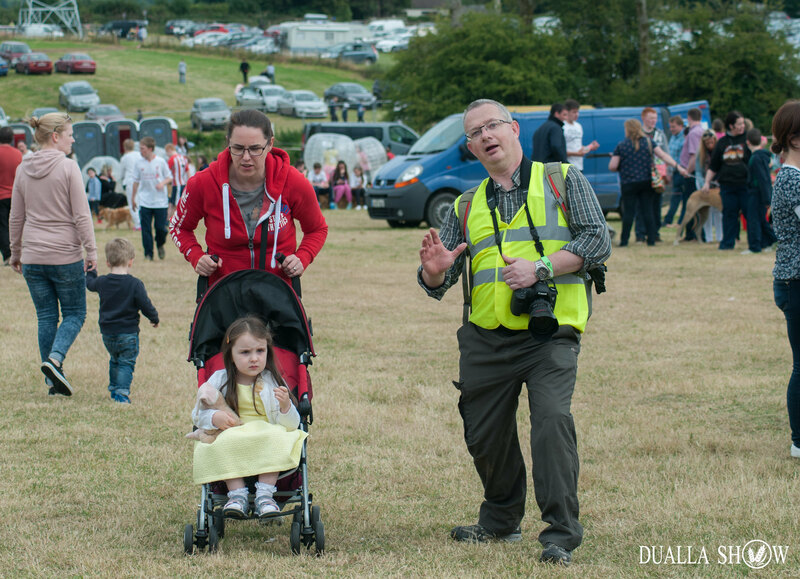 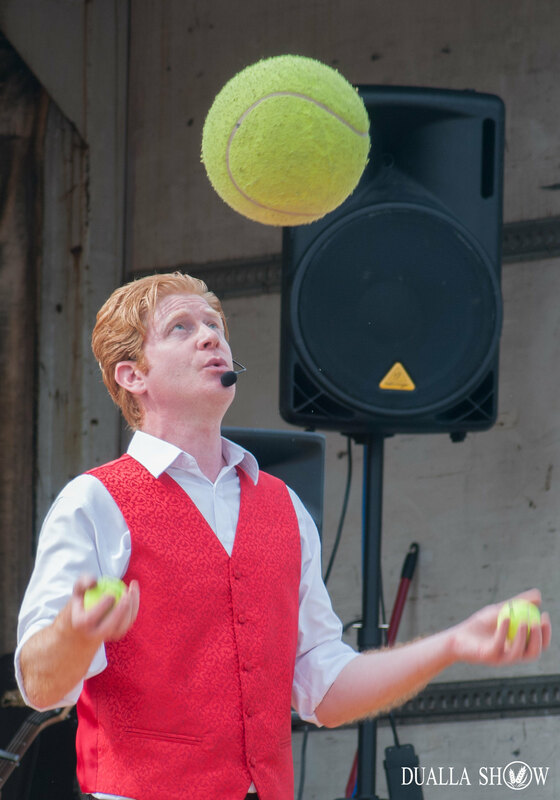 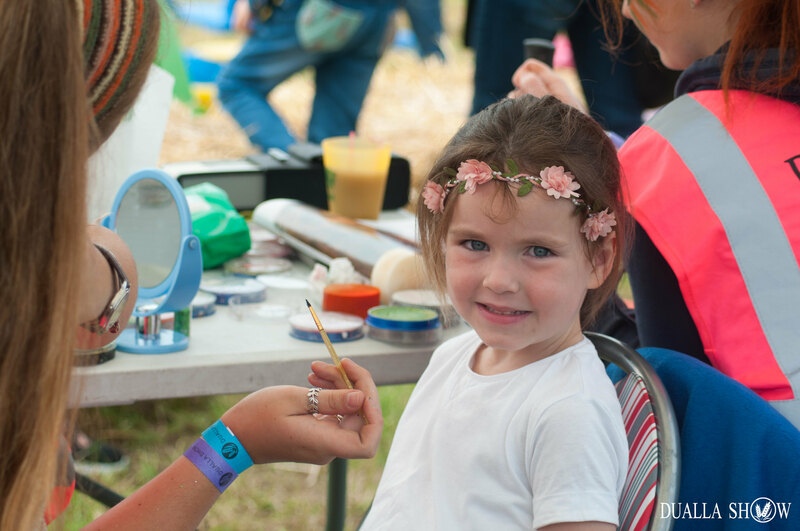 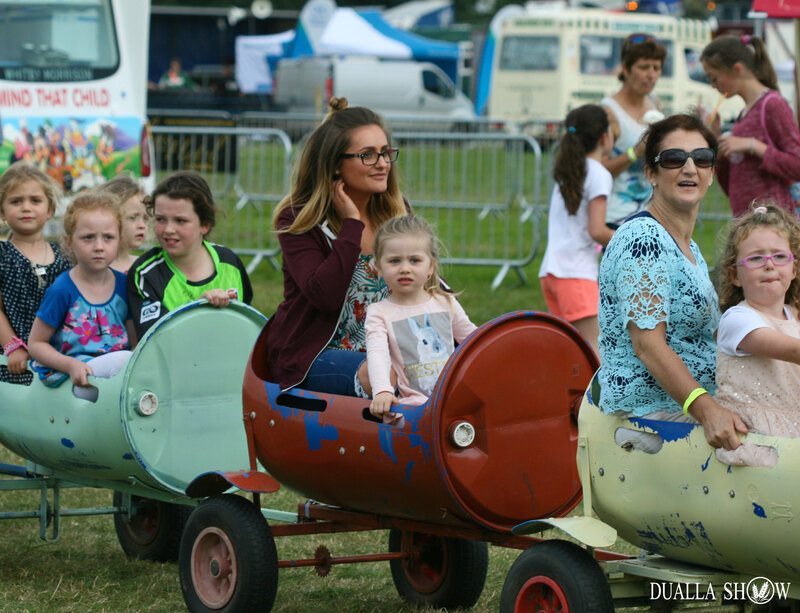 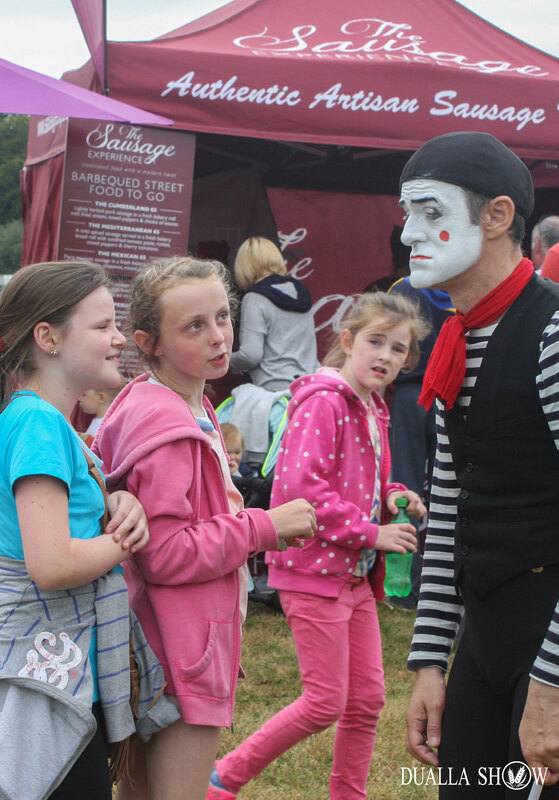 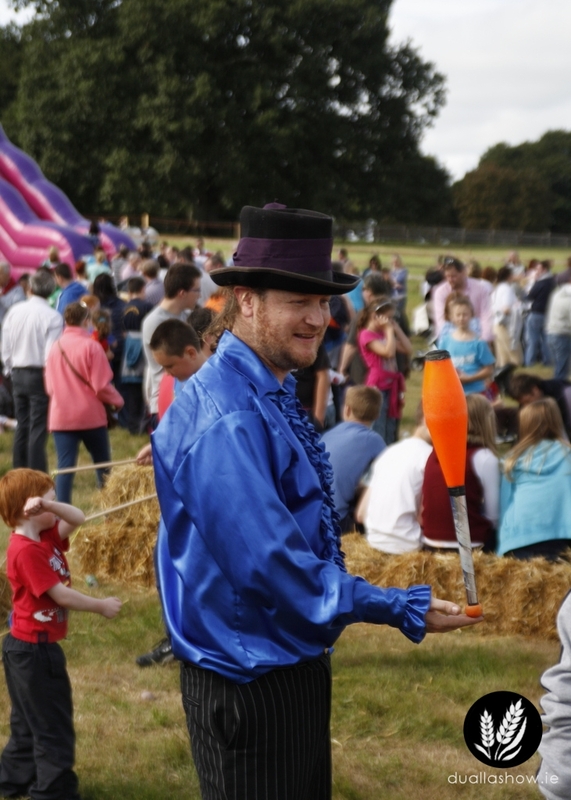 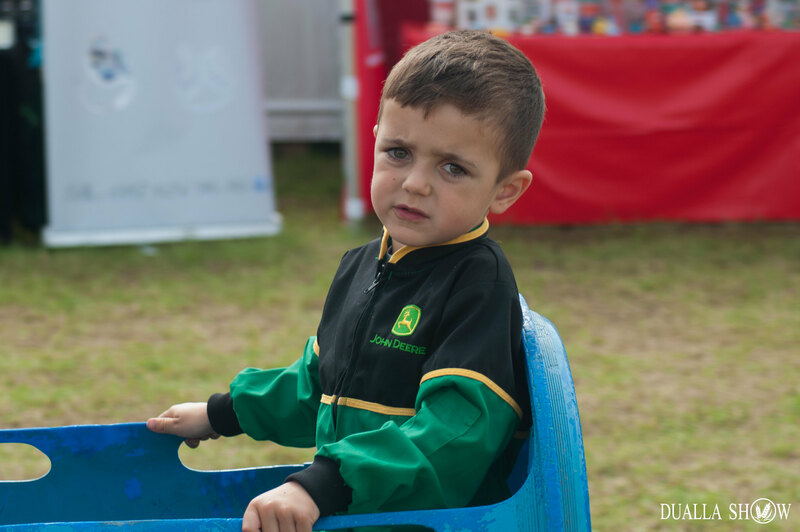 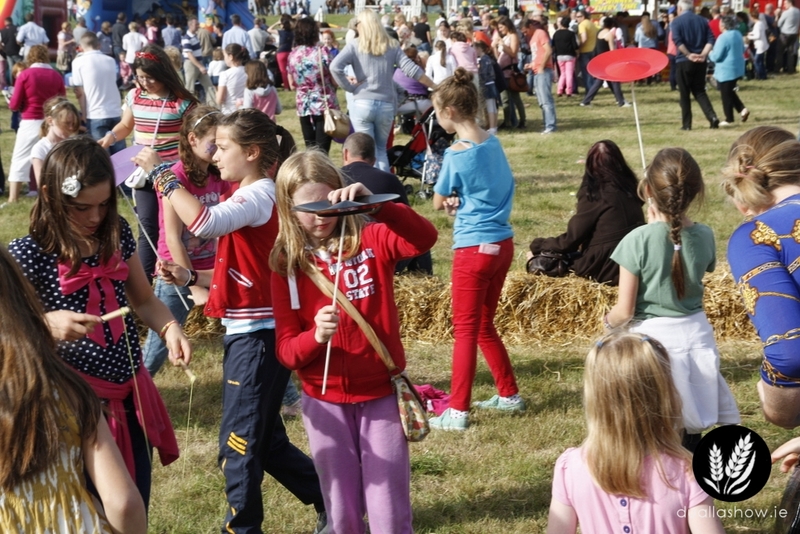 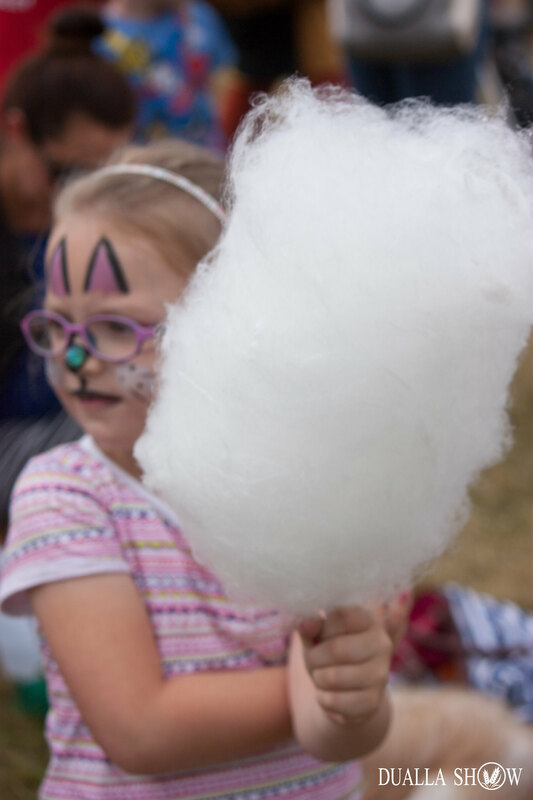 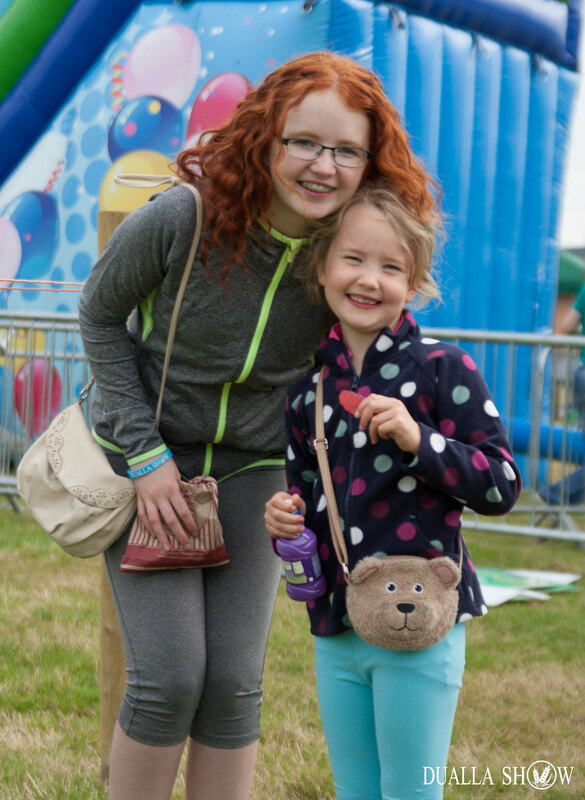 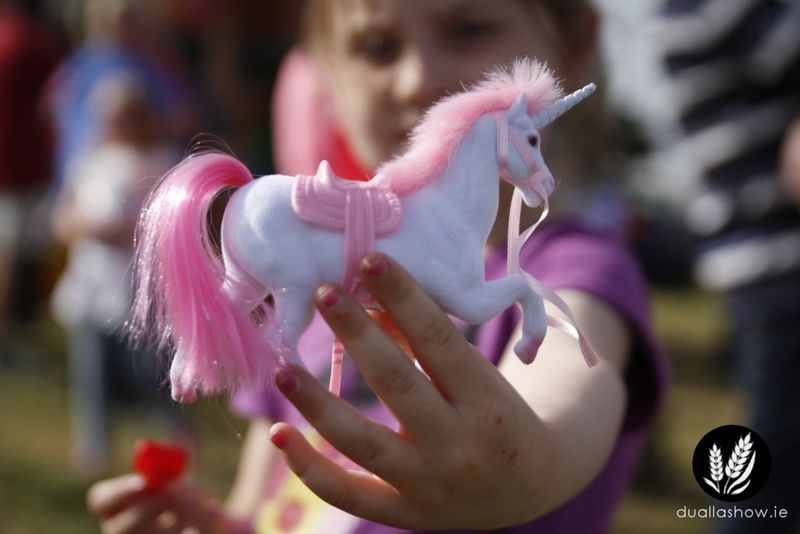 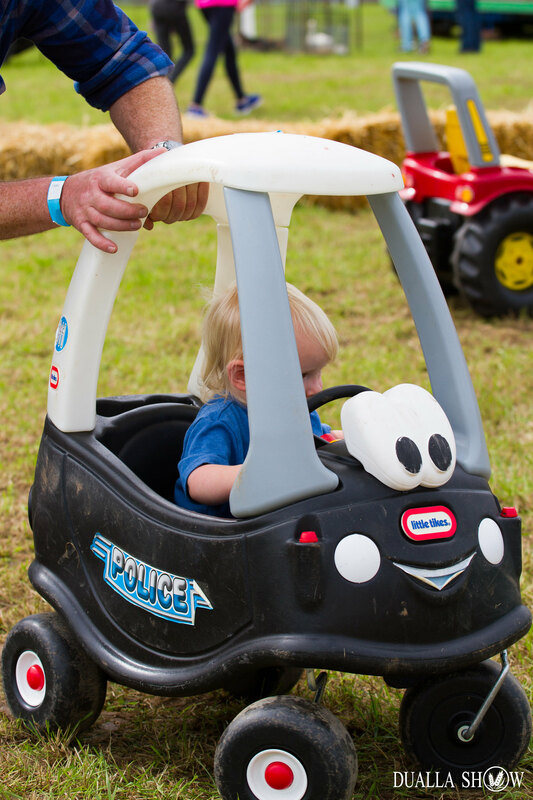 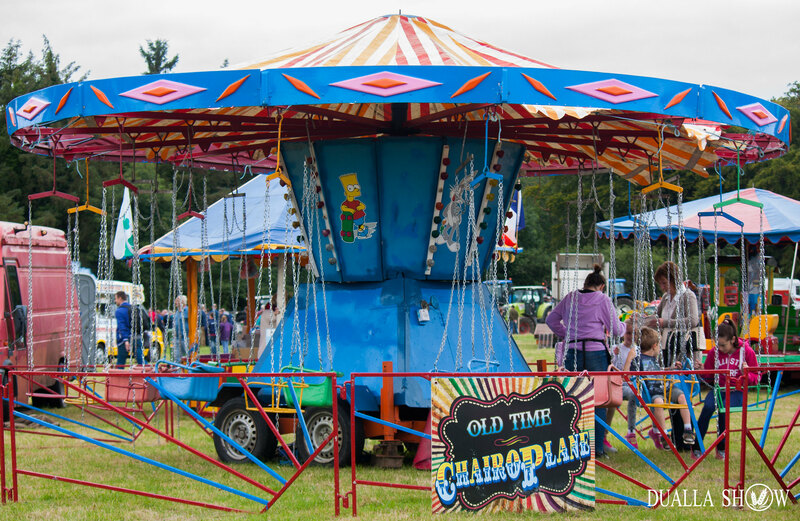 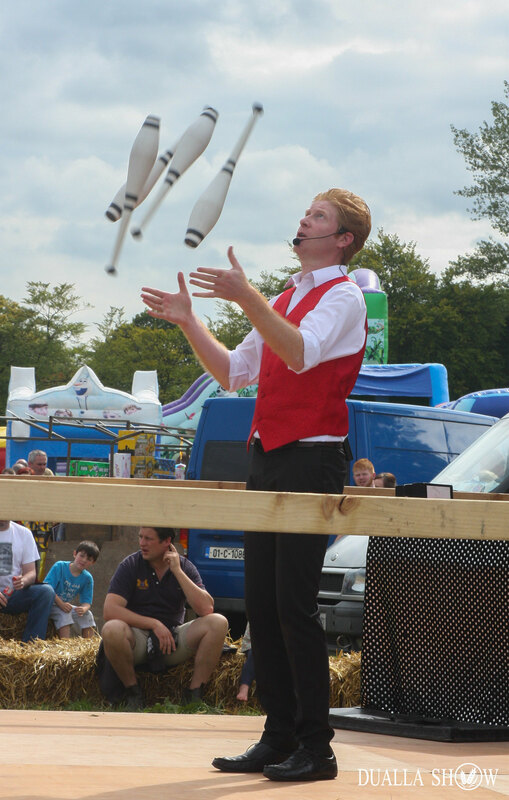 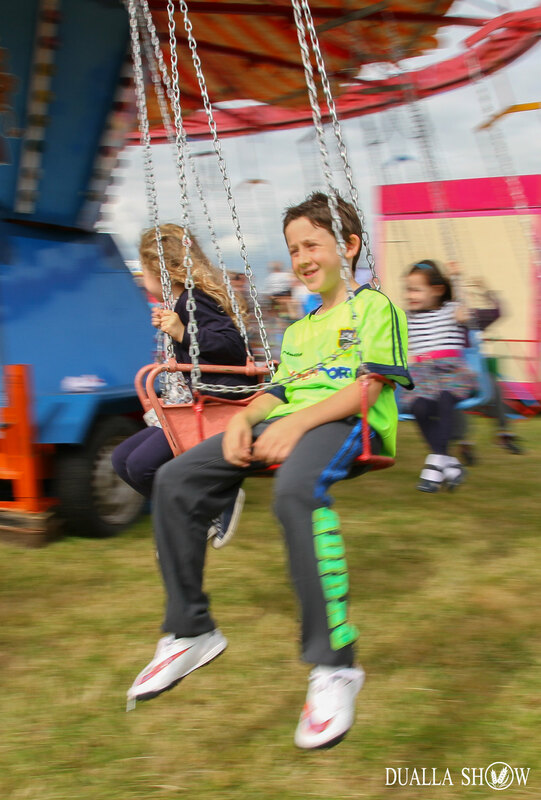 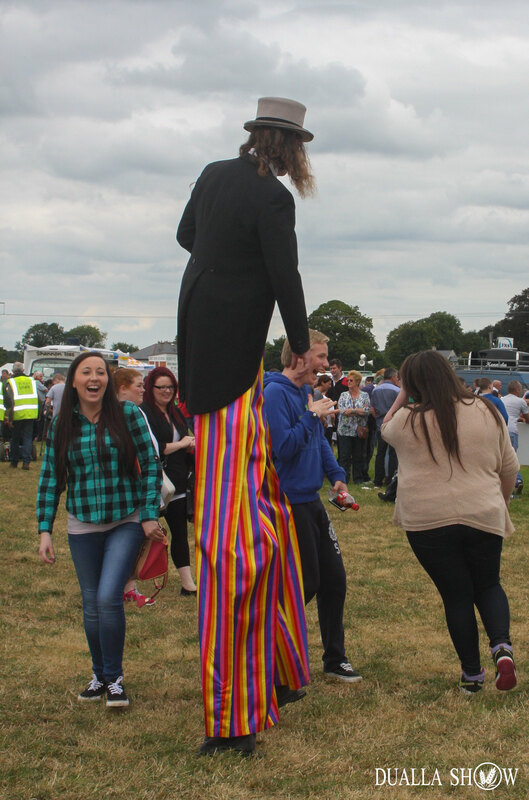 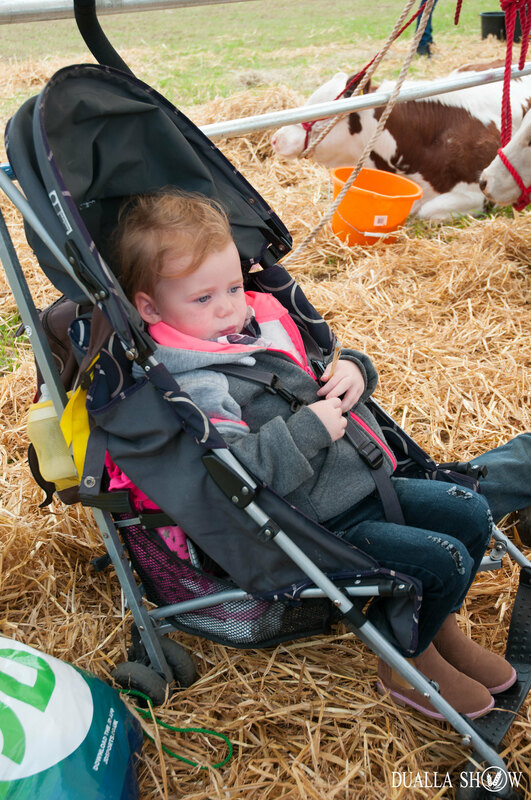 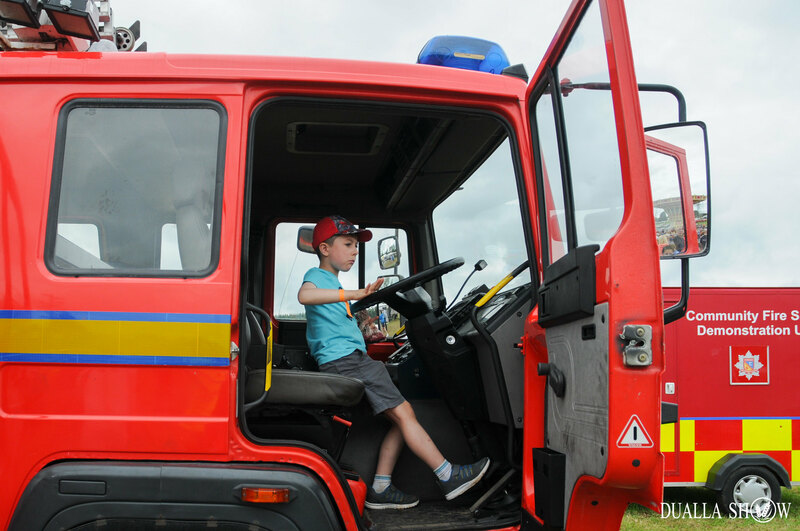 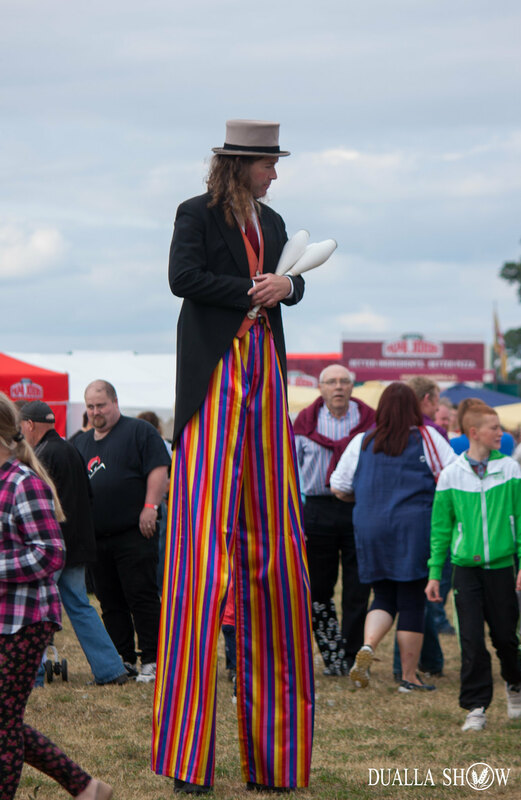 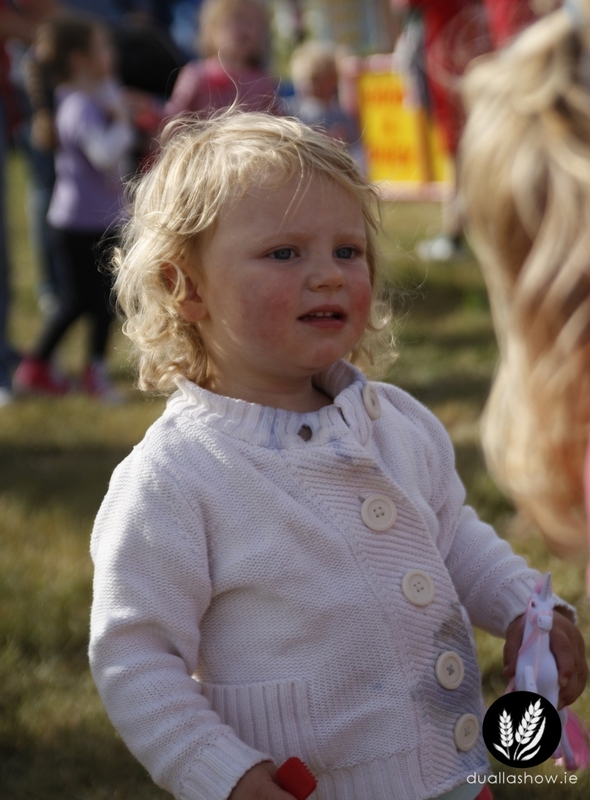 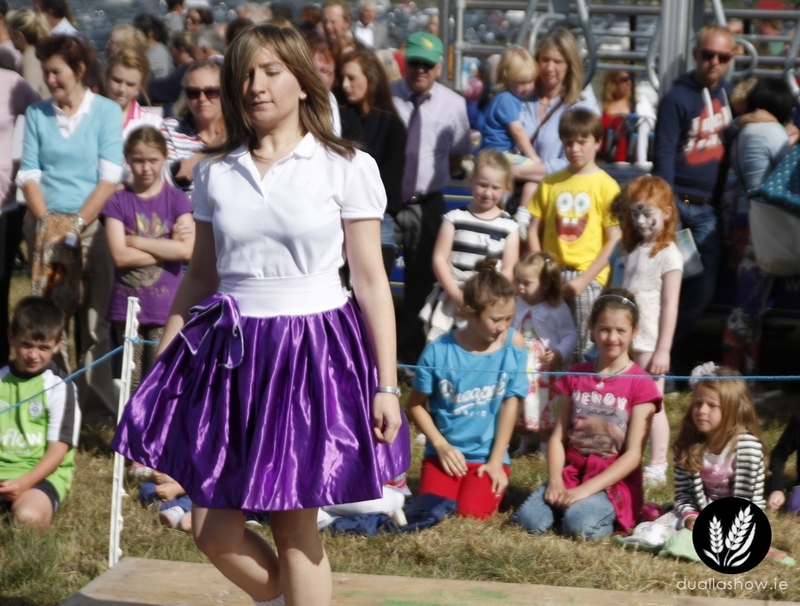 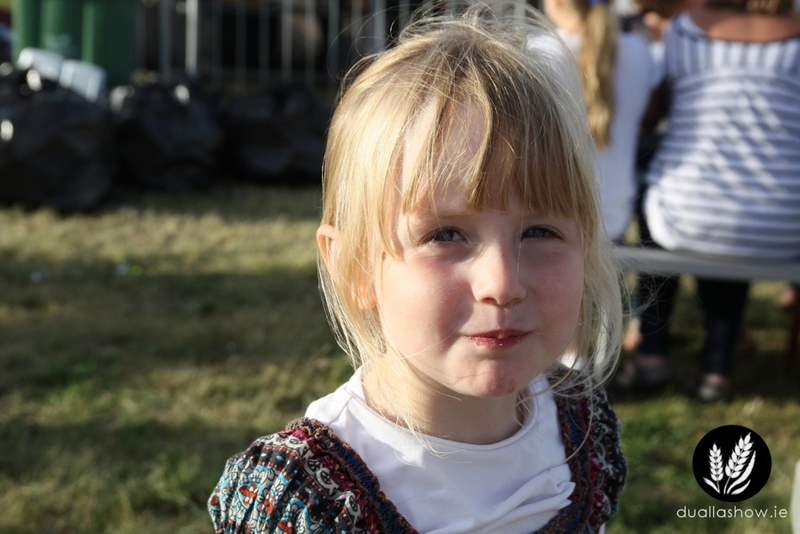 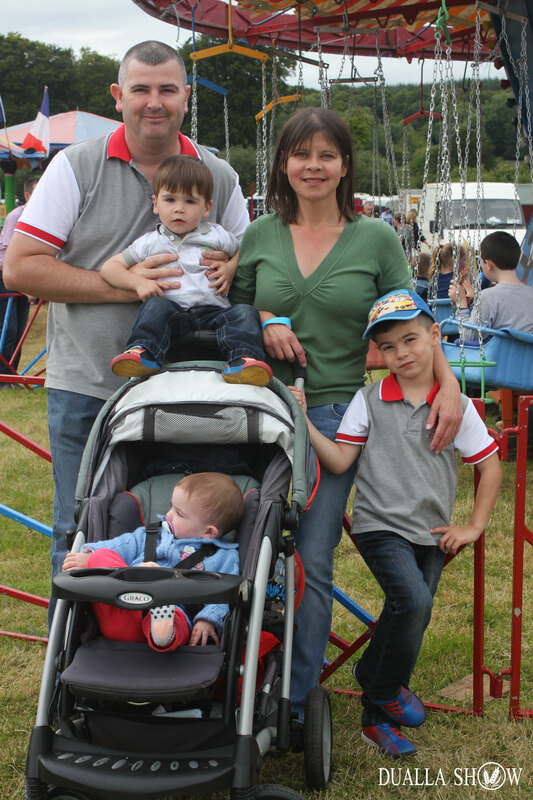 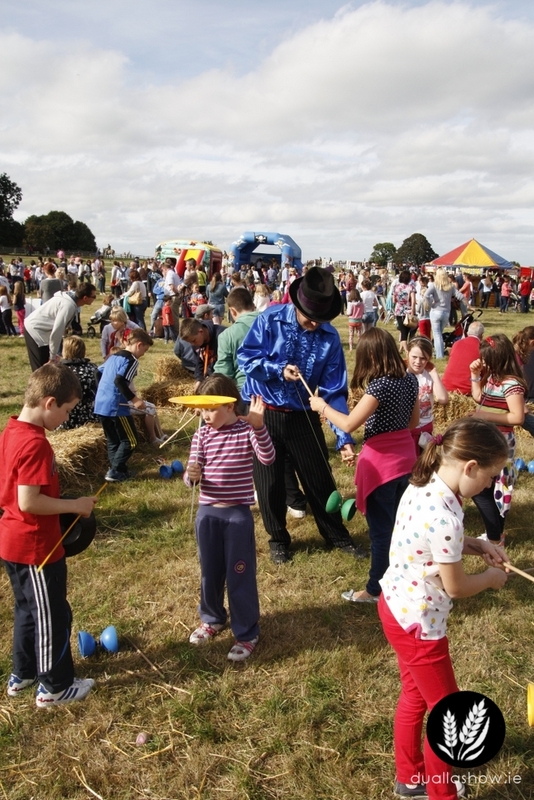 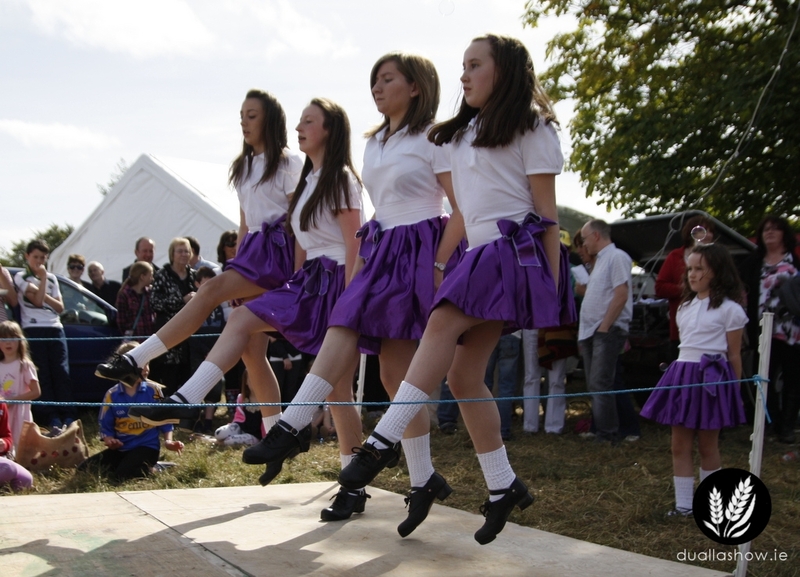 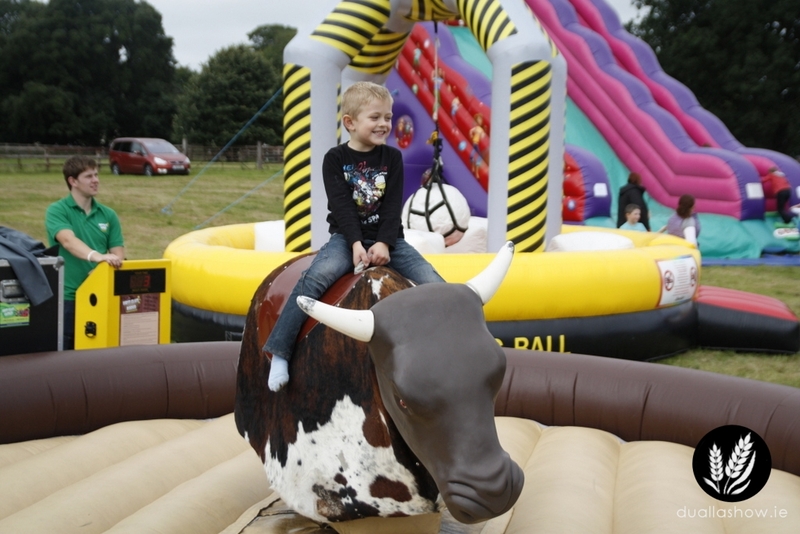 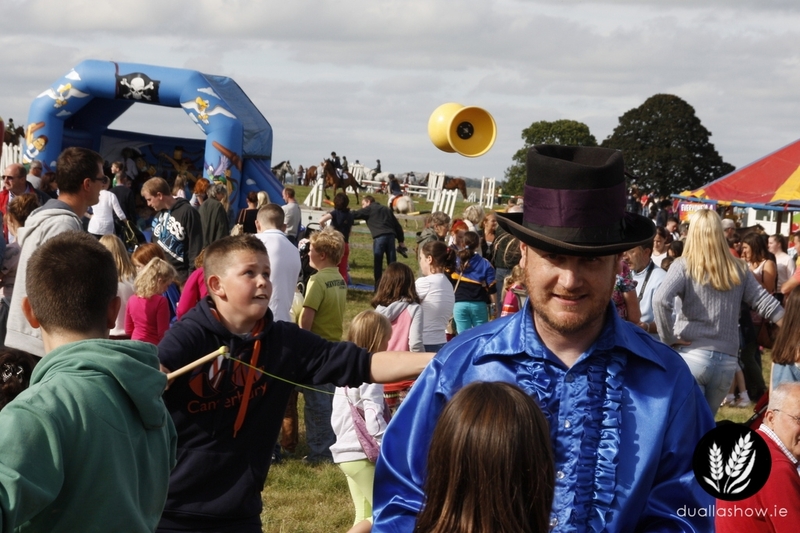 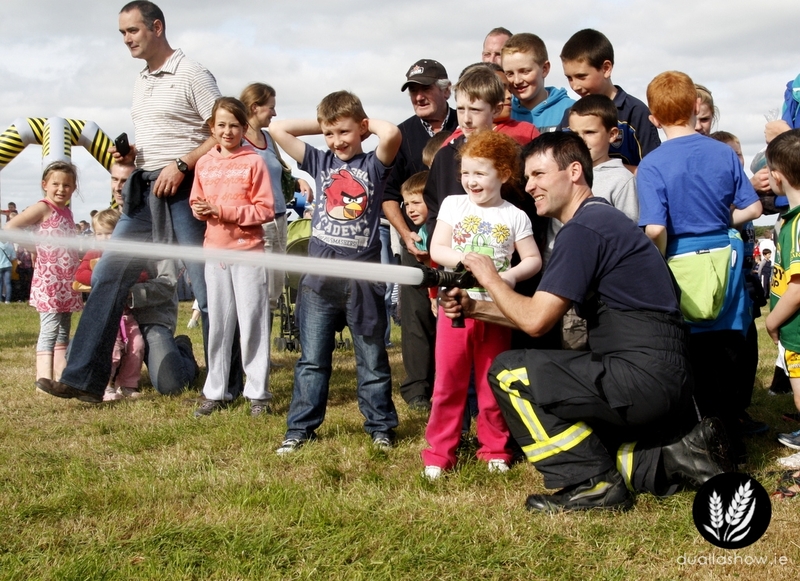 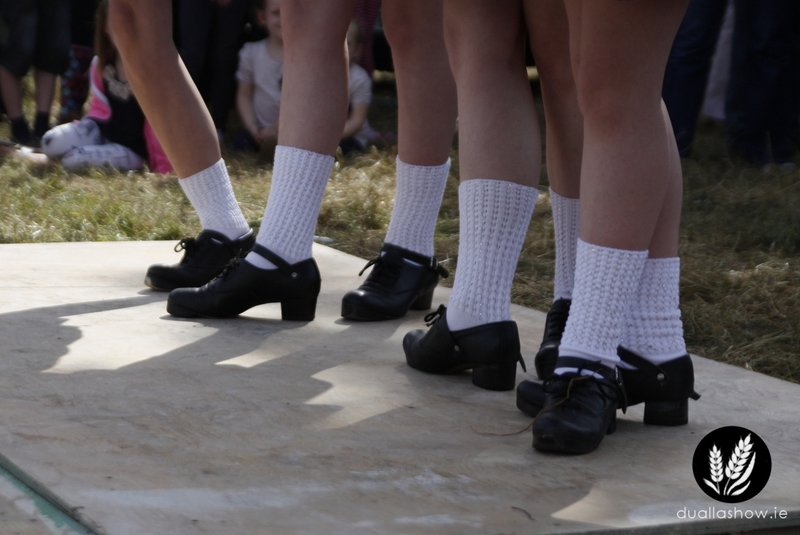 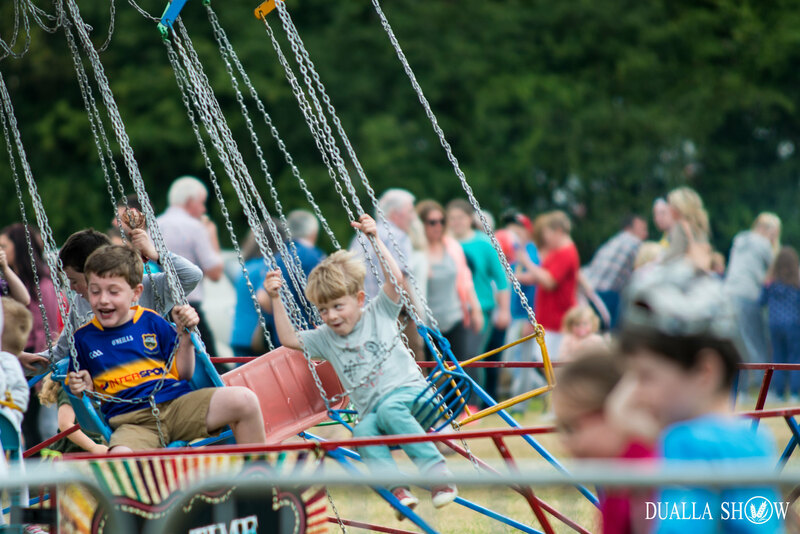 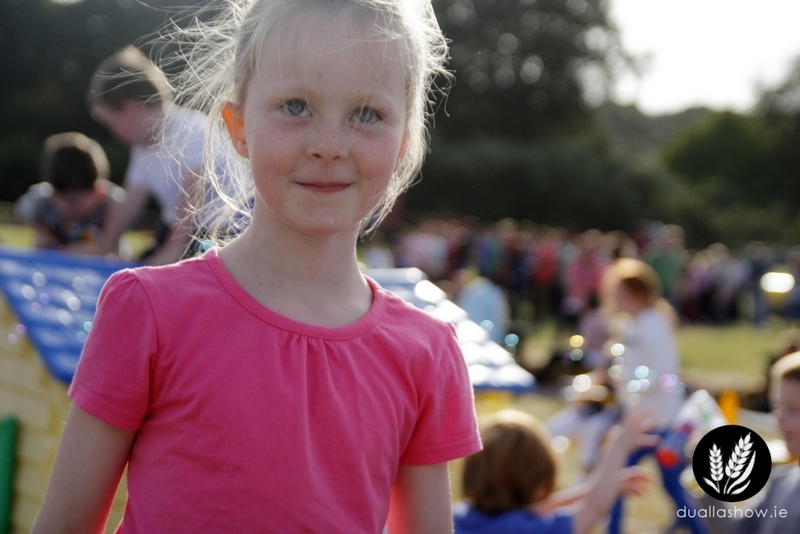 Every year Dualla Show aim to make the day as affordable as possible for young families. 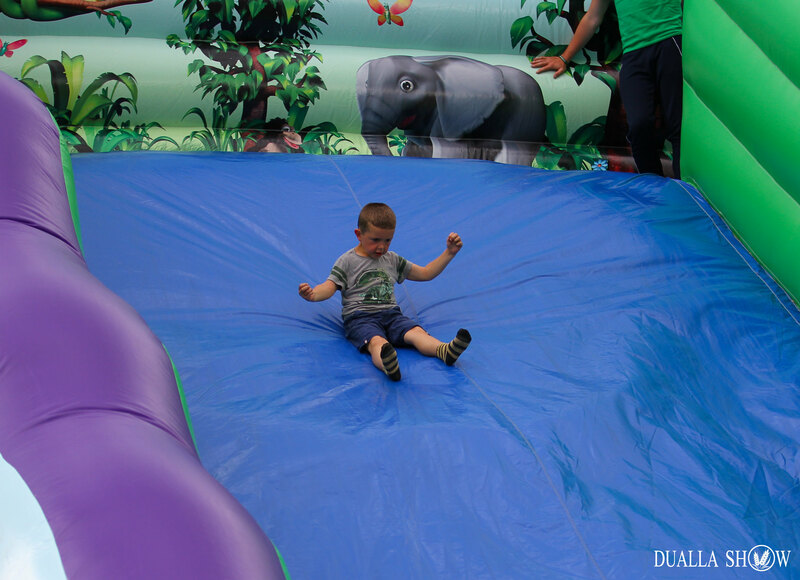 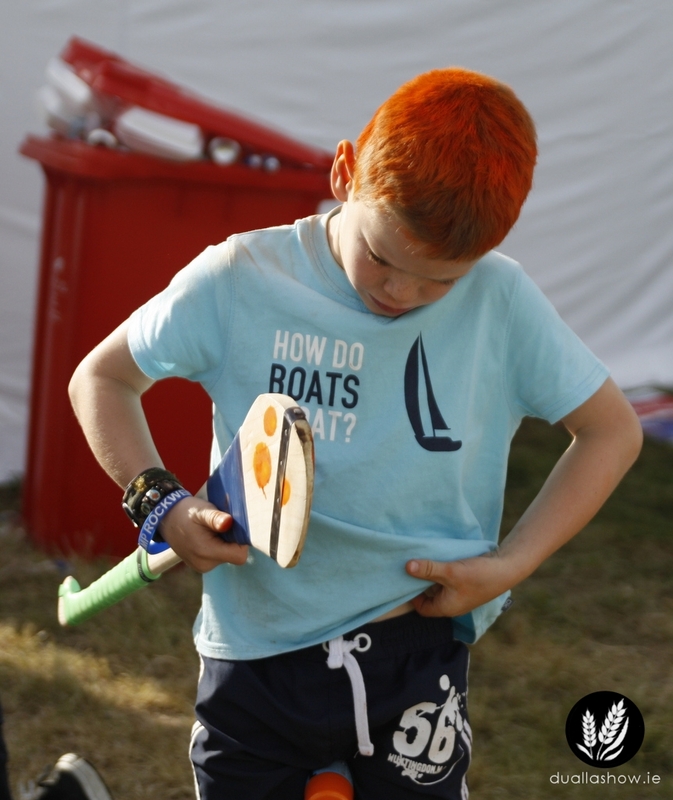 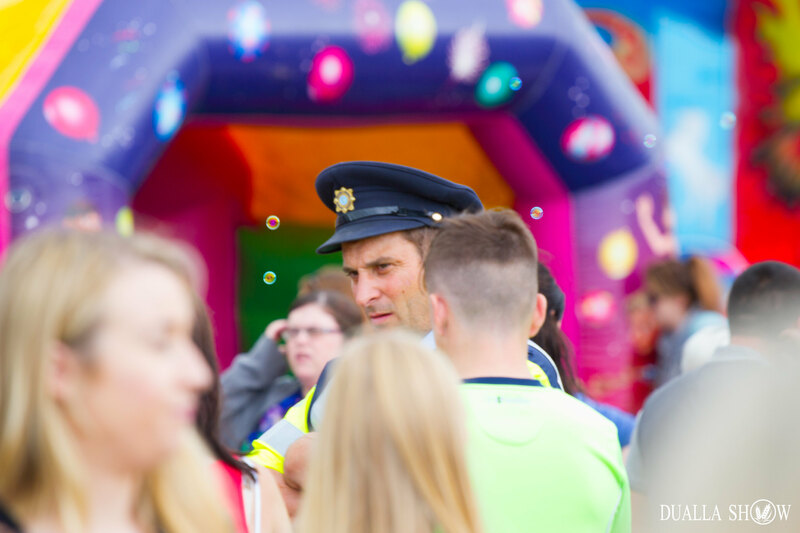 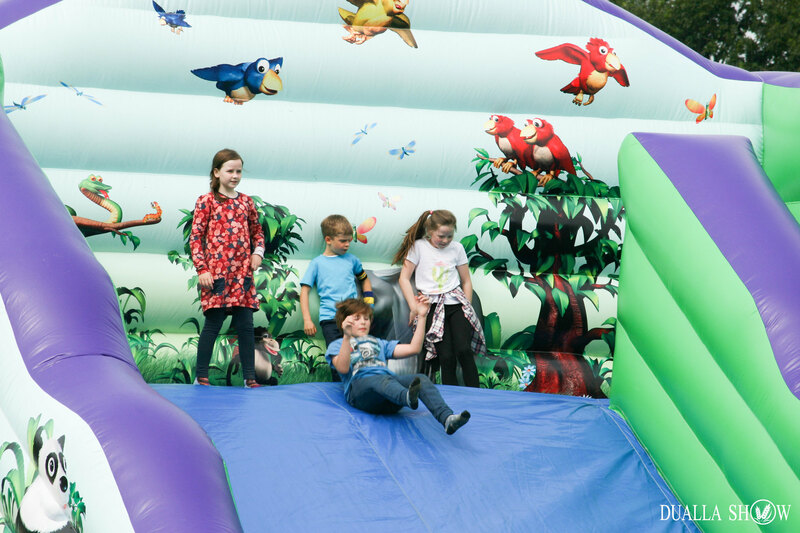 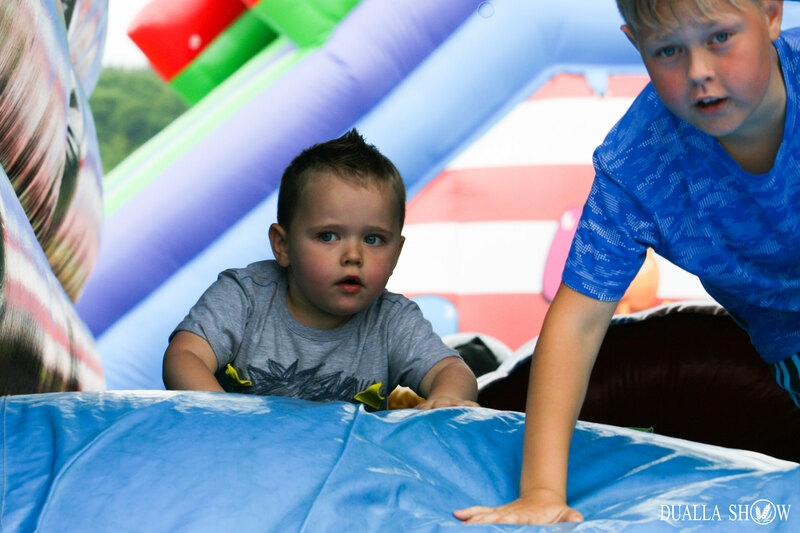 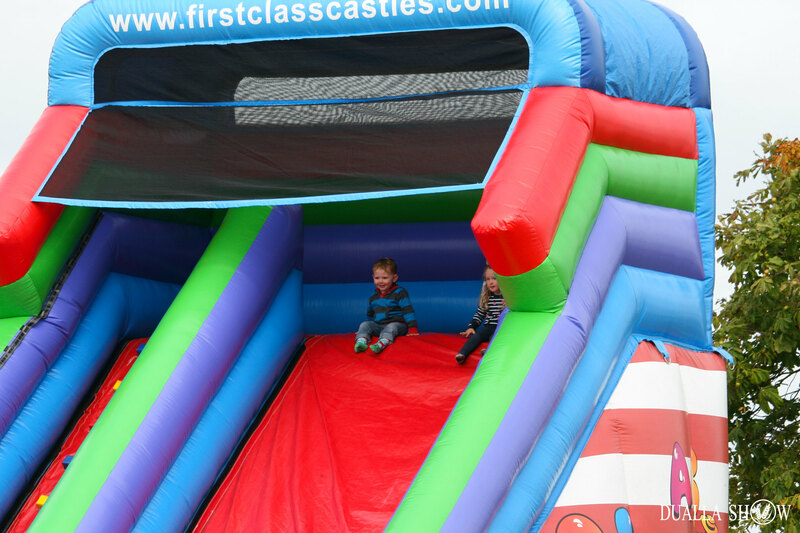 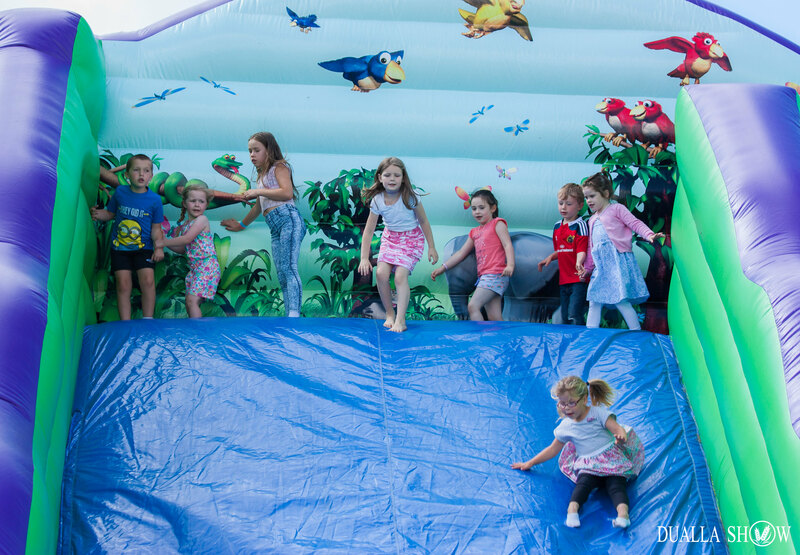 A big part of this is our unique “KidsZone” area which consists of a secure and supervised play area with NINE completely FREE inflatable castles, slides and obstacle courses. 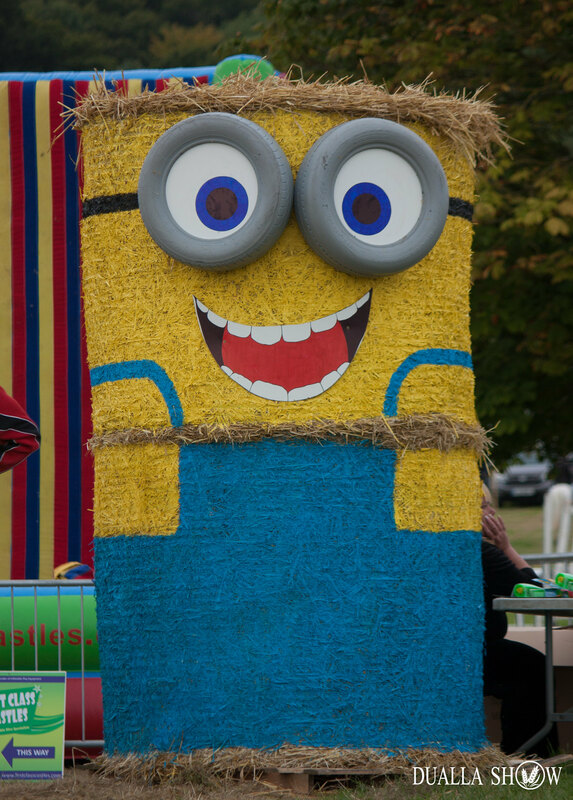 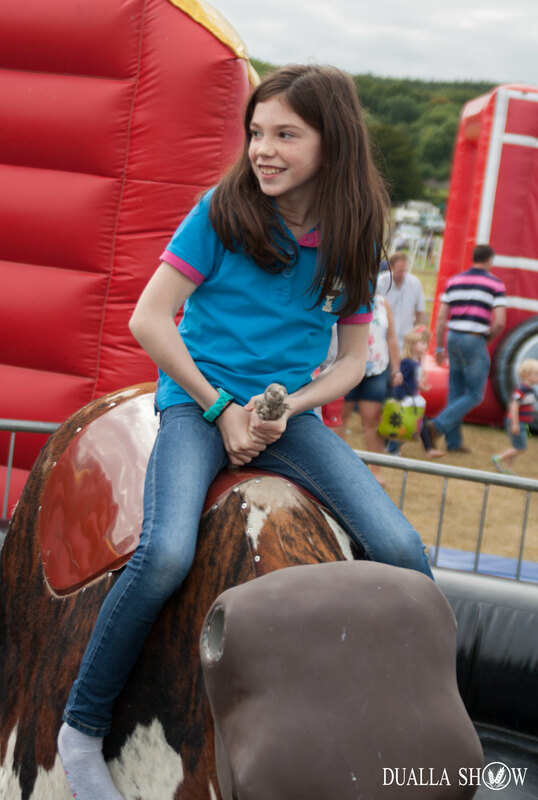 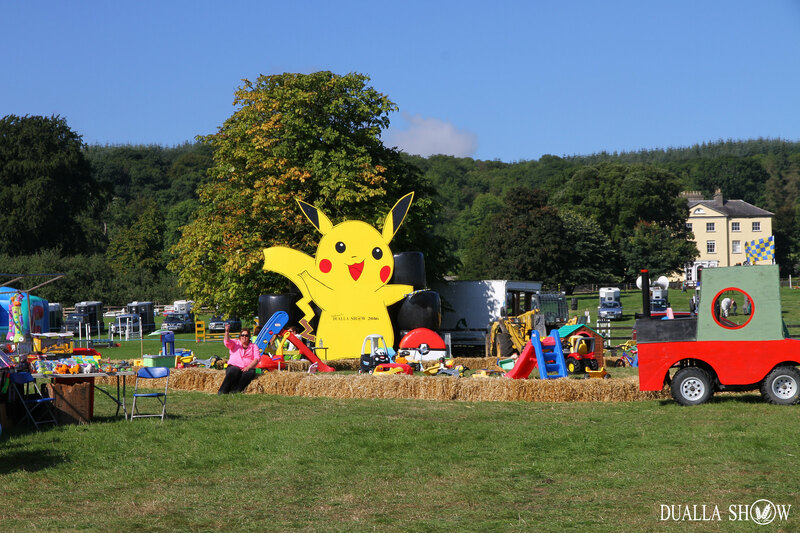 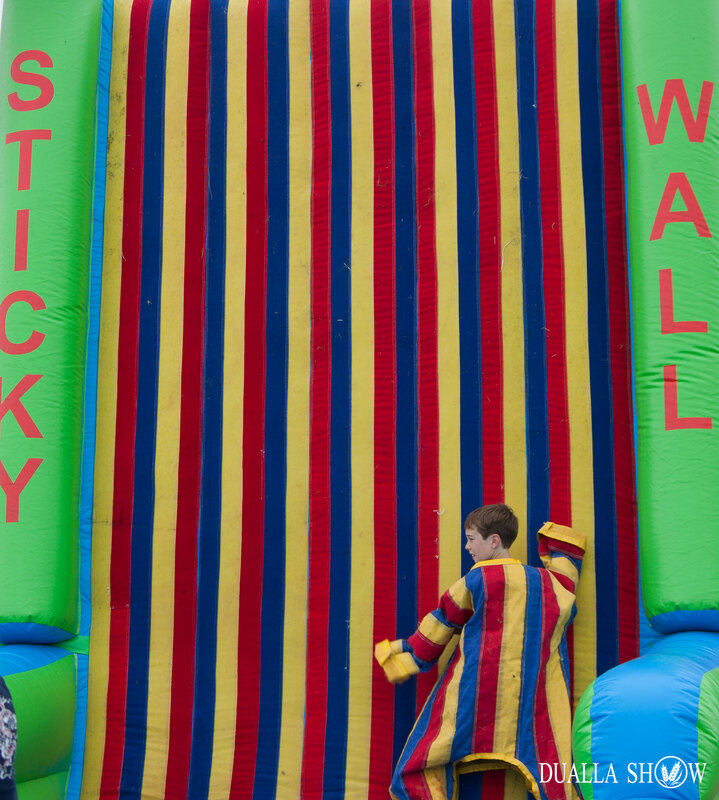 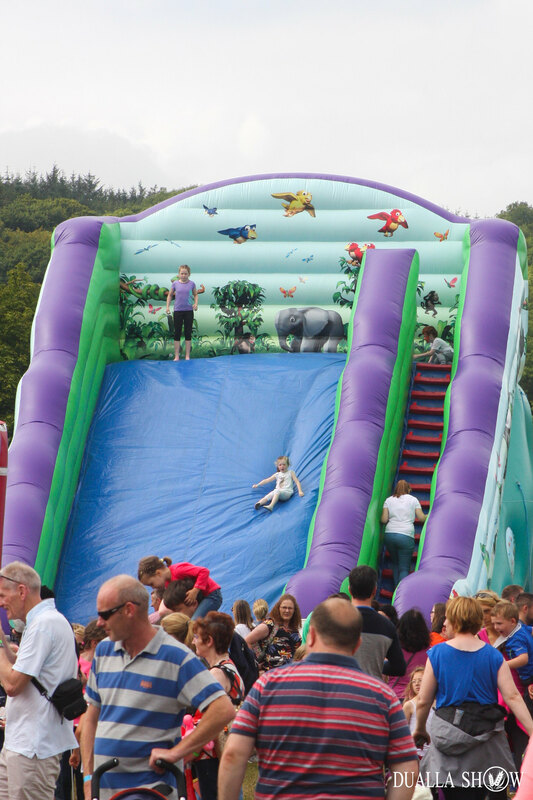 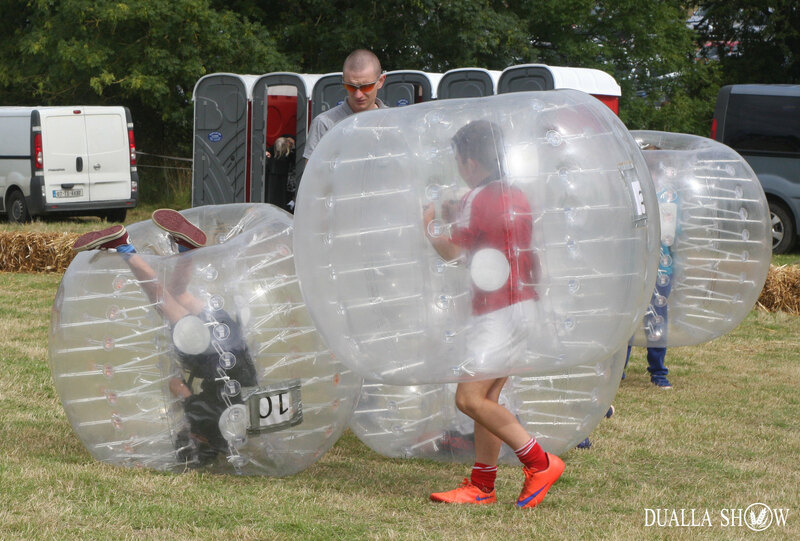 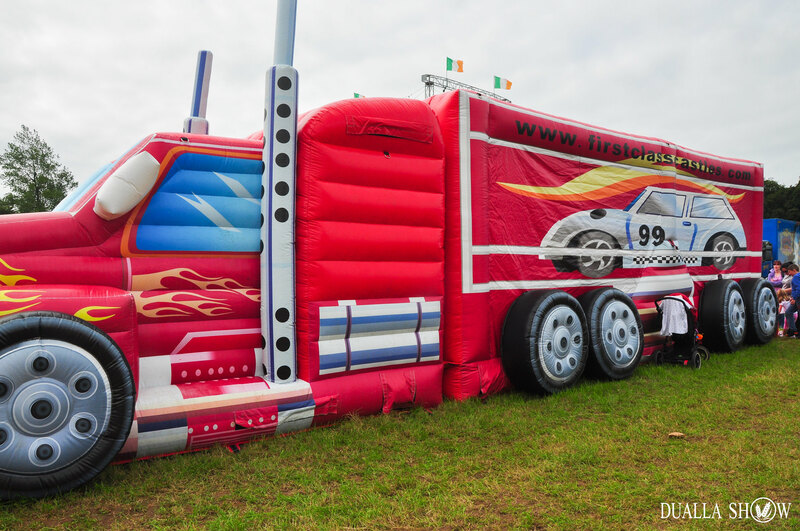 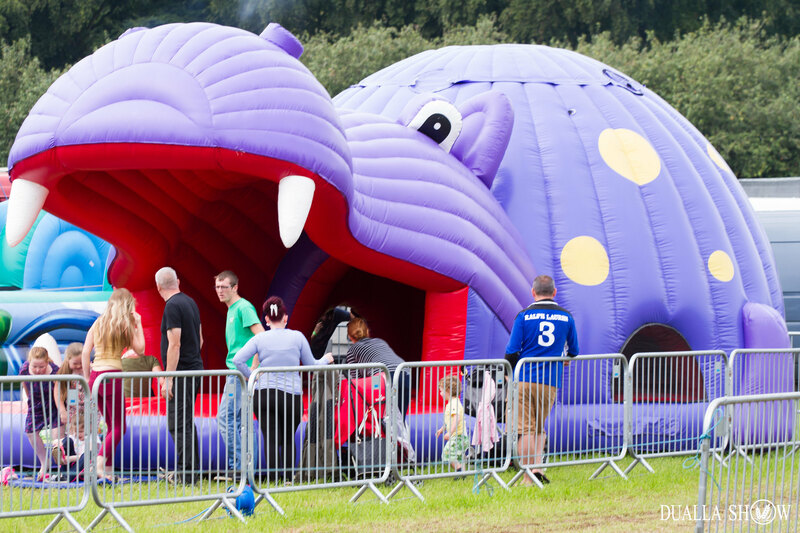 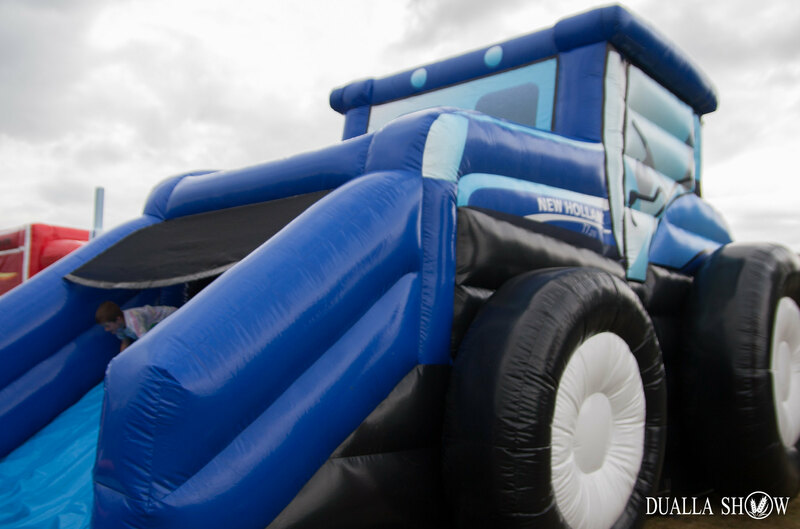 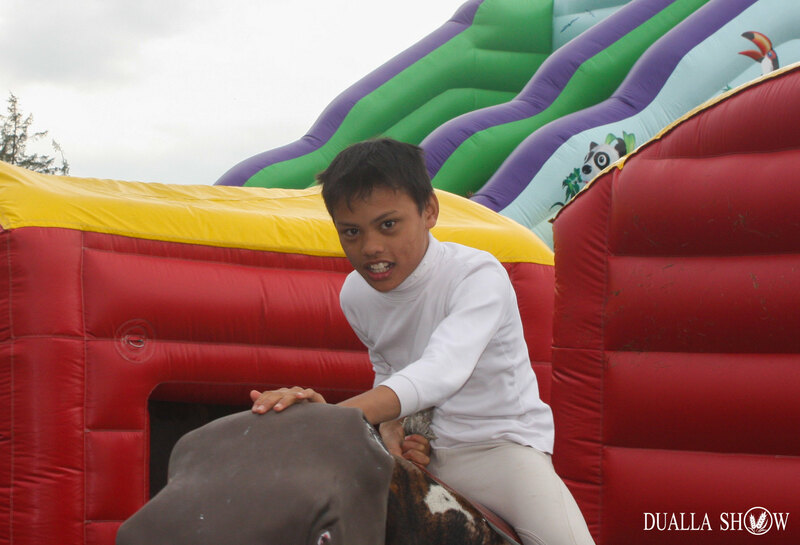 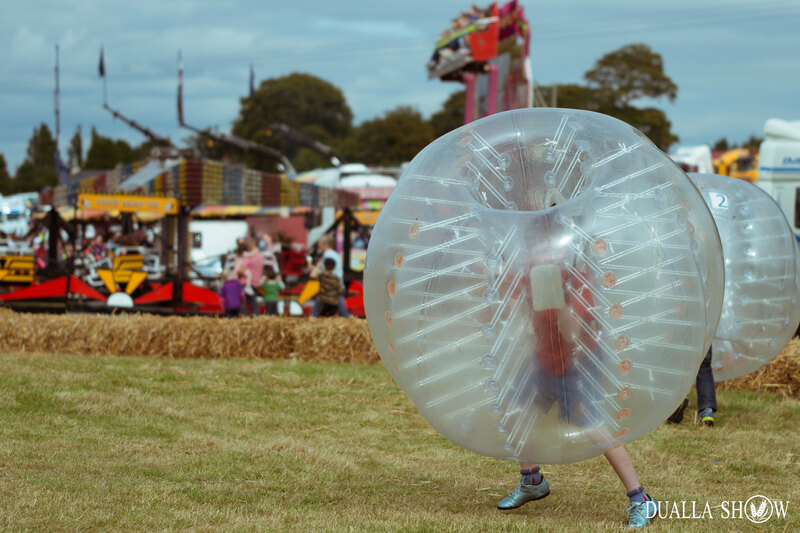 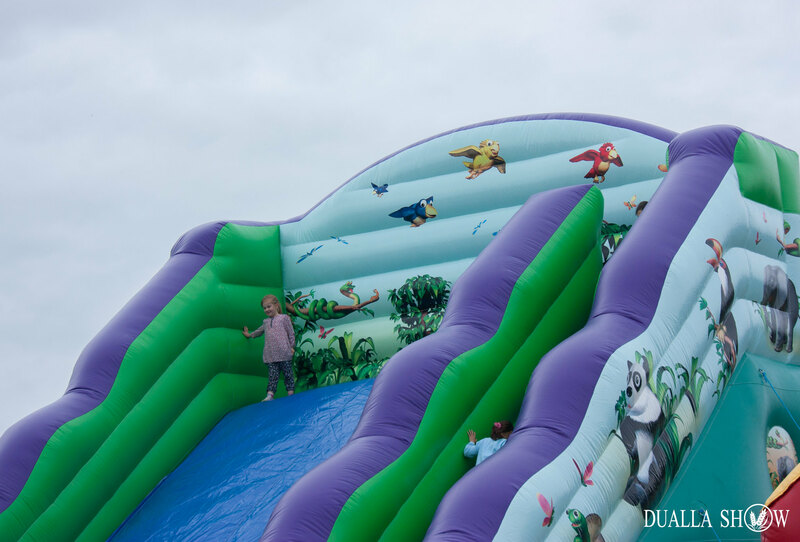 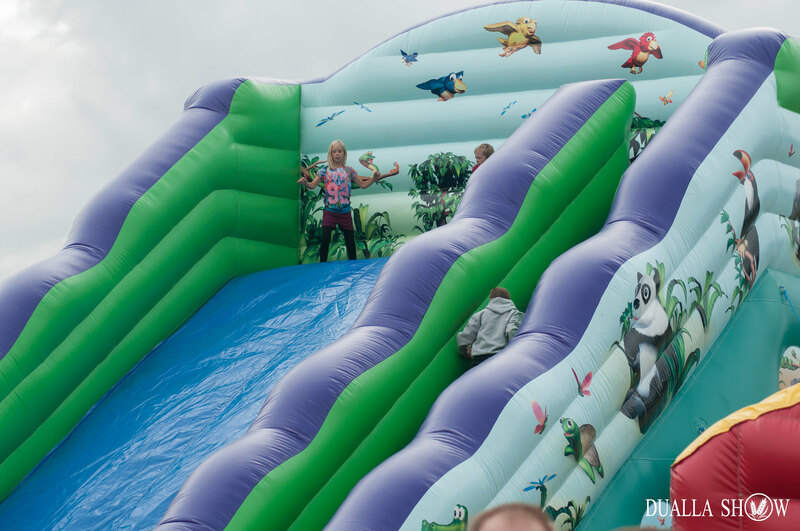 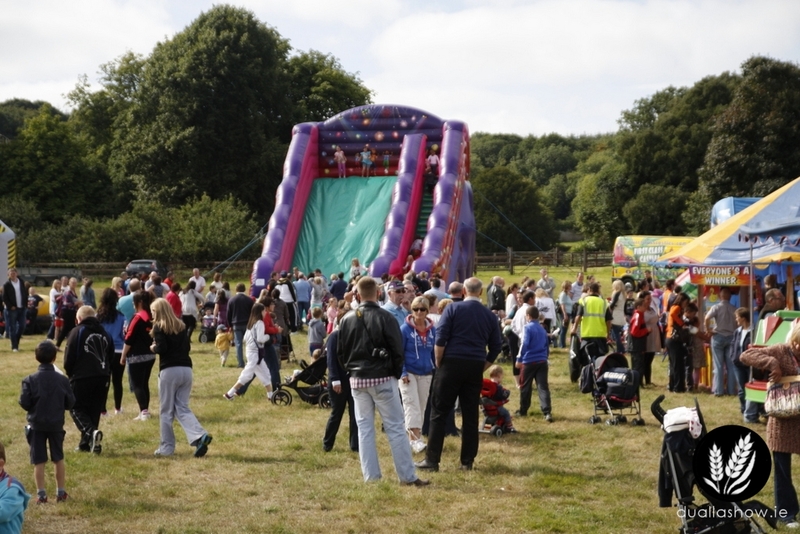 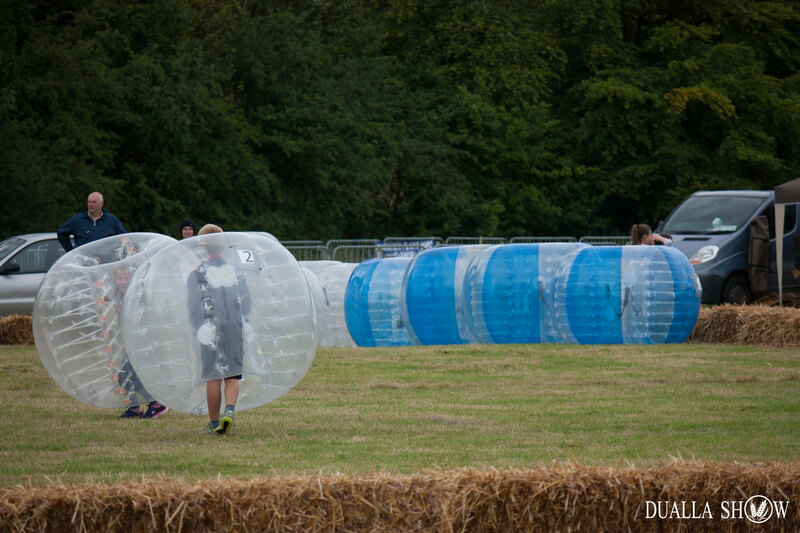 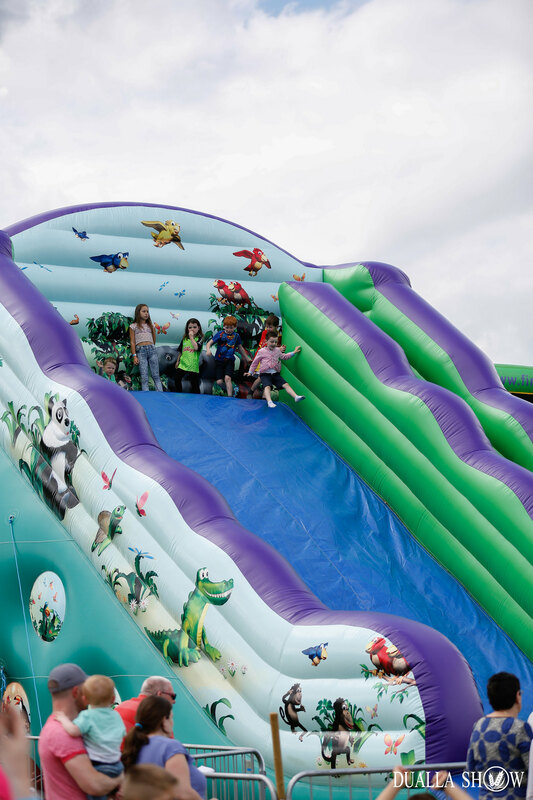 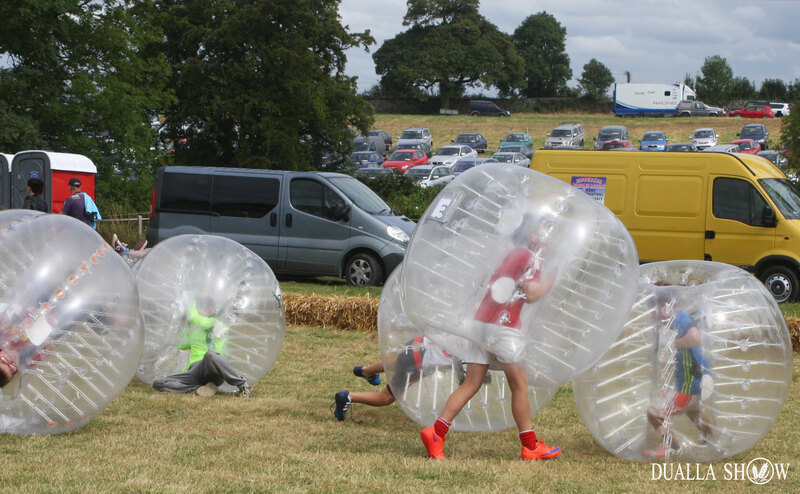 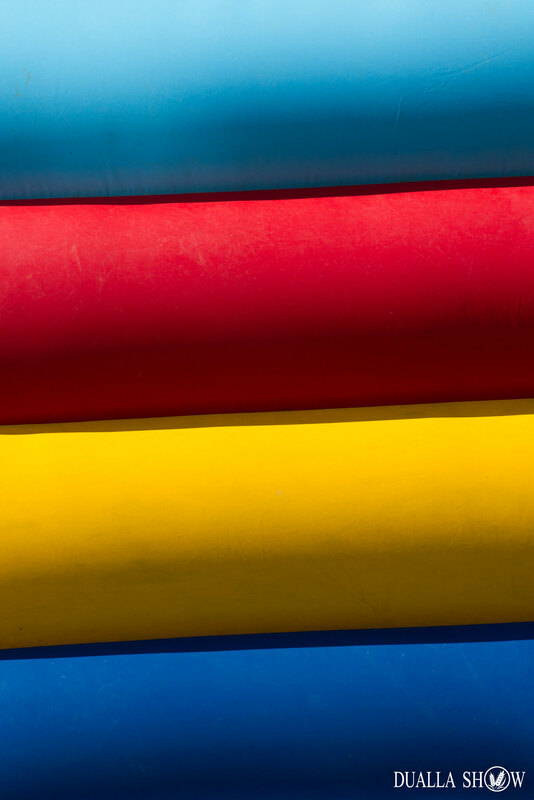 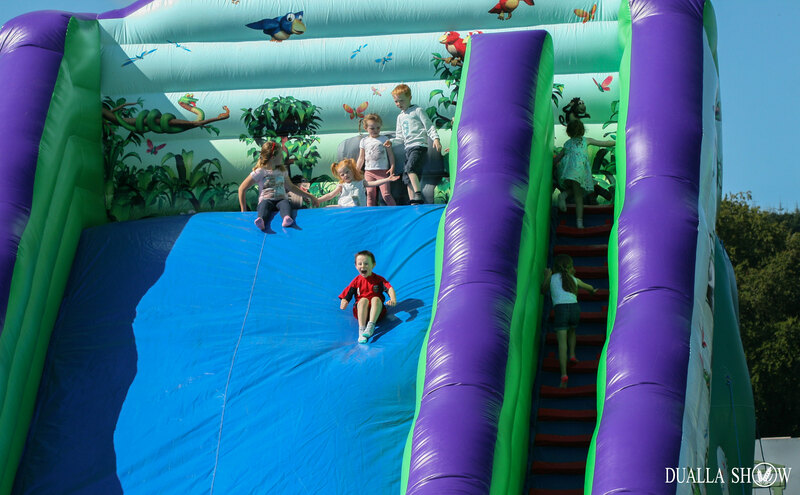 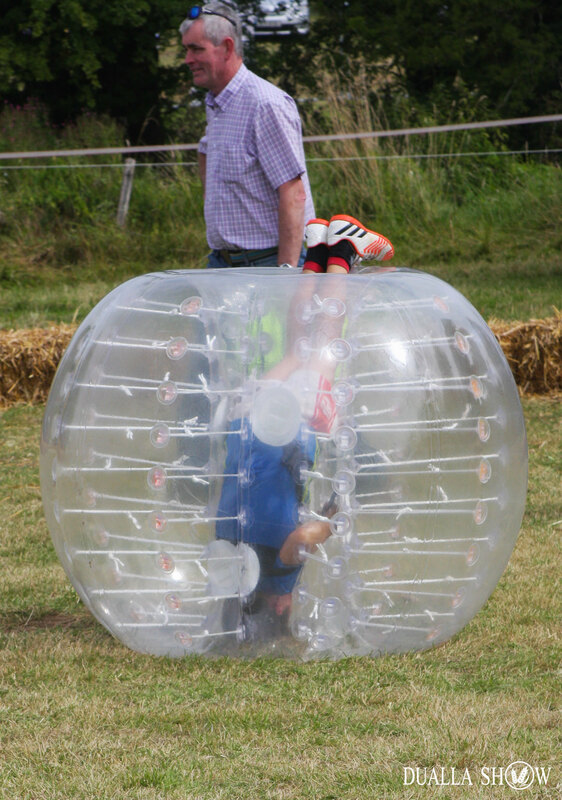 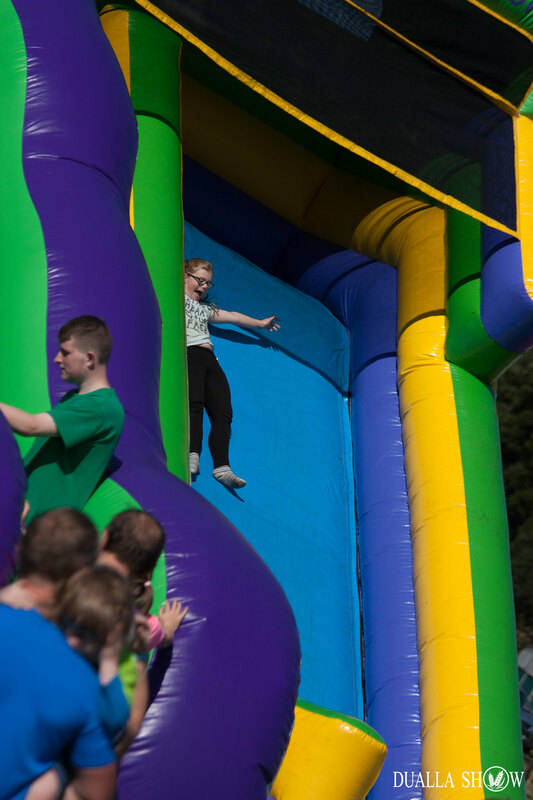 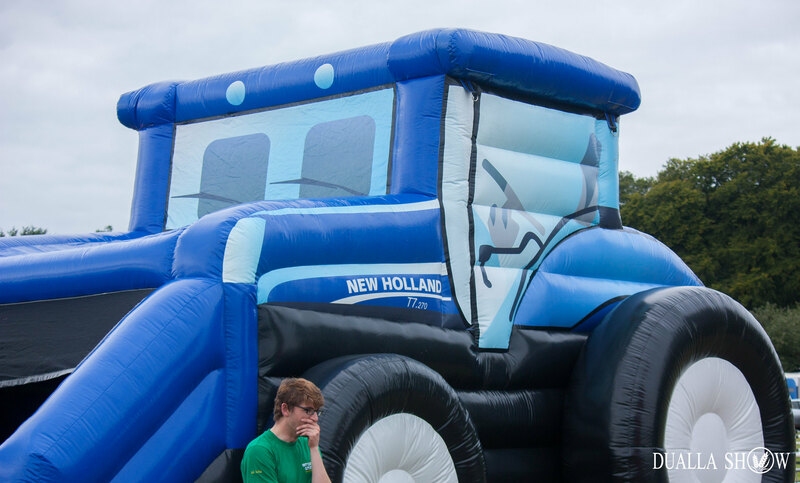 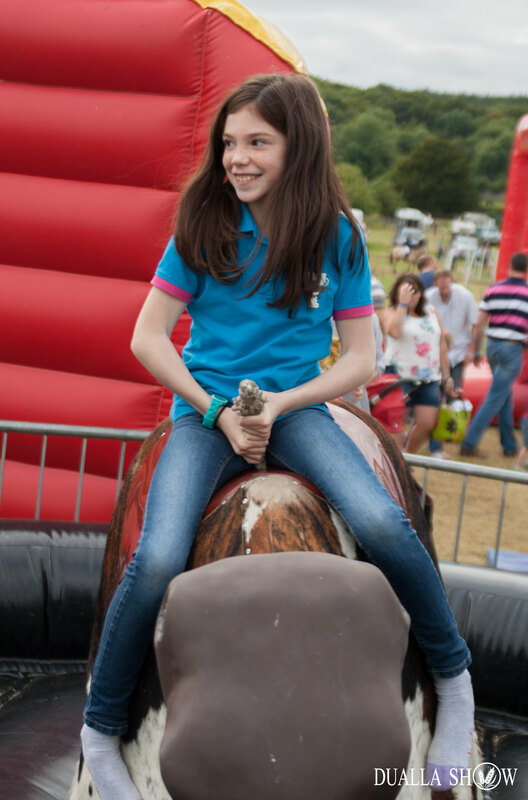 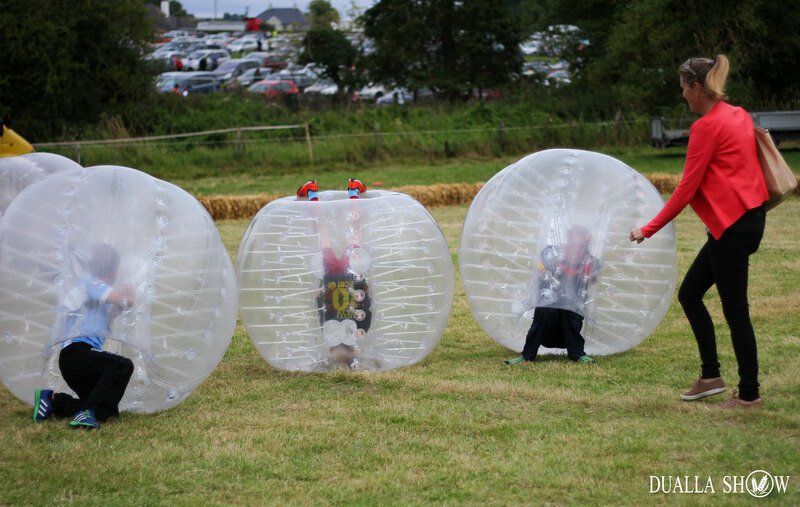 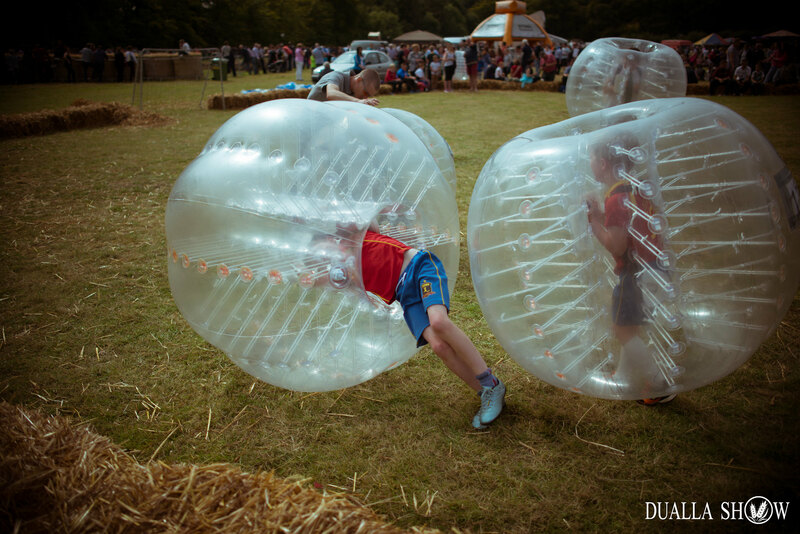 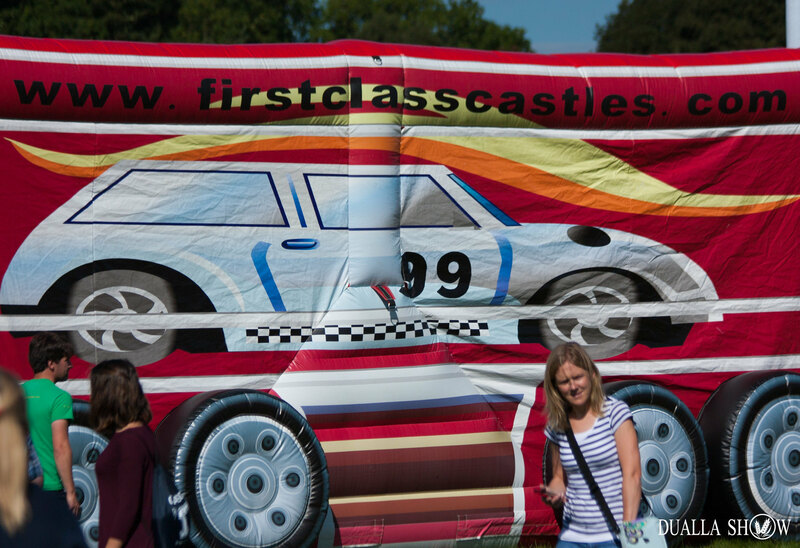 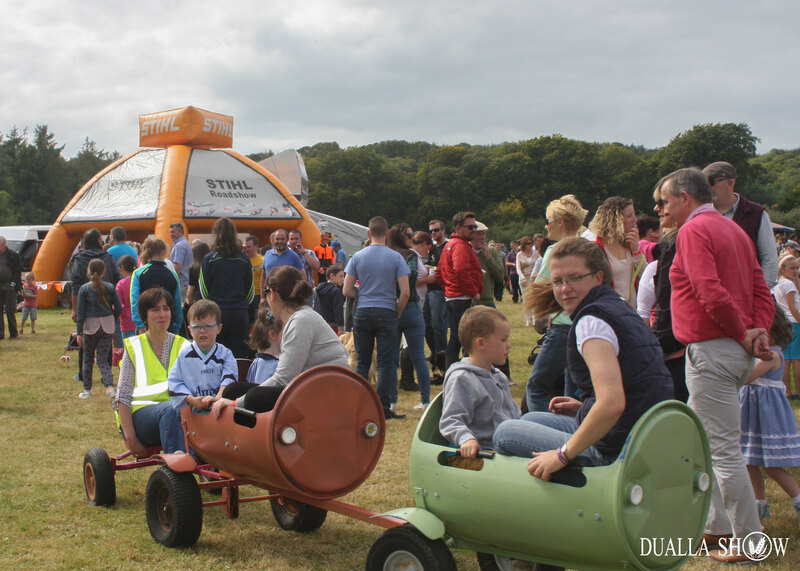 New this year is the fantastic 100 Foot Eliminator and the 40ft Inflatable Donkey Derby. 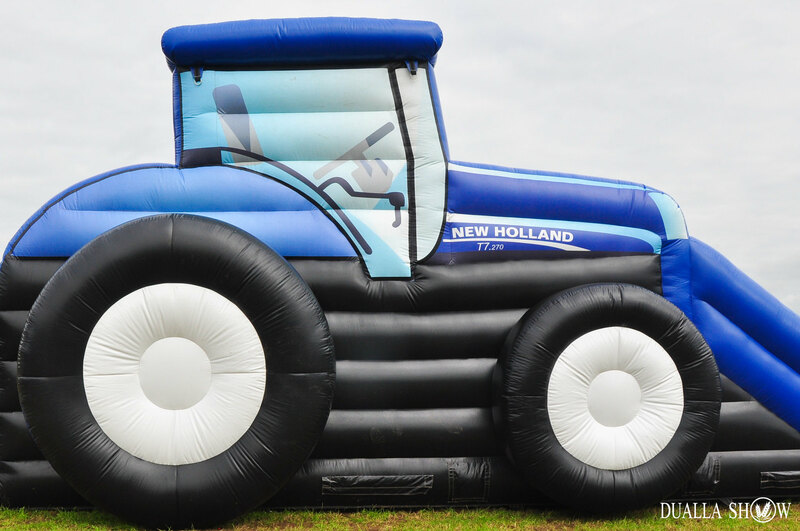 Plus there’s the New Holland Tractor Inflatable, the Hip Hip Hippo Dome, Milk-a-Cow Inflatable, Henry the Rodeo Horse, two Megaslides and the Party Castle!!! 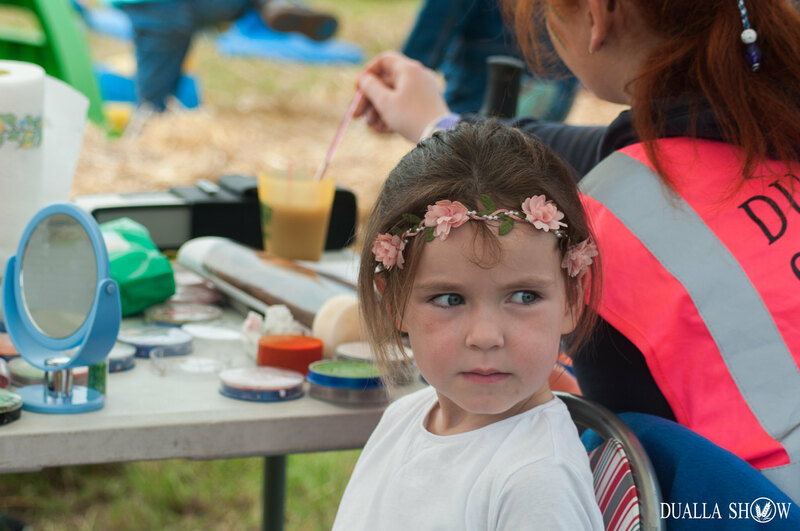 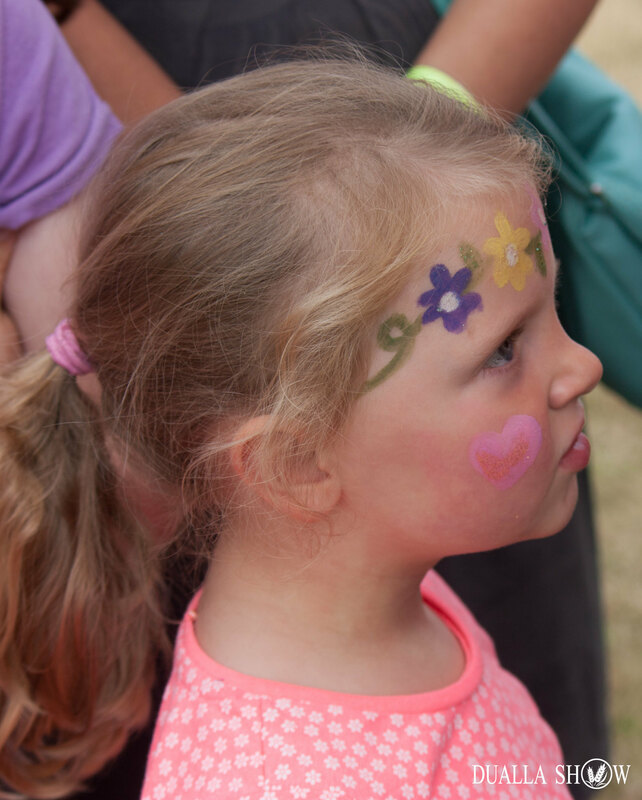 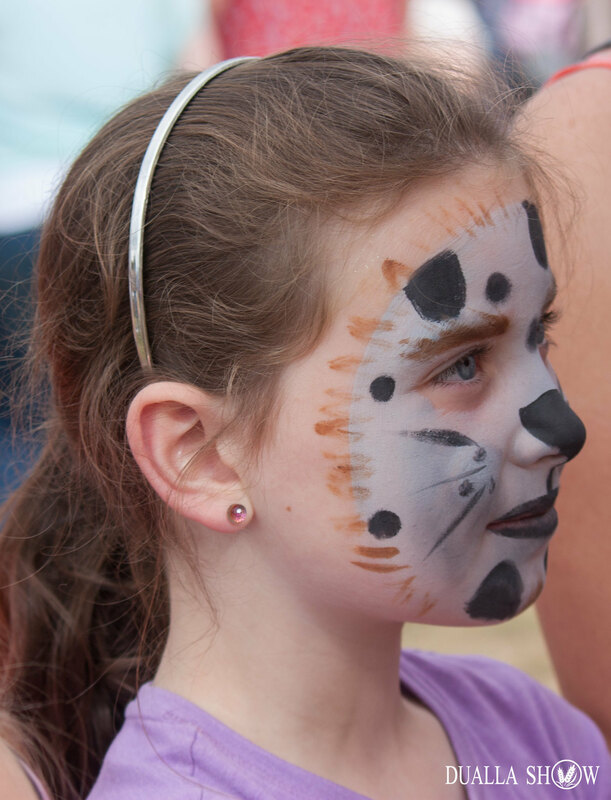 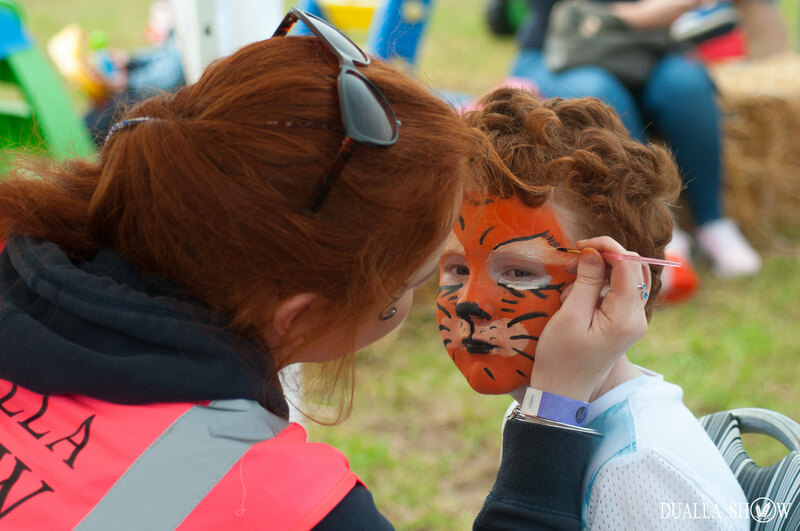 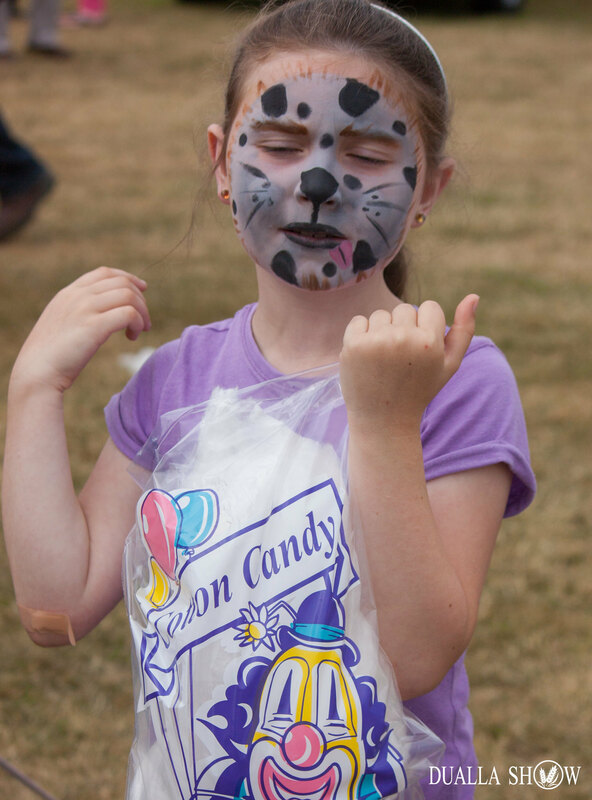 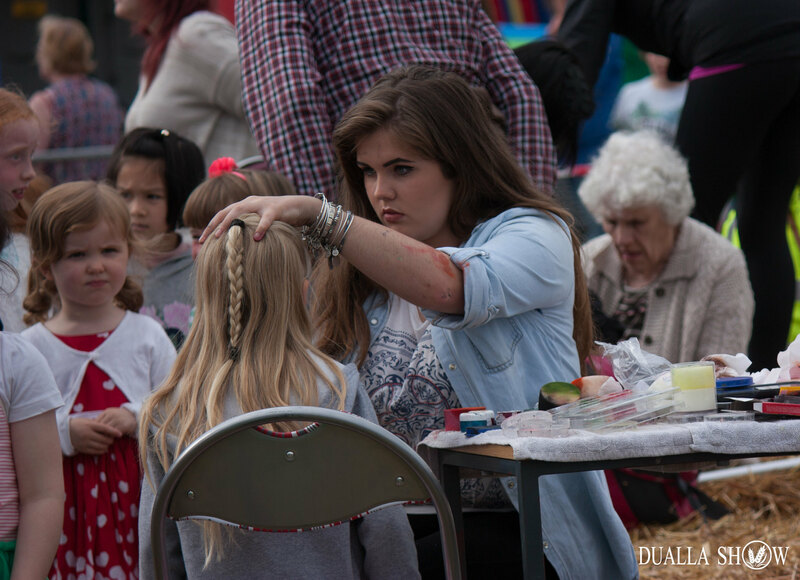 There’s also free face painting throughout the day and a play area with free toys for the very youngest of our visitors! 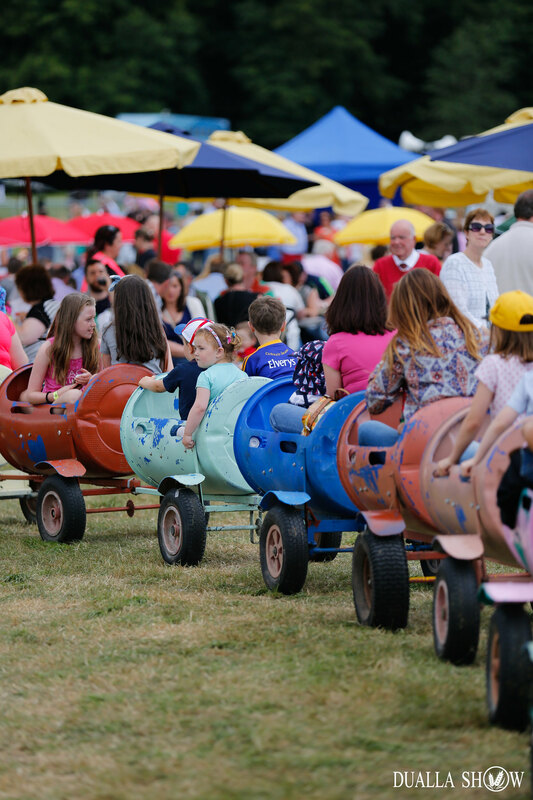 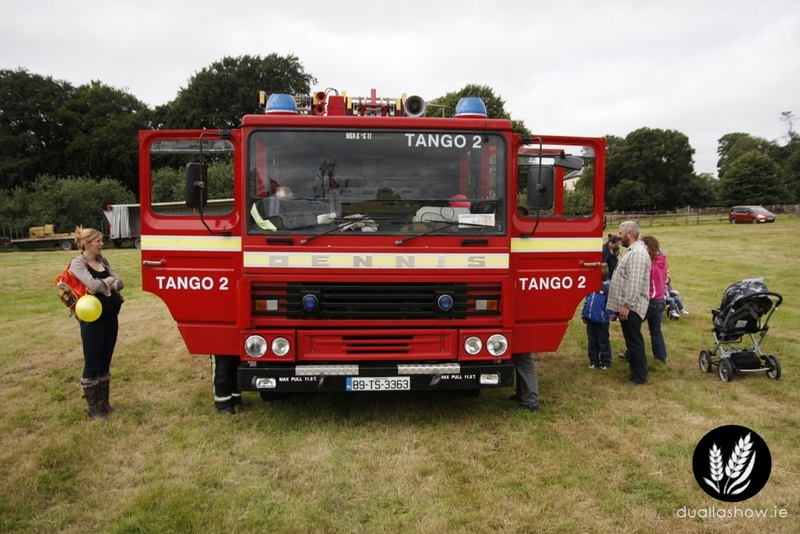 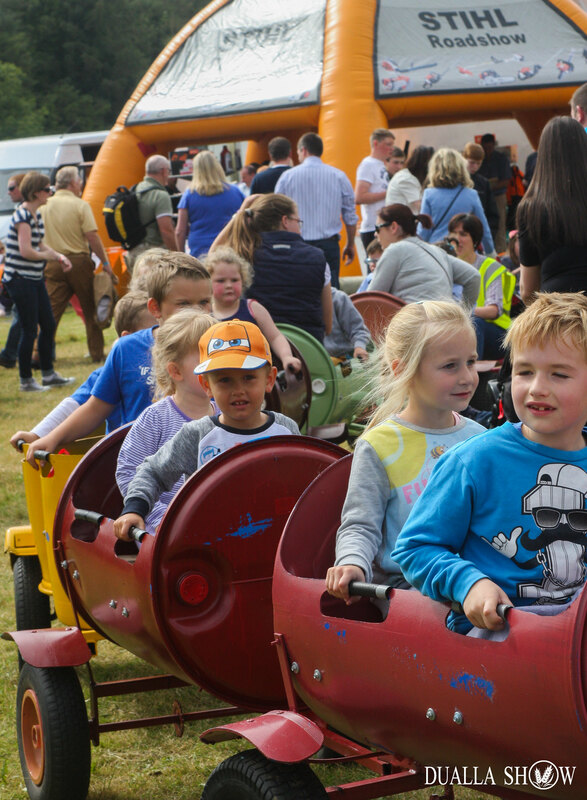 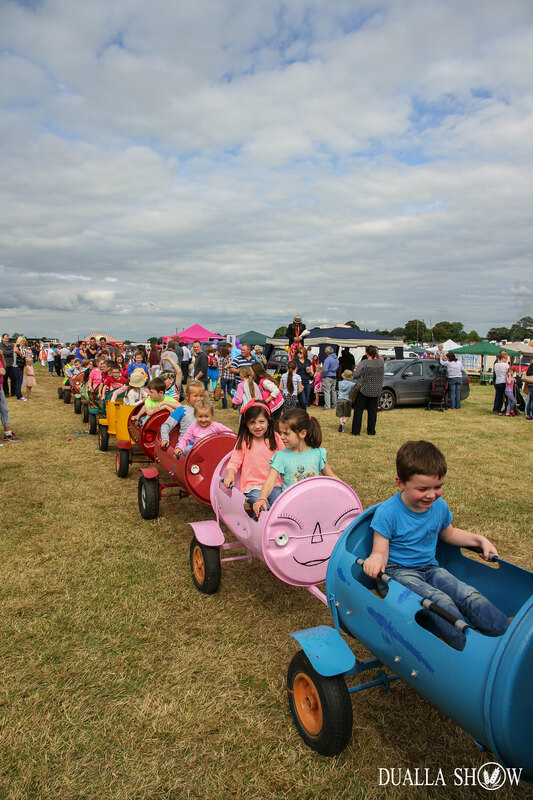 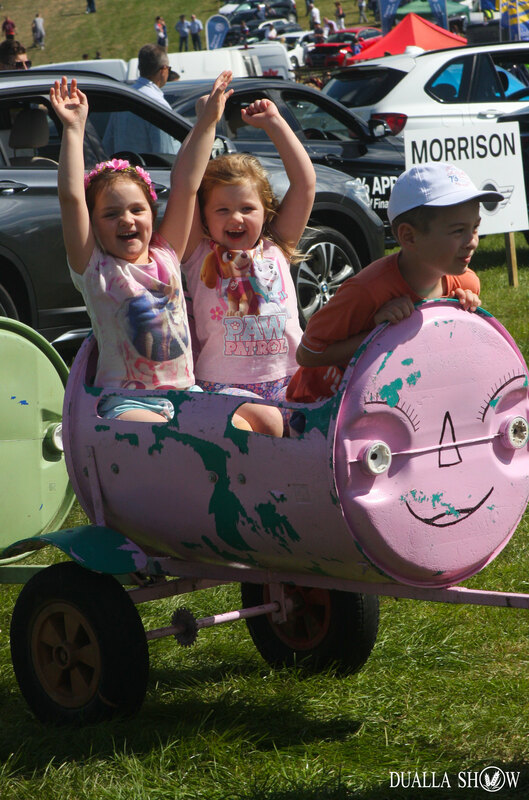 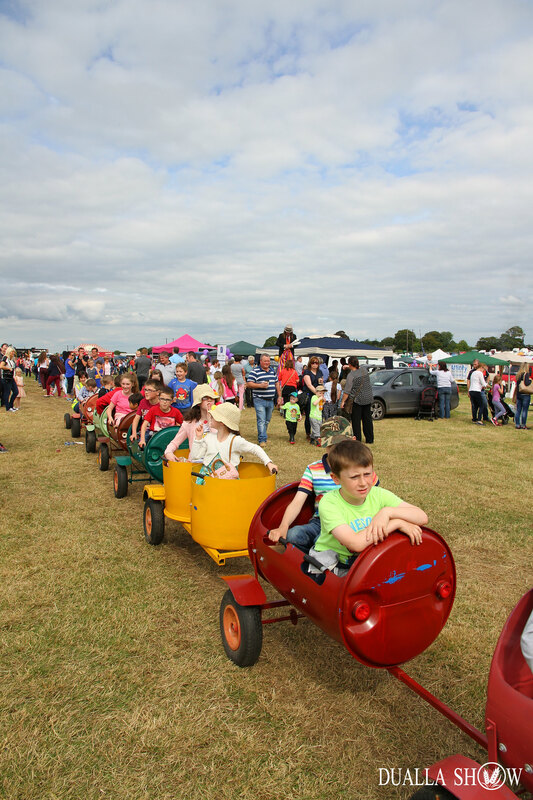 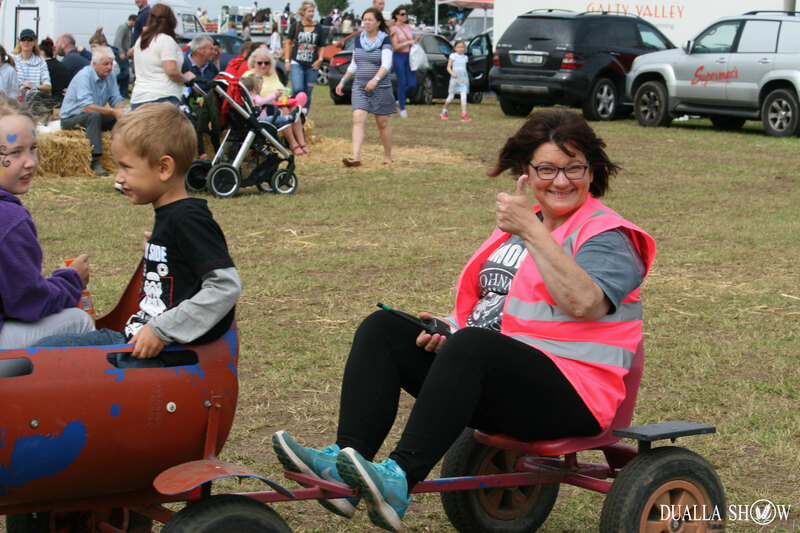 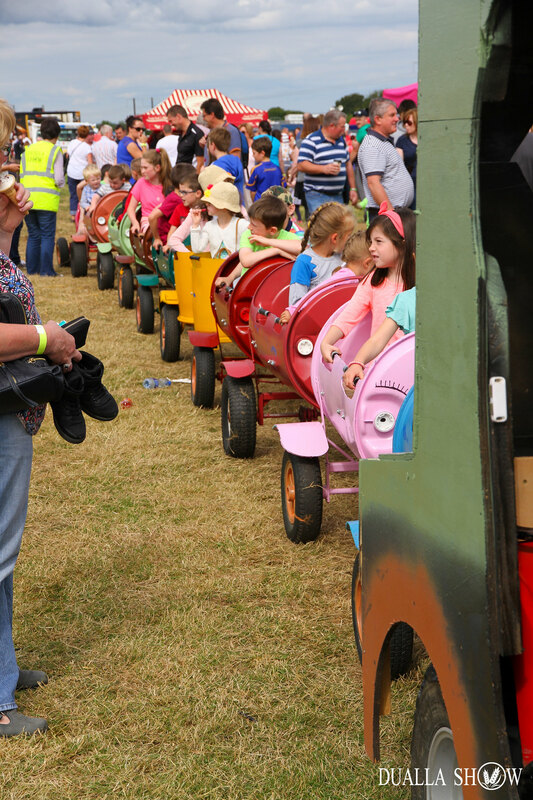 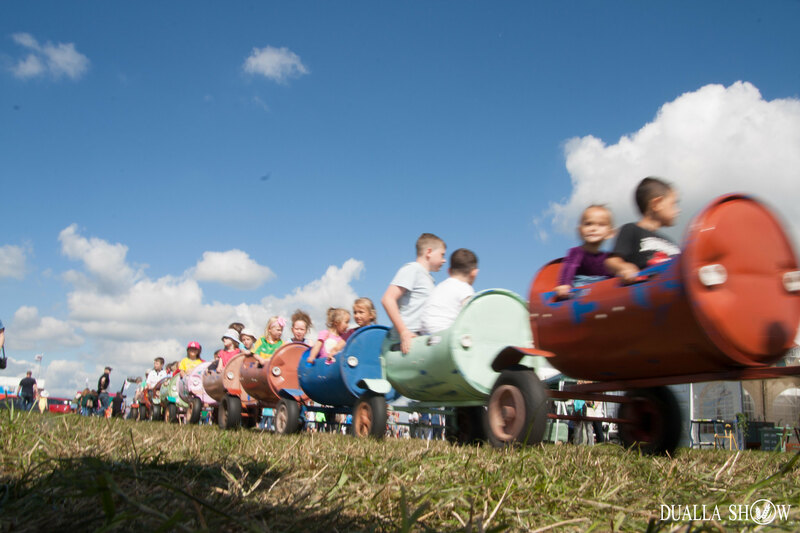 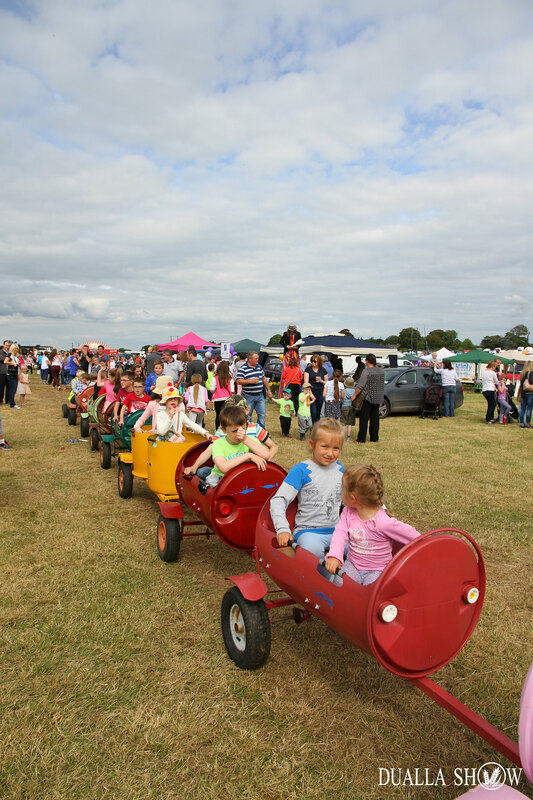 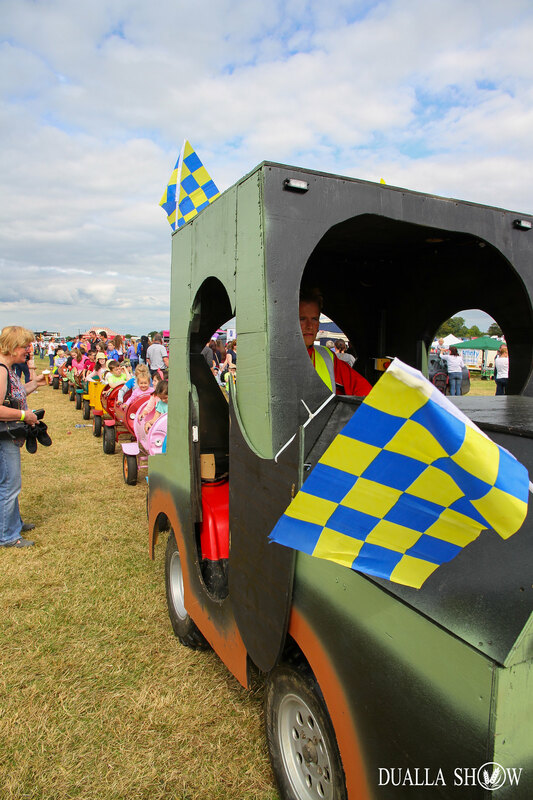 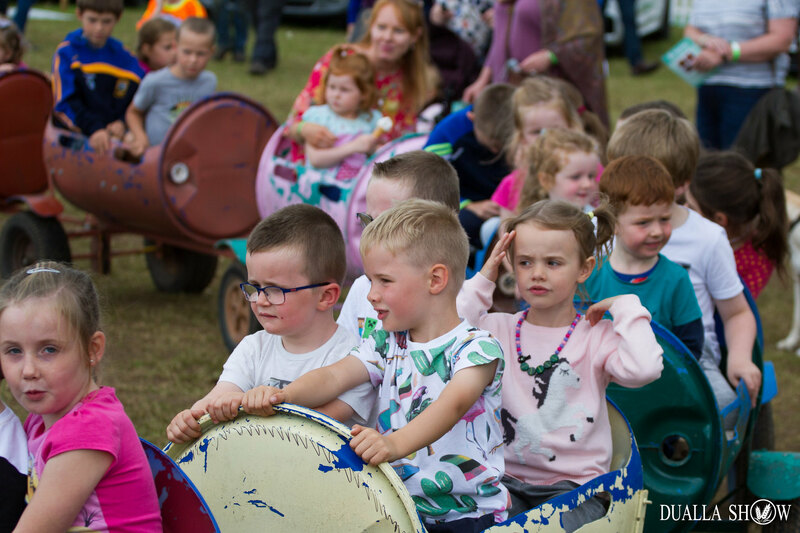 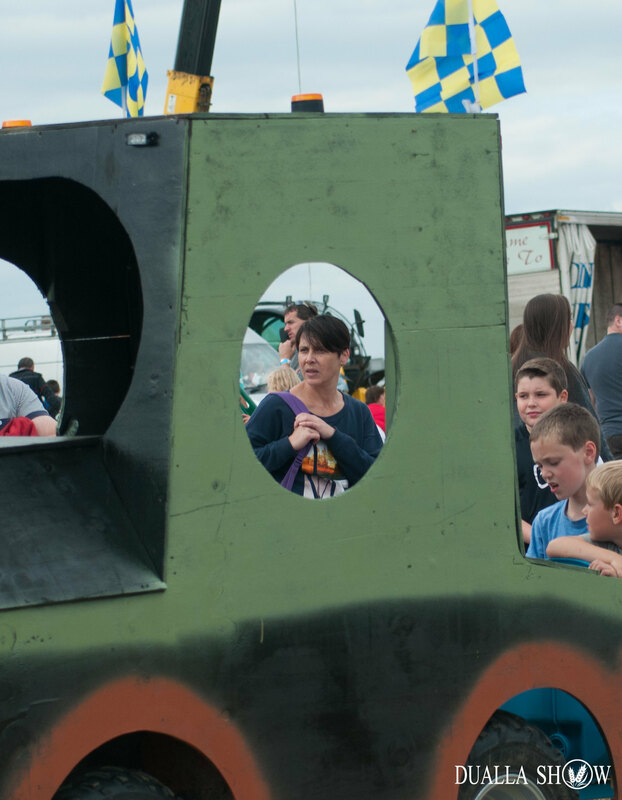 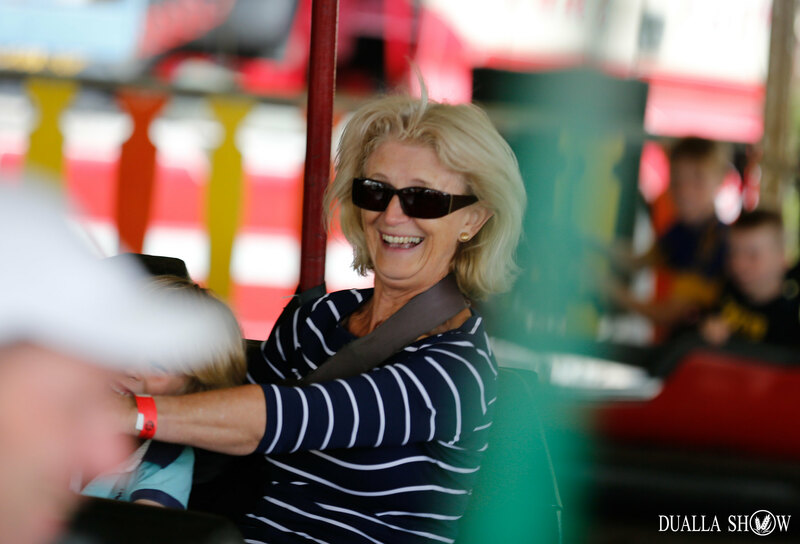 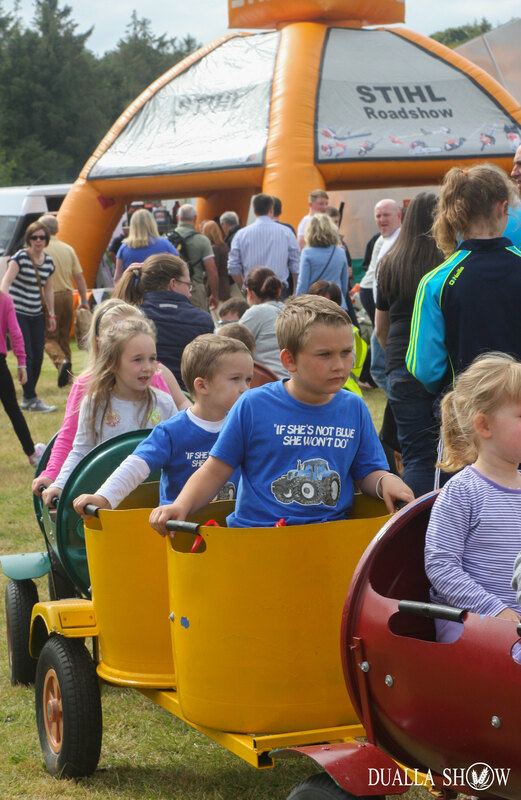 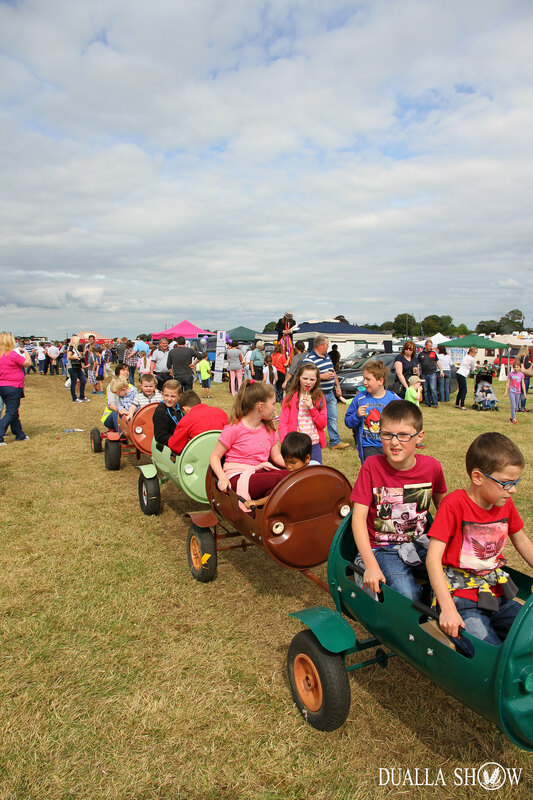 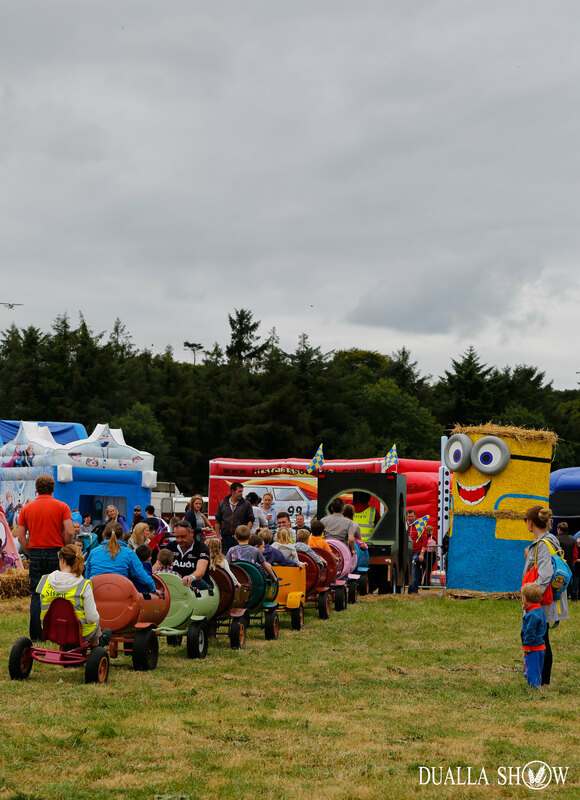 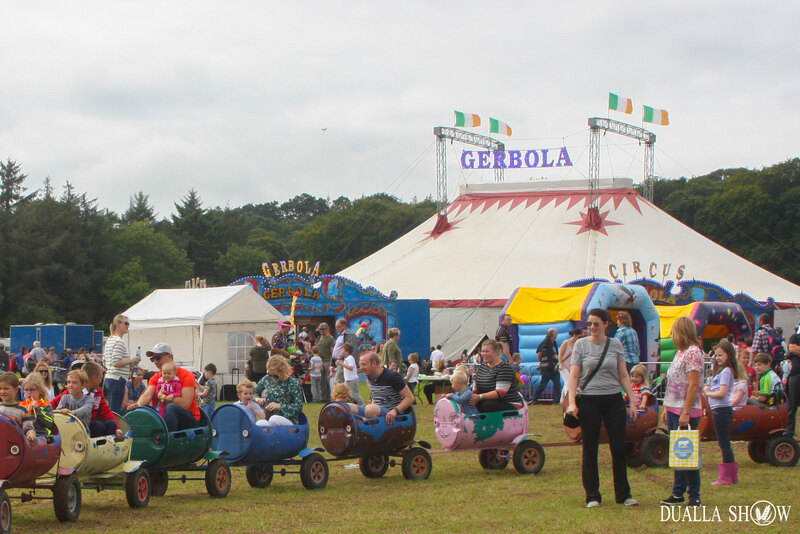 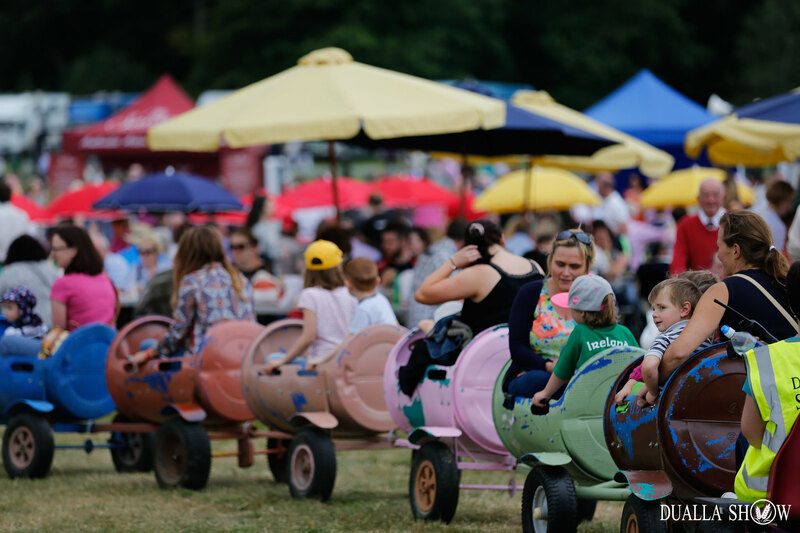 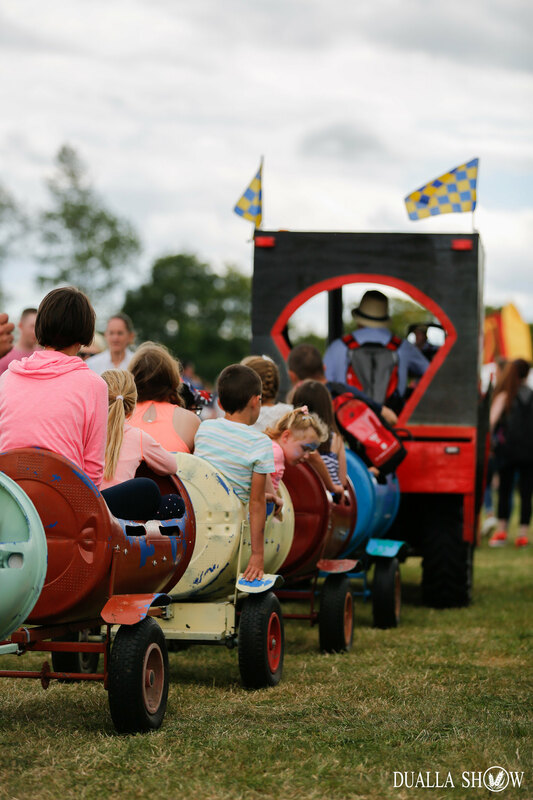 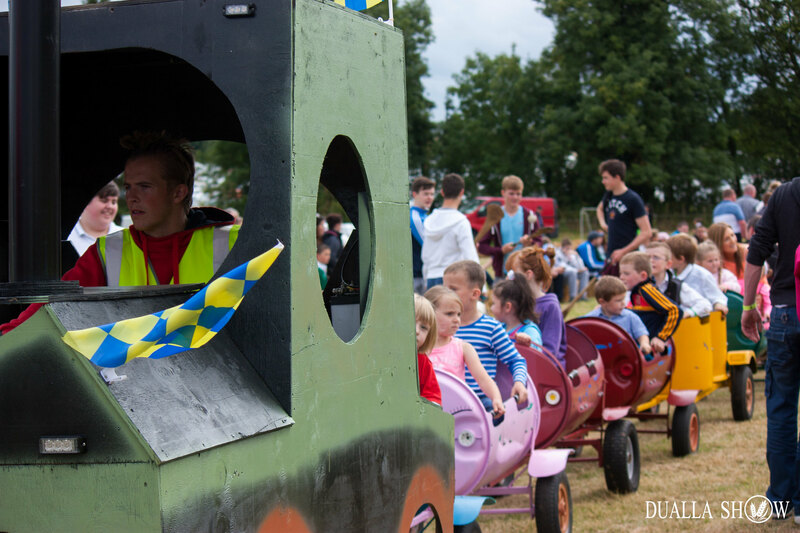 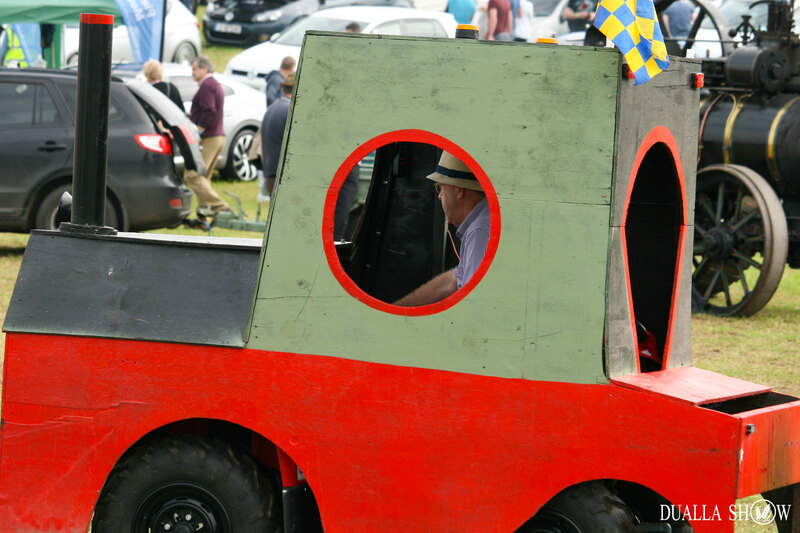 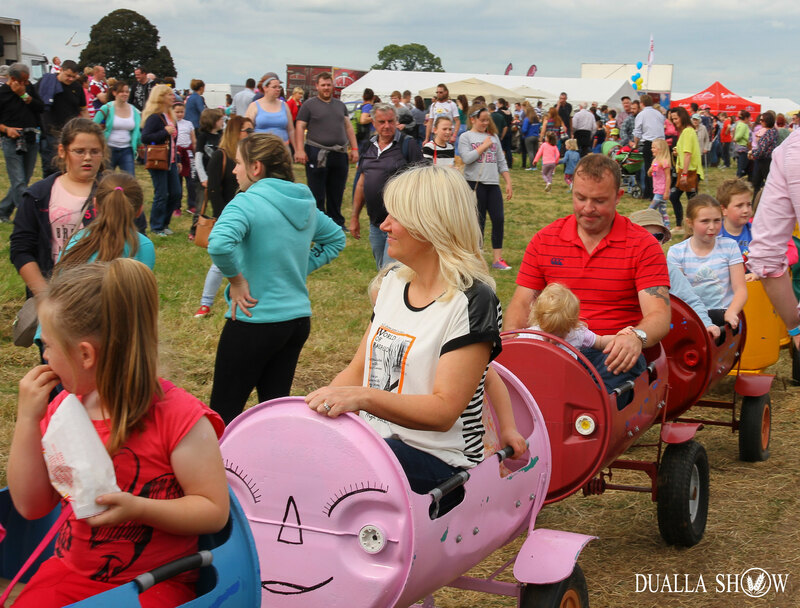 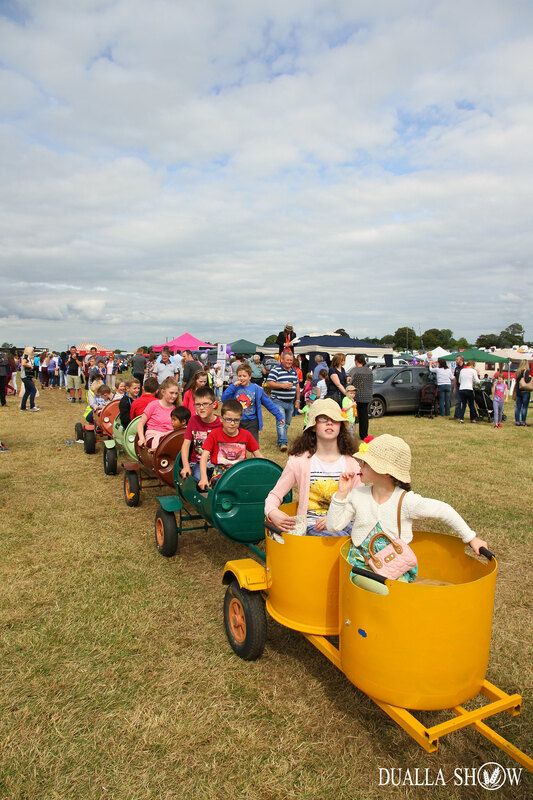 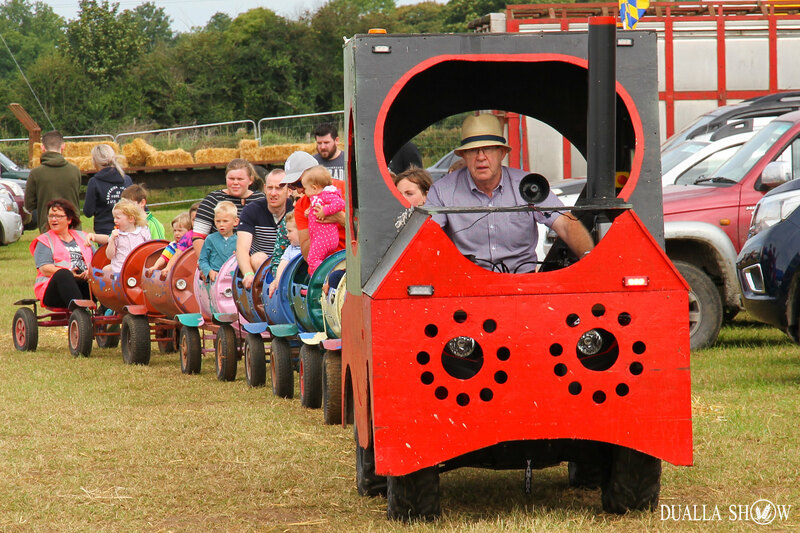 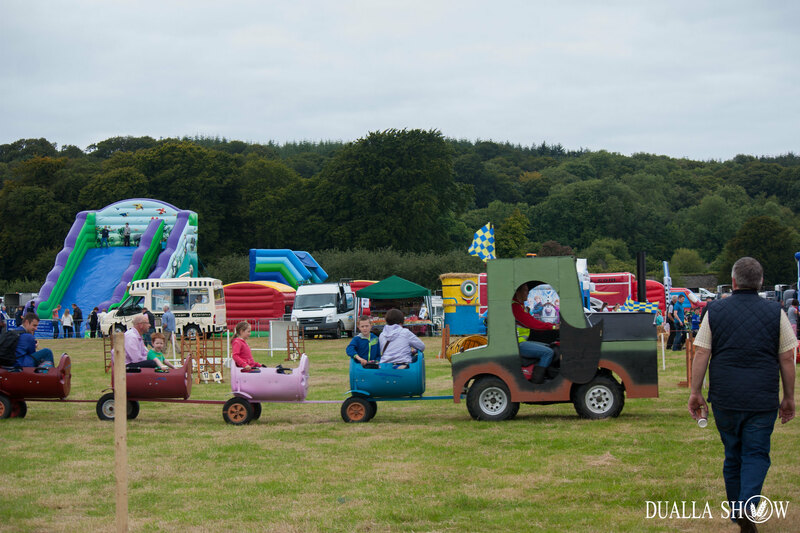 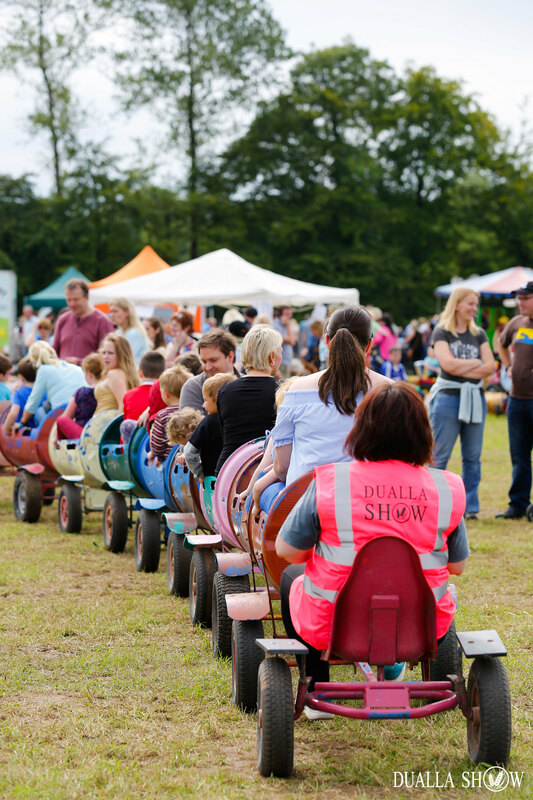 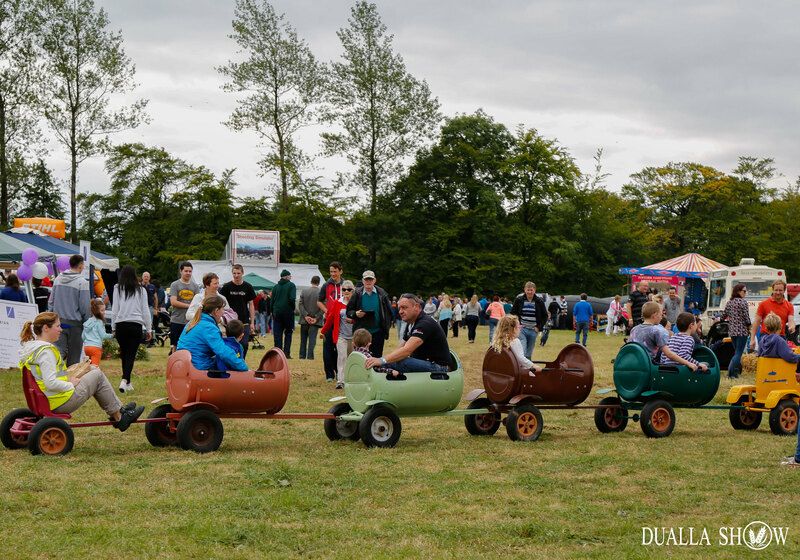 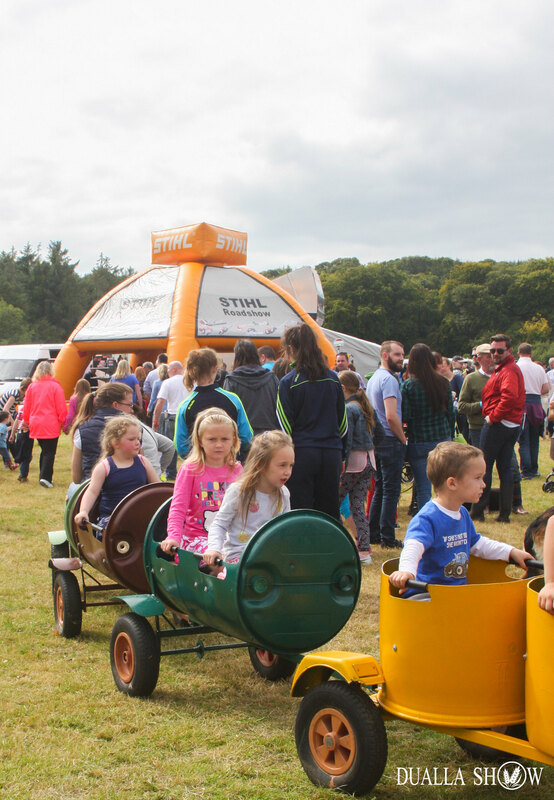 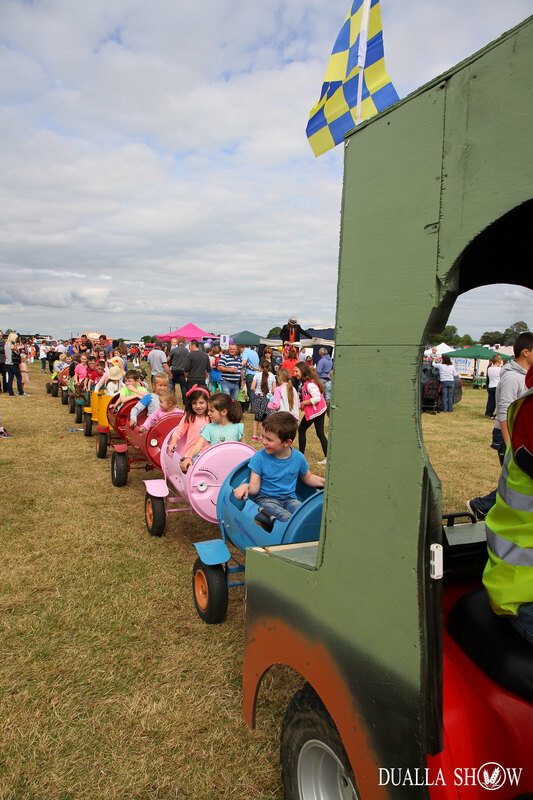 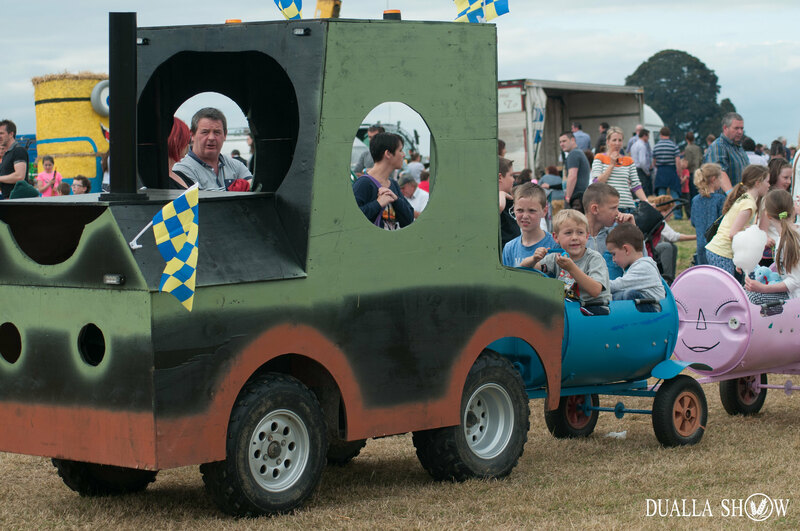 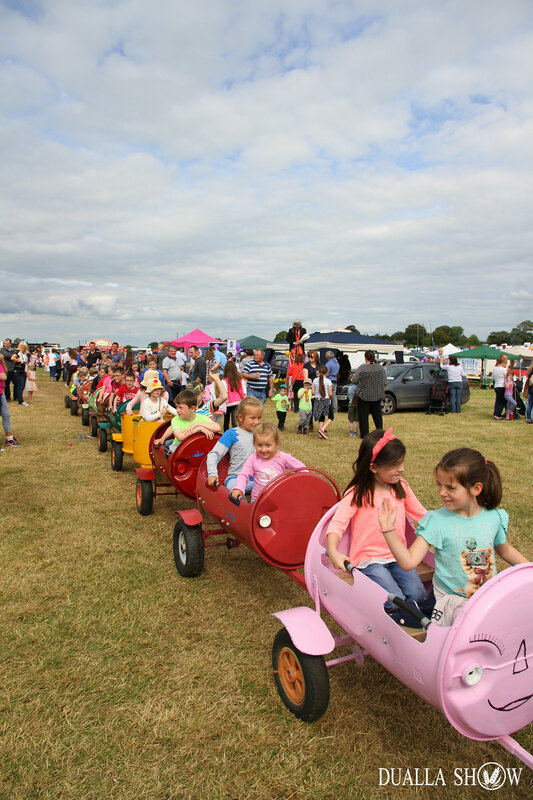 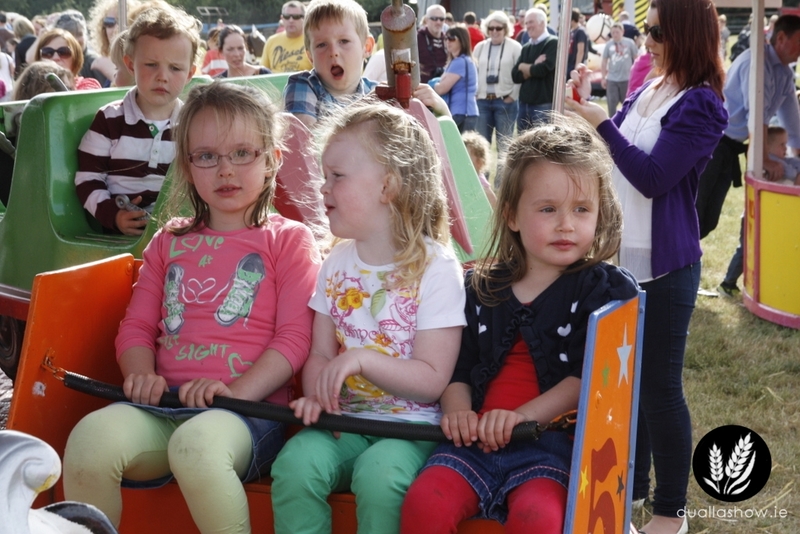 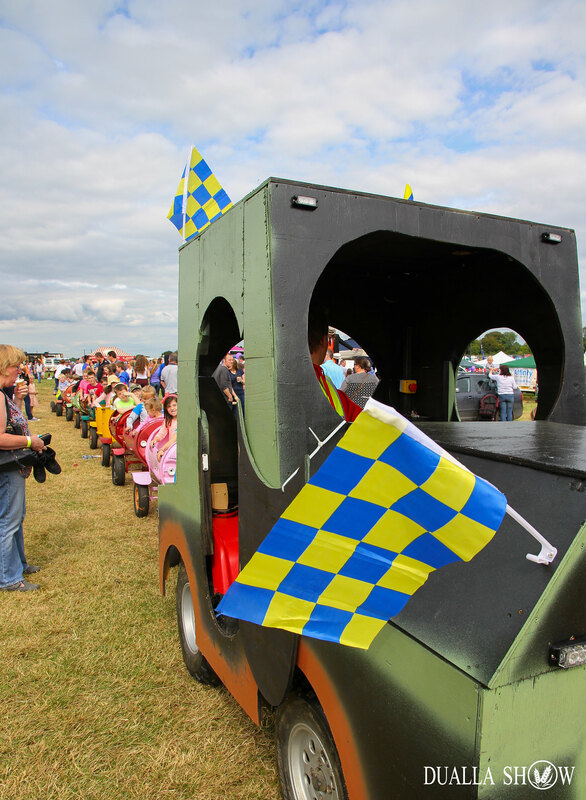 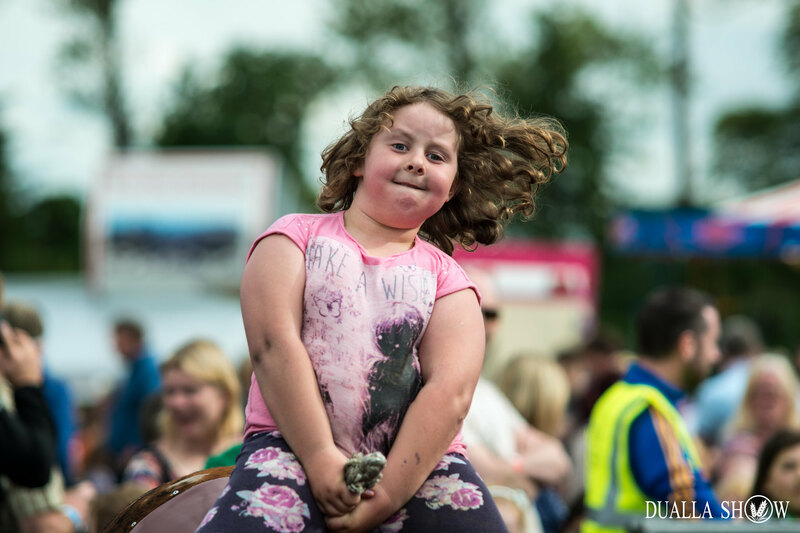 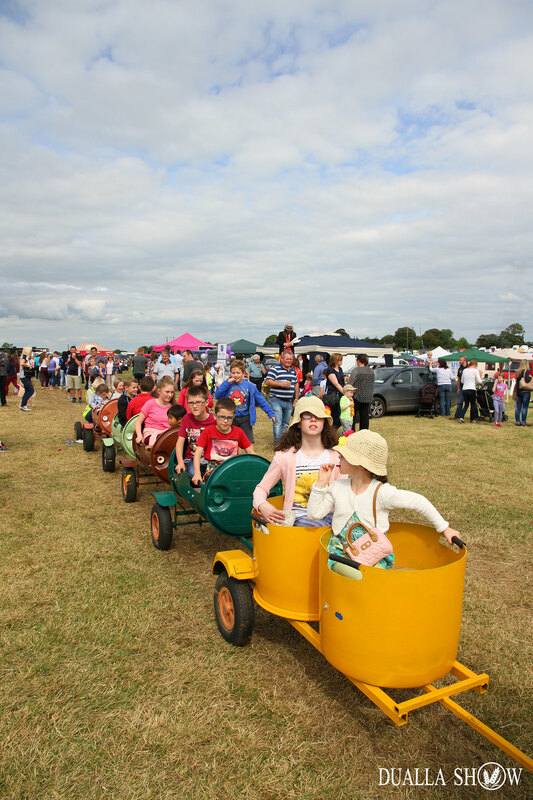 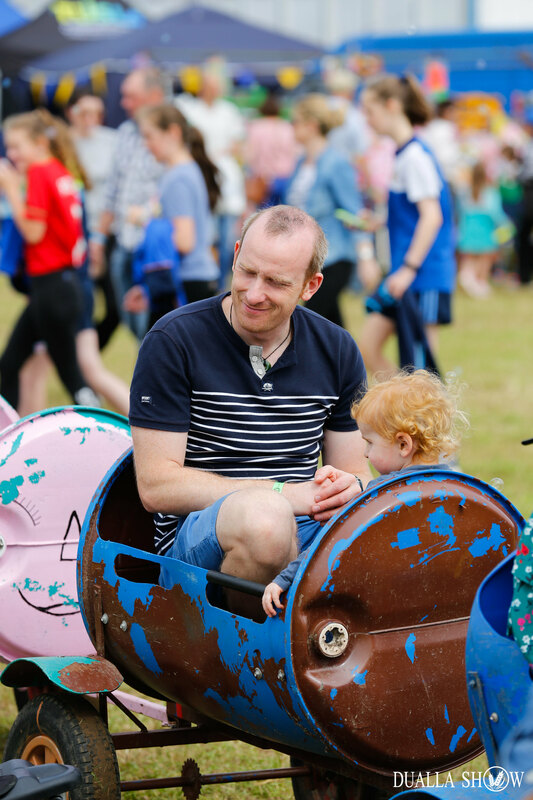 And YES, the famous Dualla Show barrel train is also free and by far the best way to see the show!